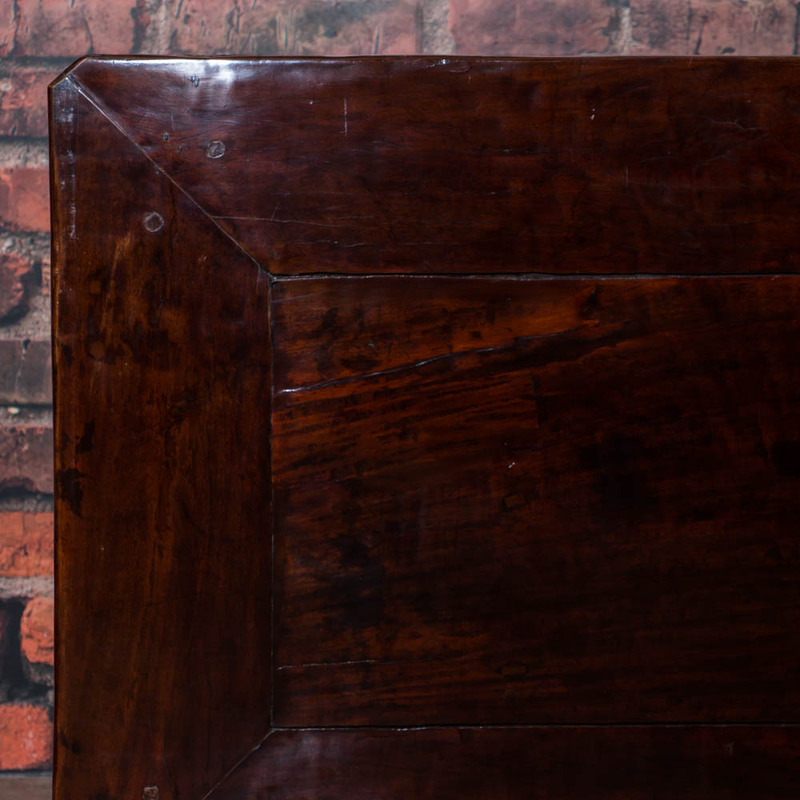 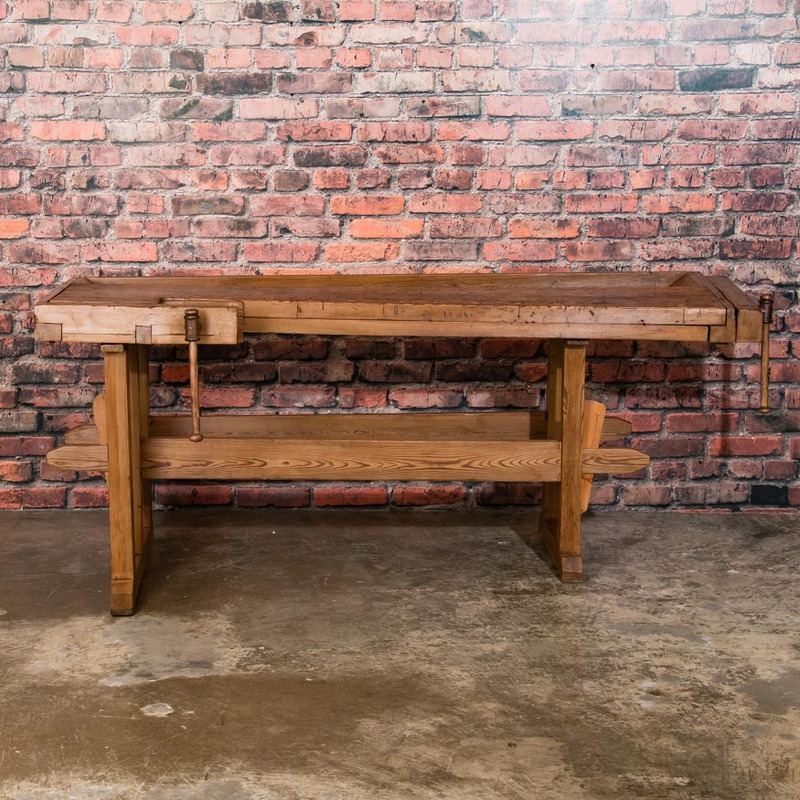 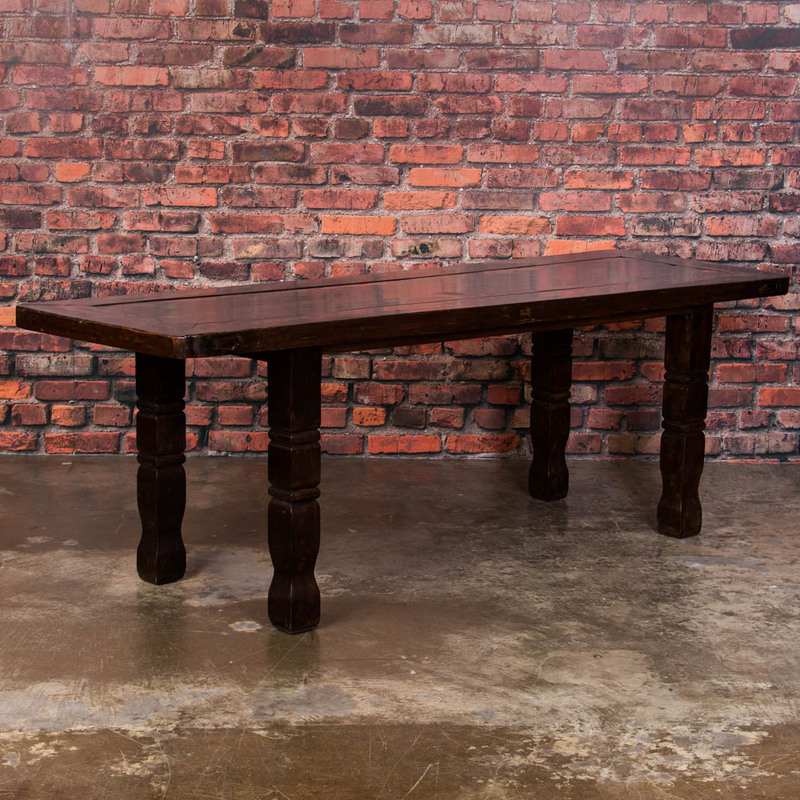 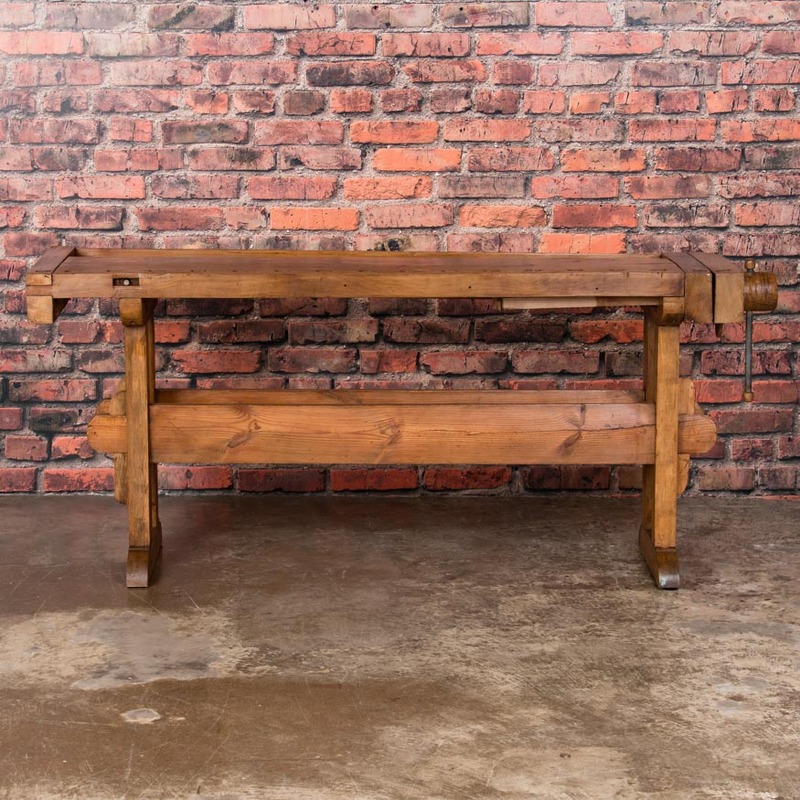 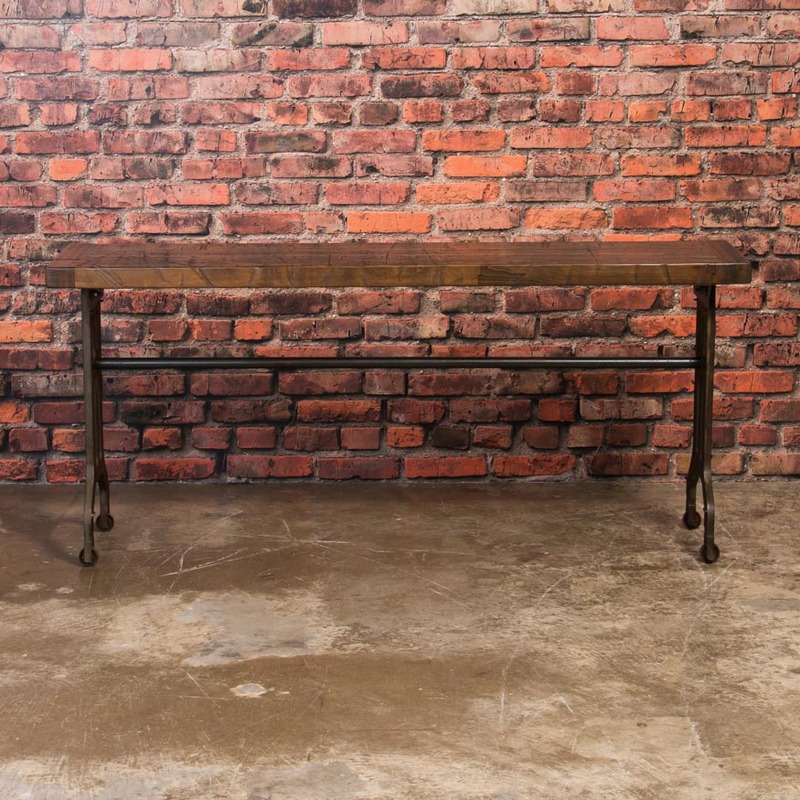 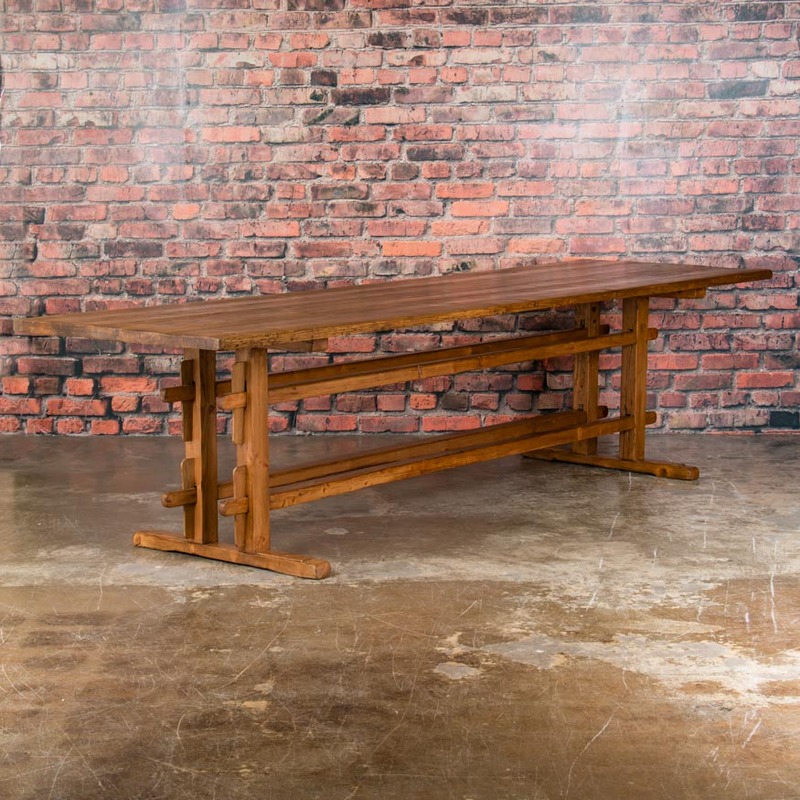 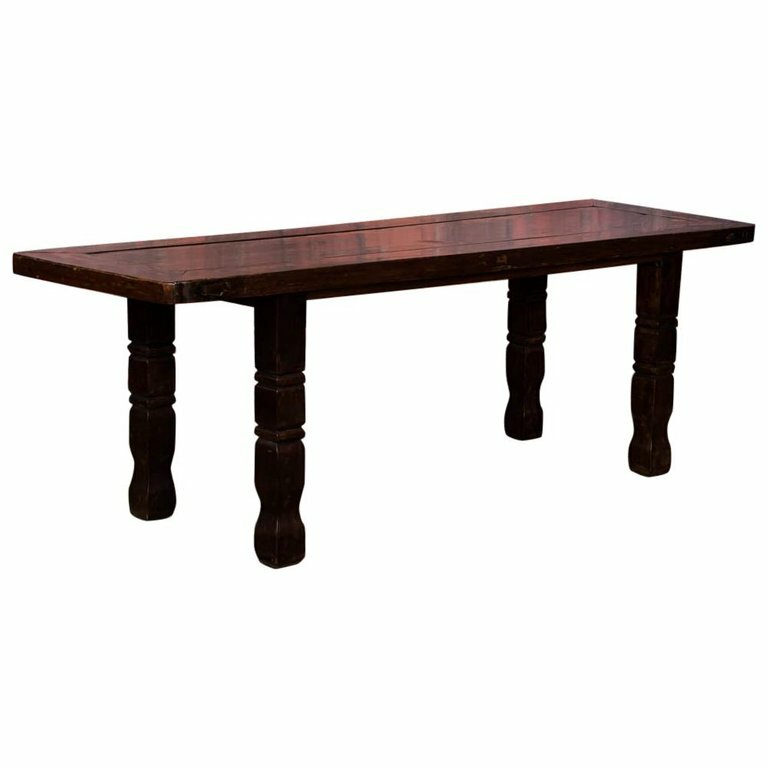 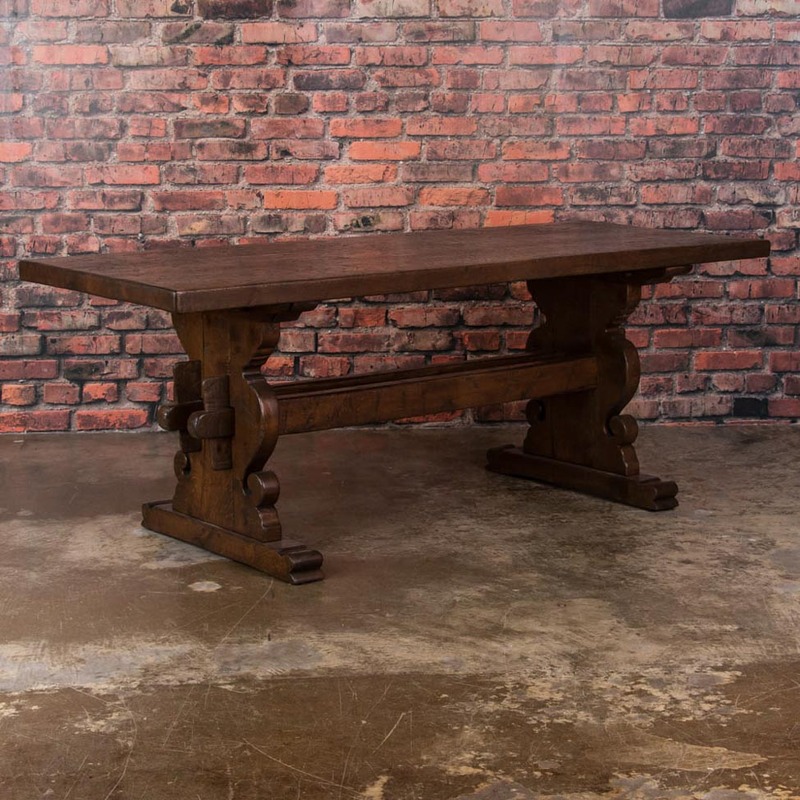 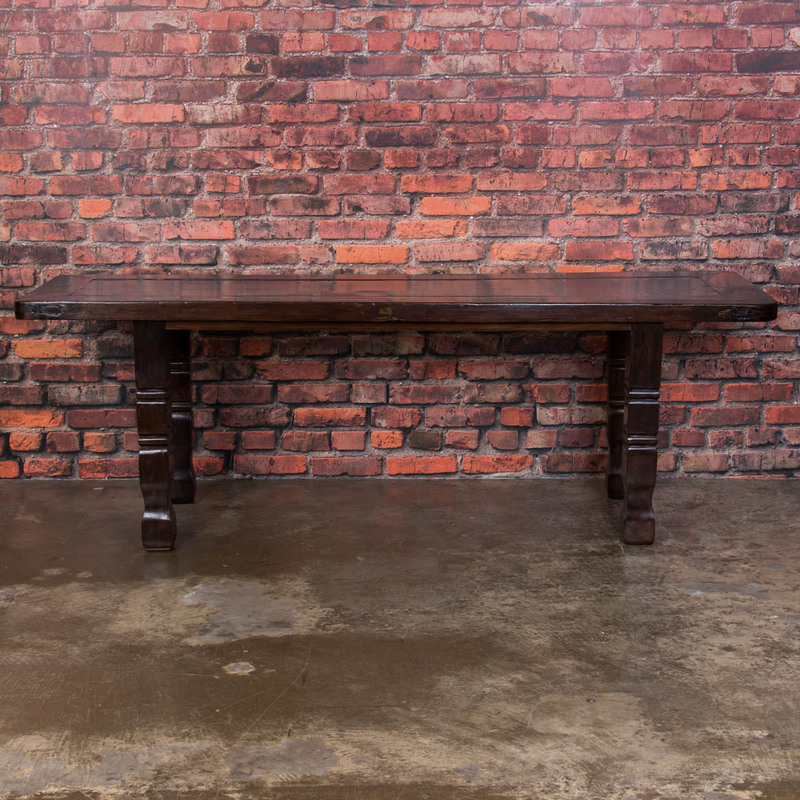 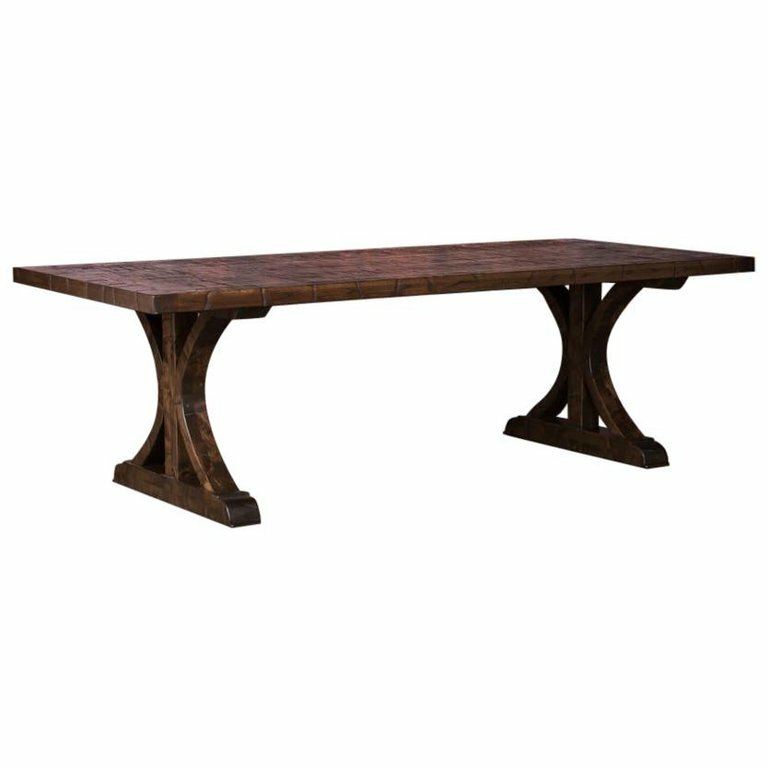 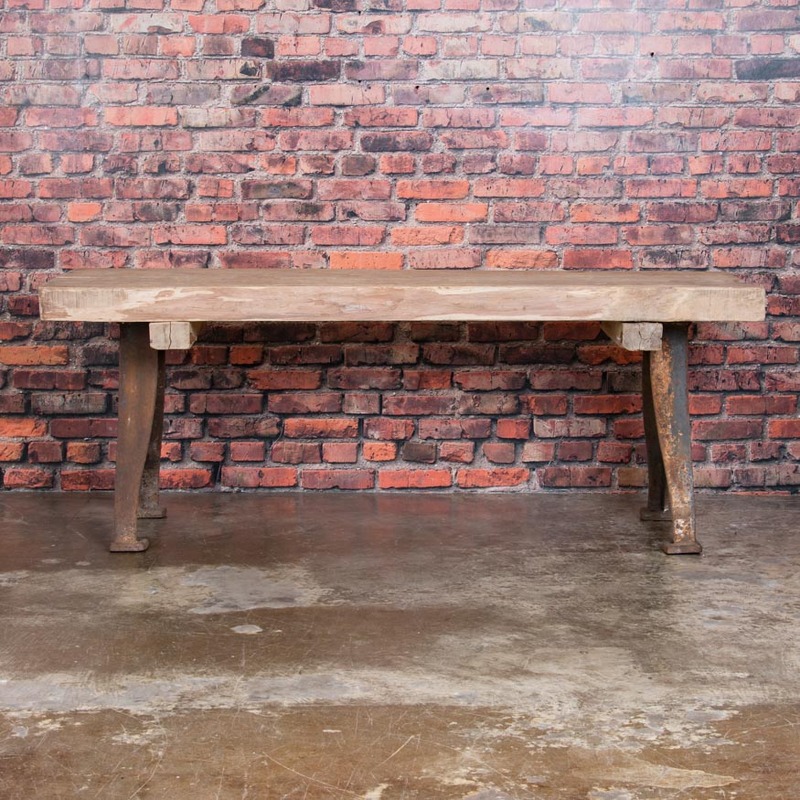 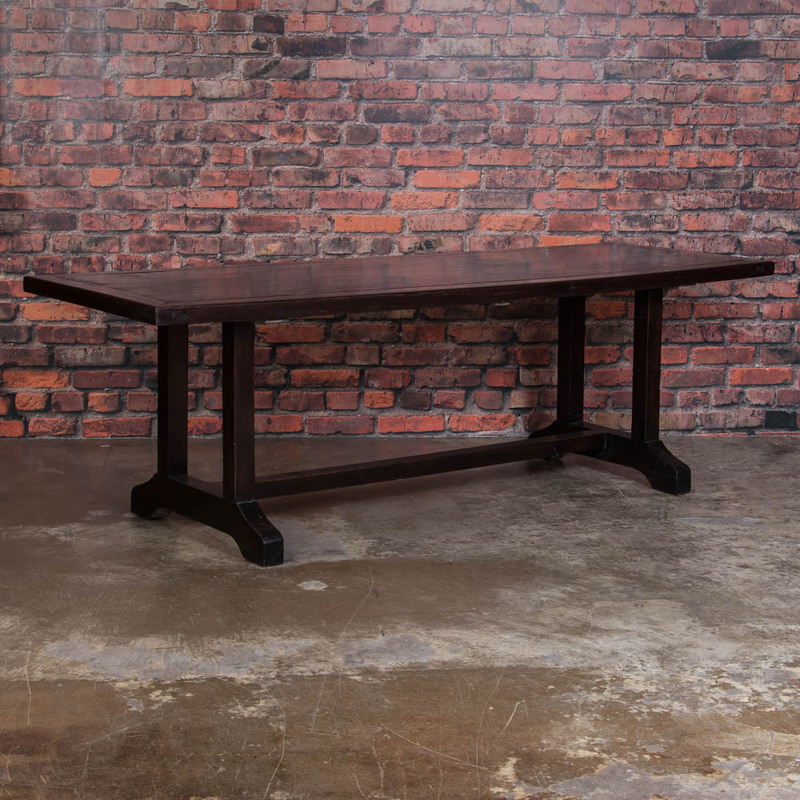 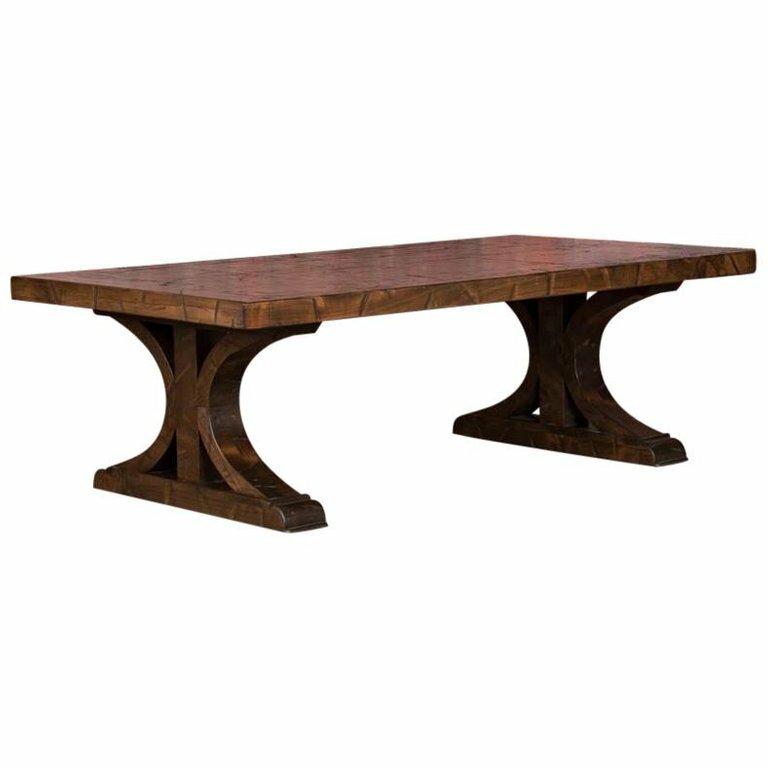 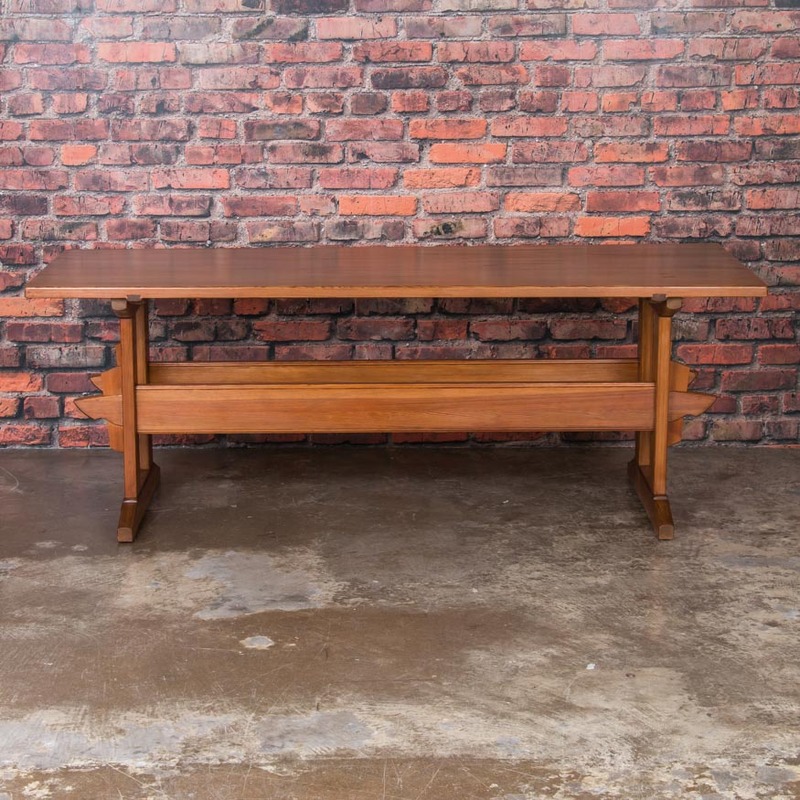 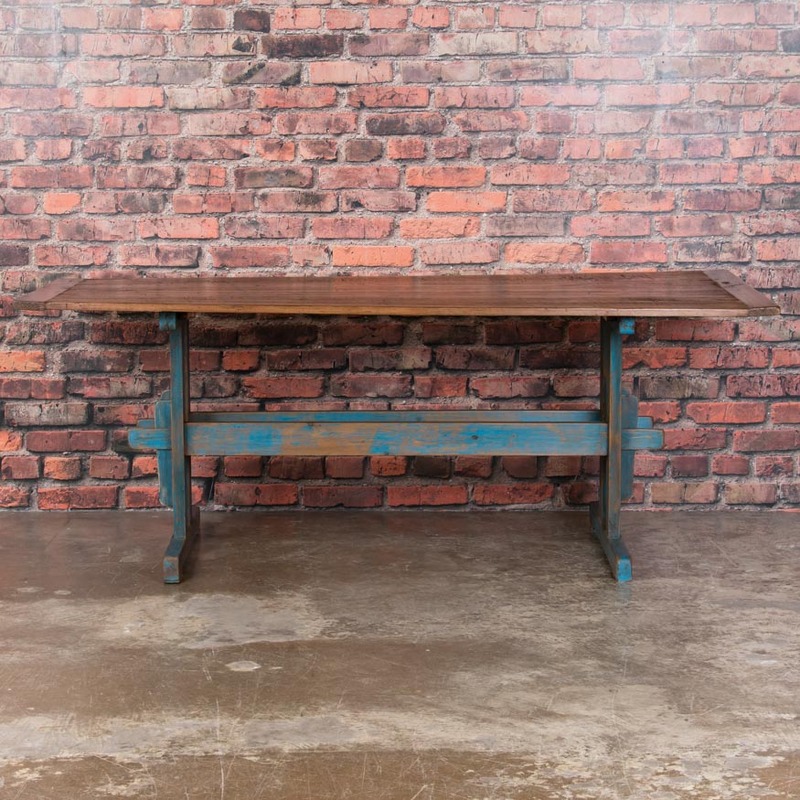 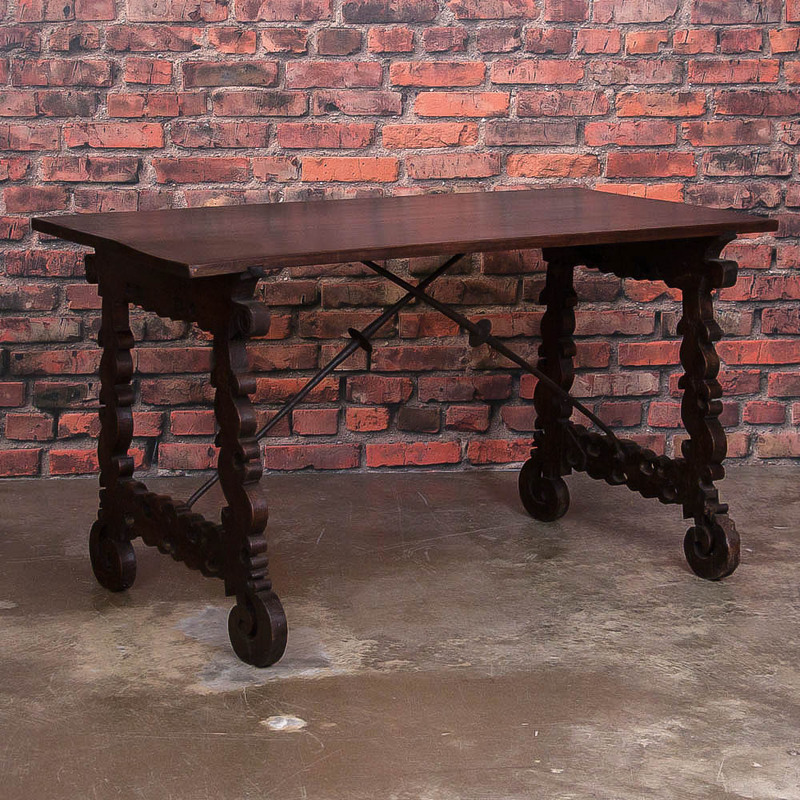 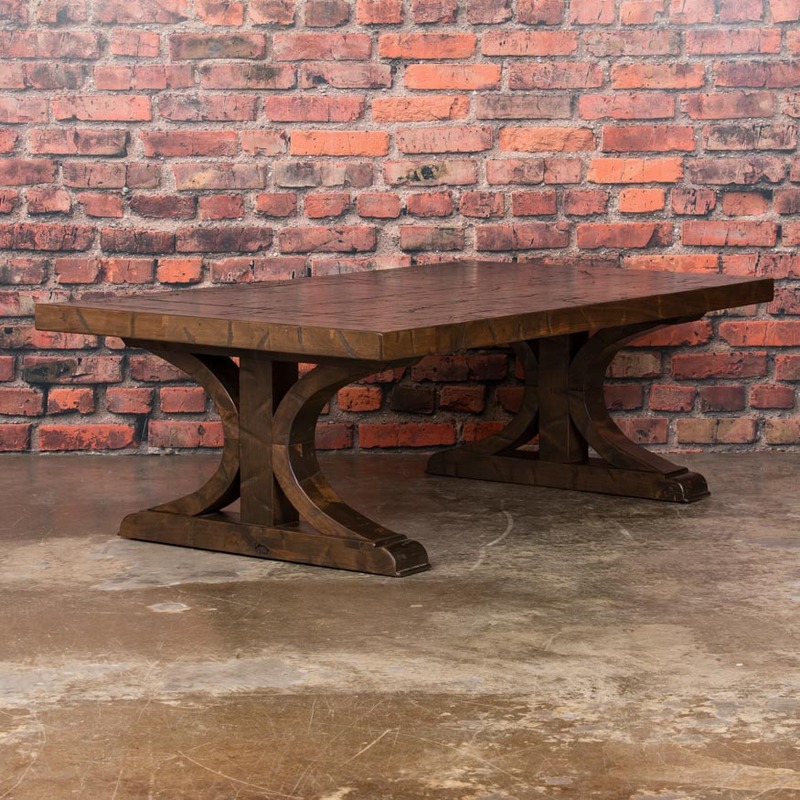 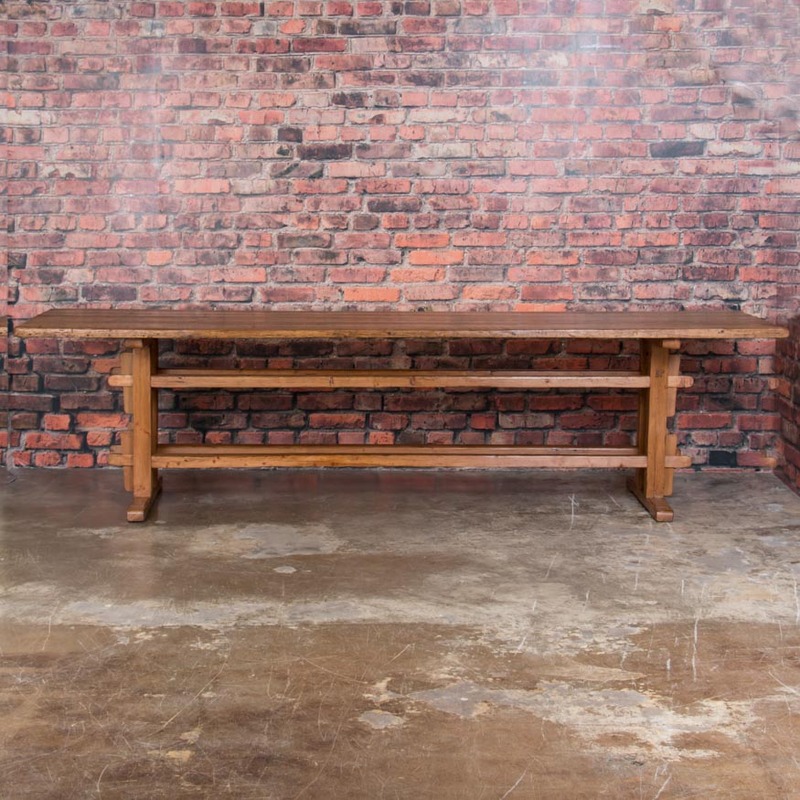 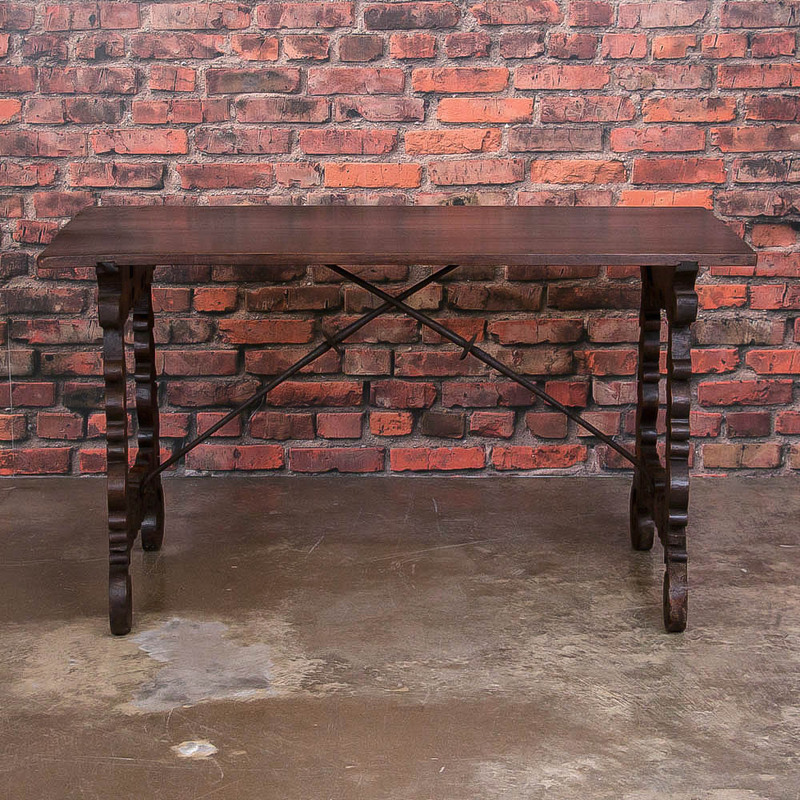 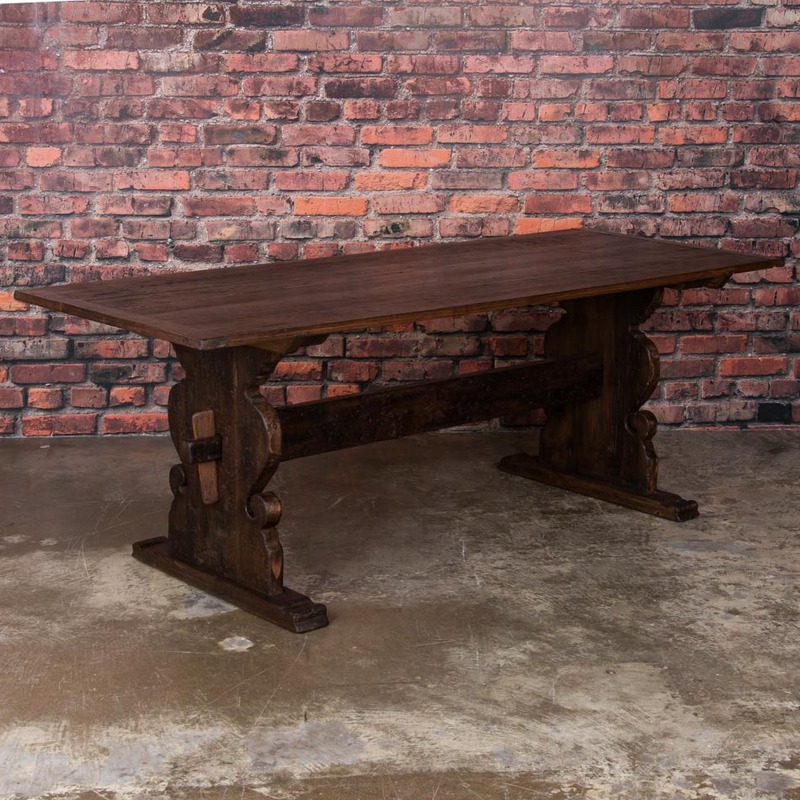 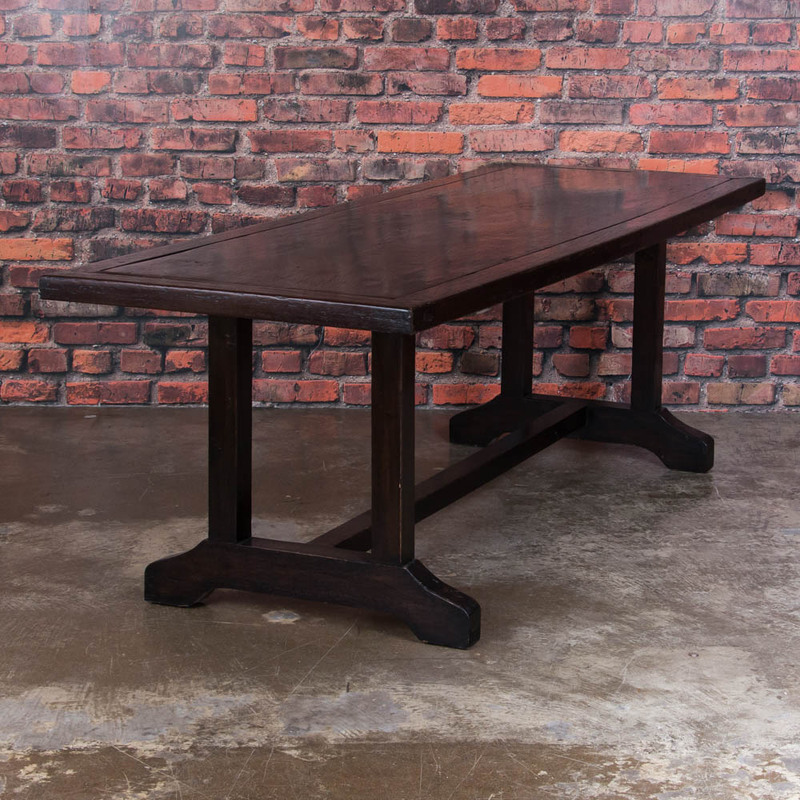 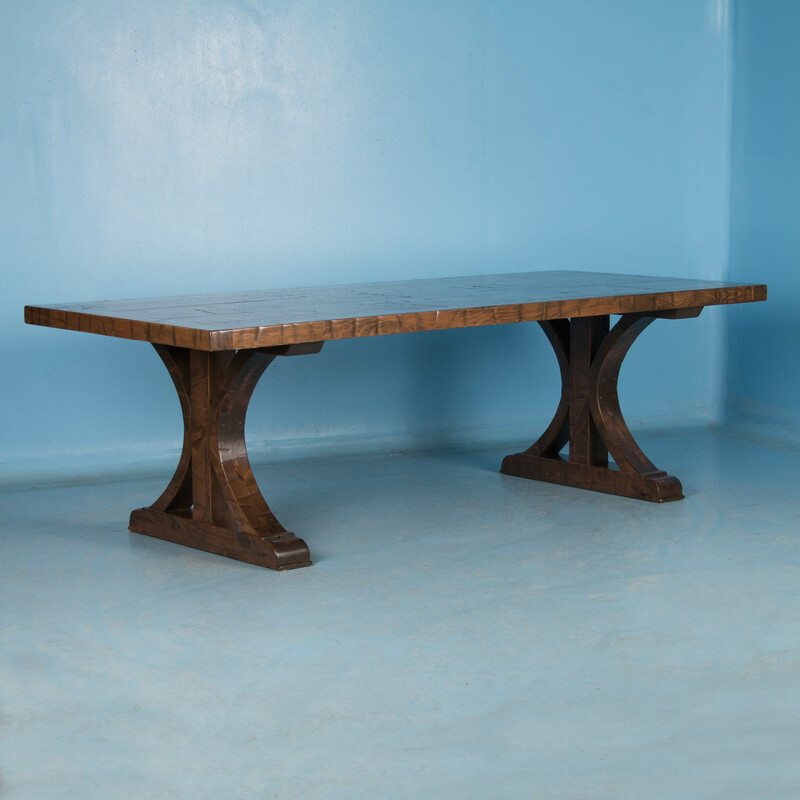 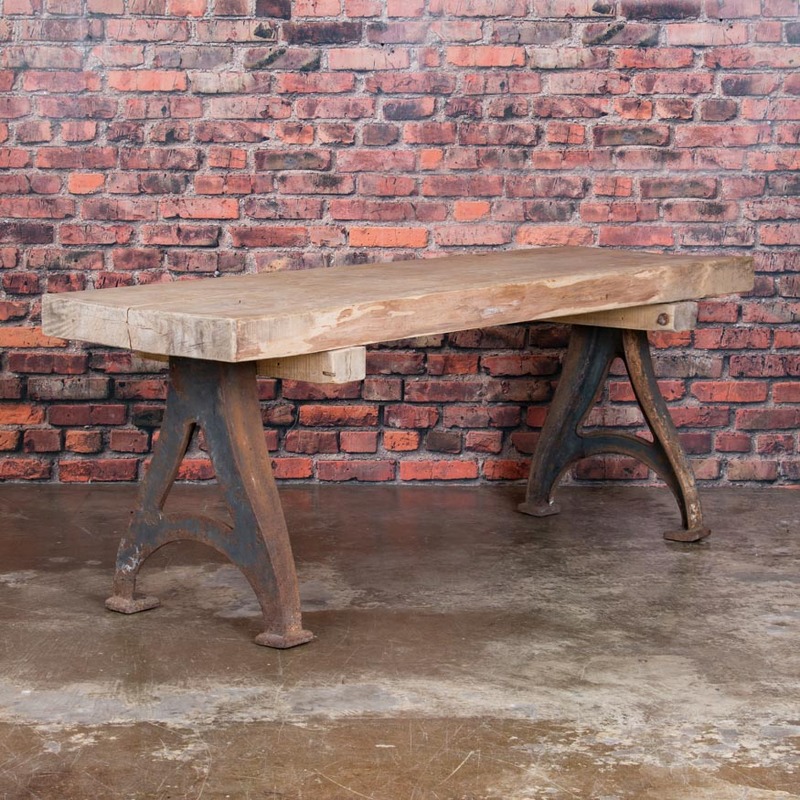 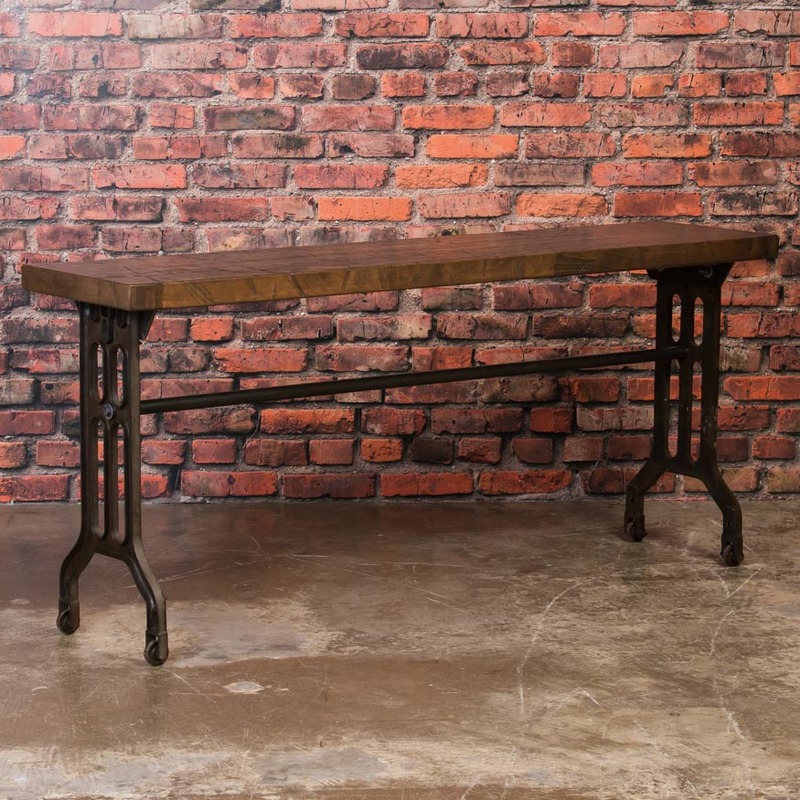 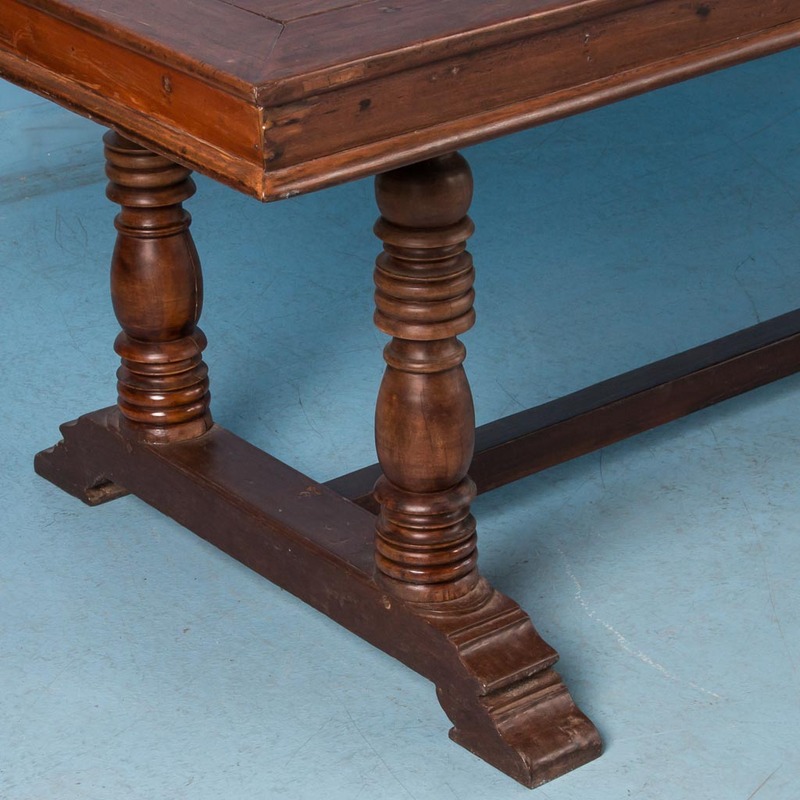 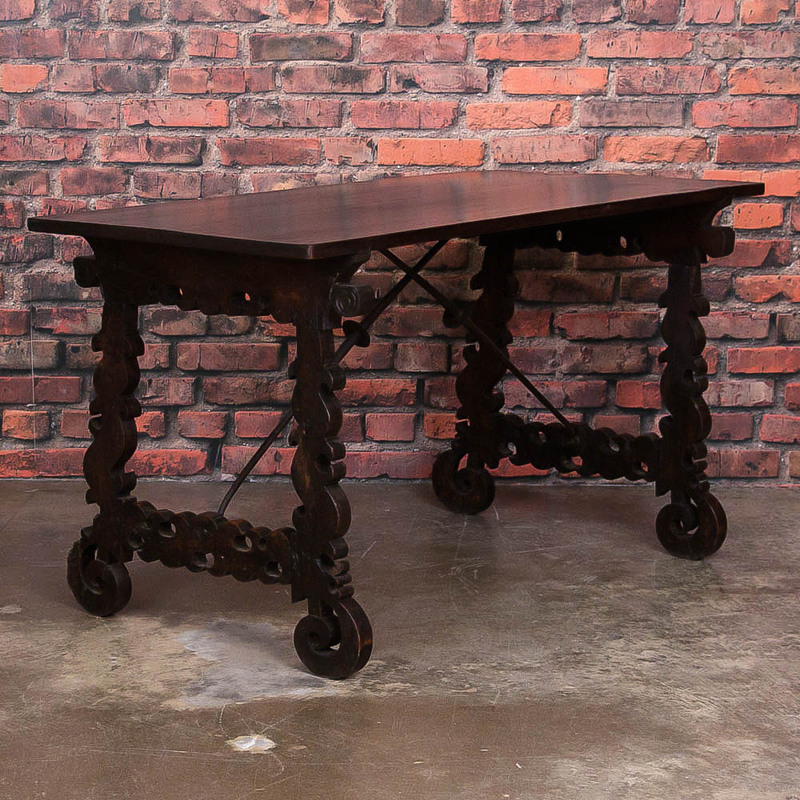 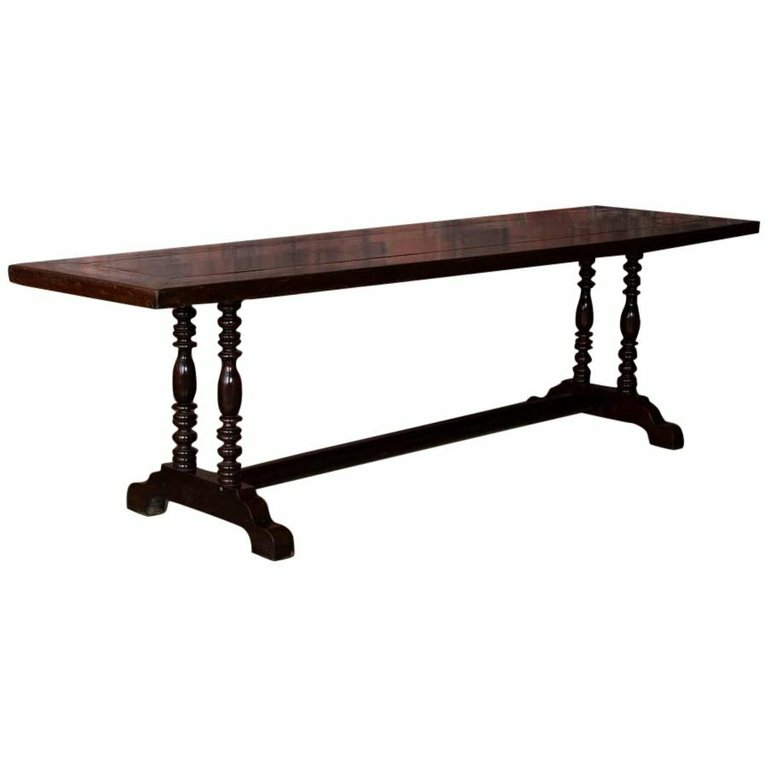 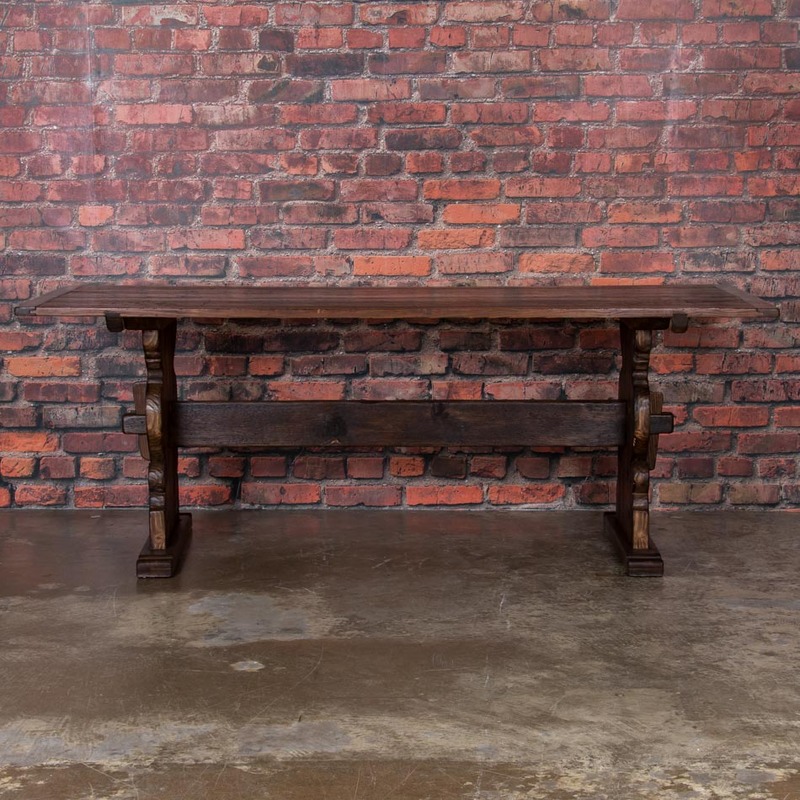 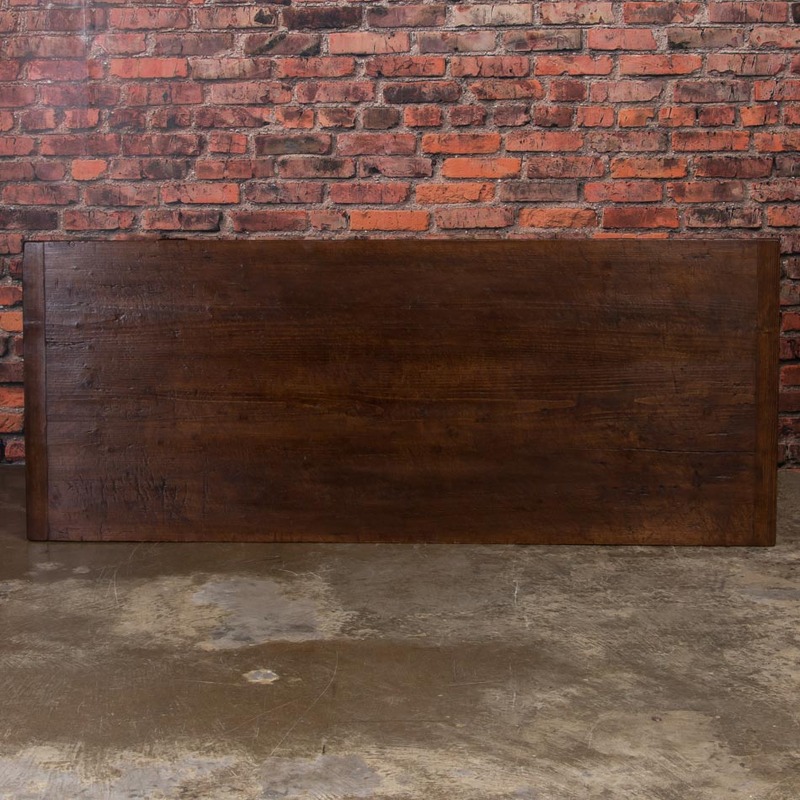 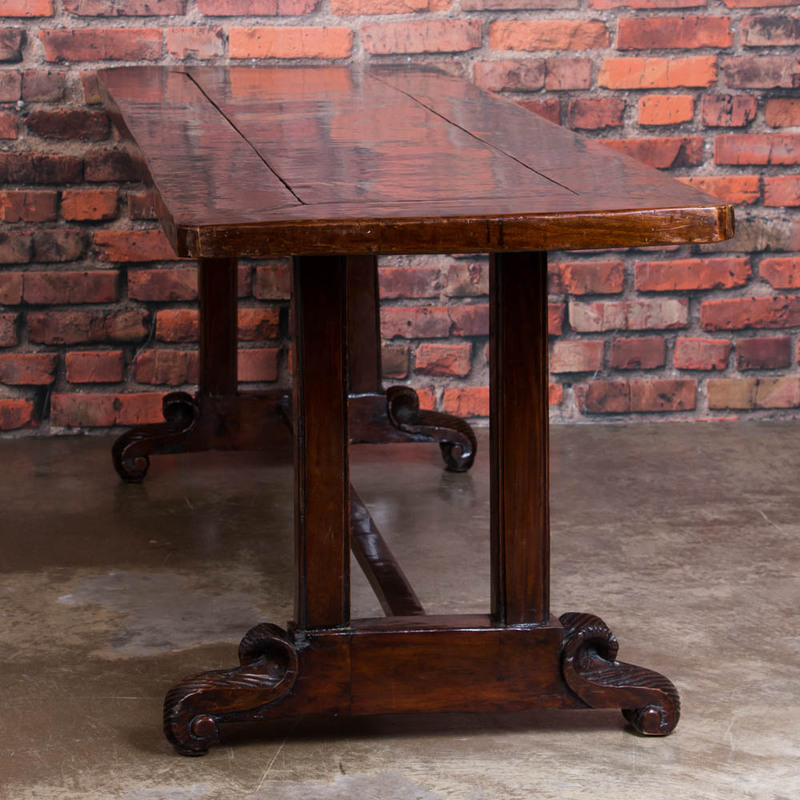 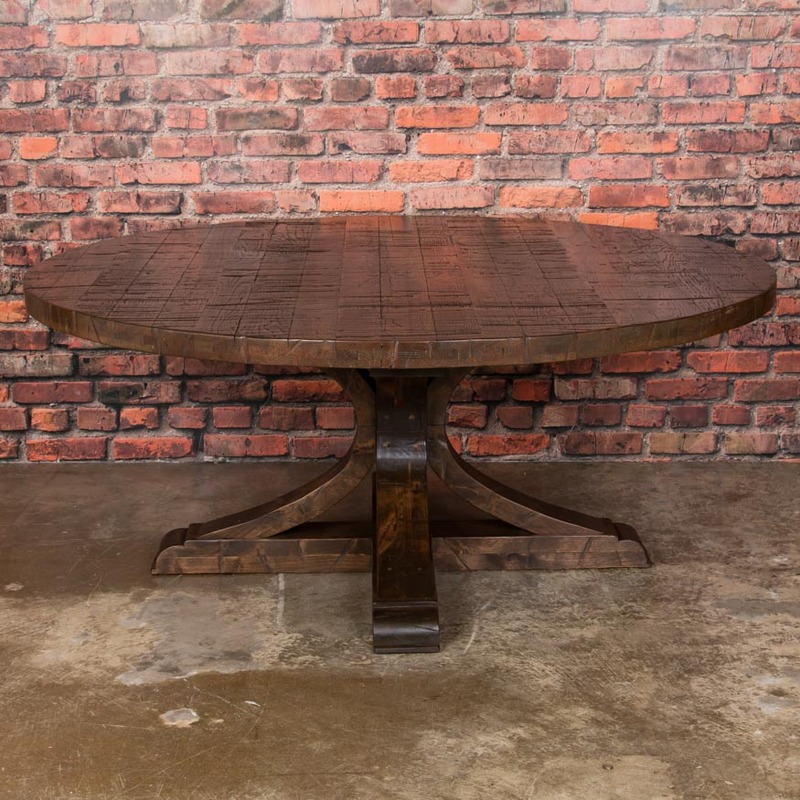 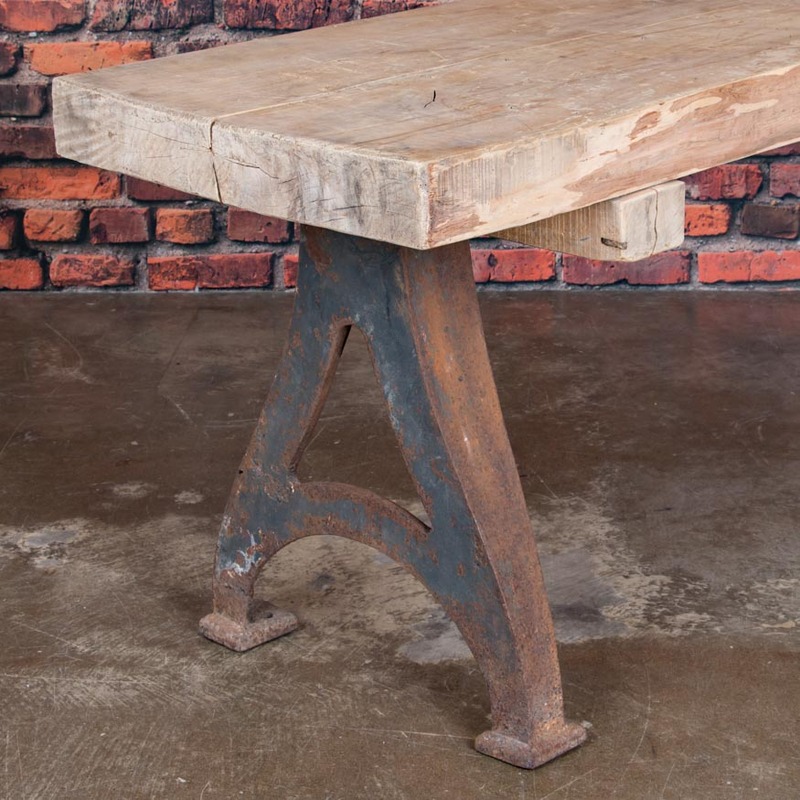 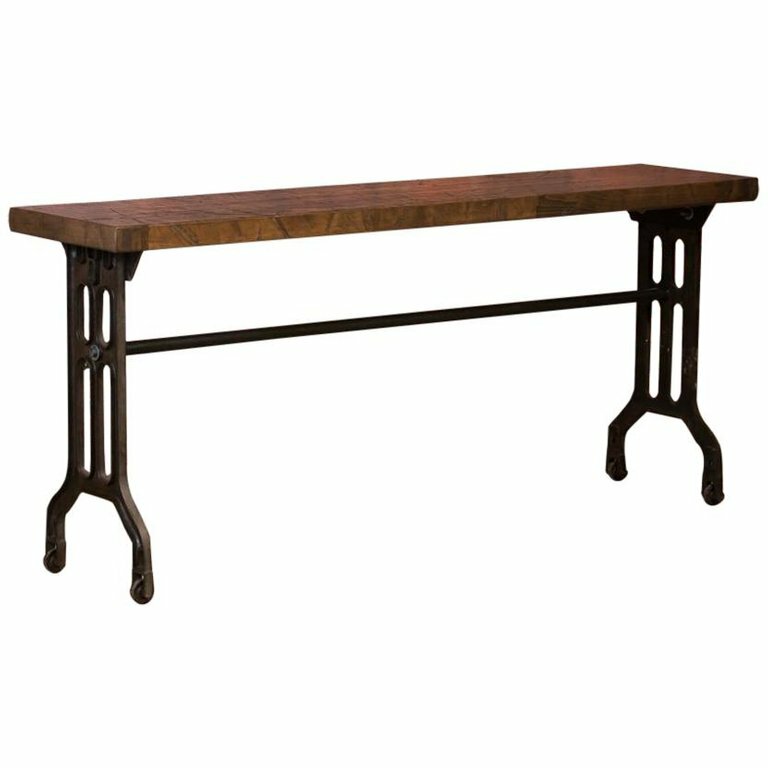 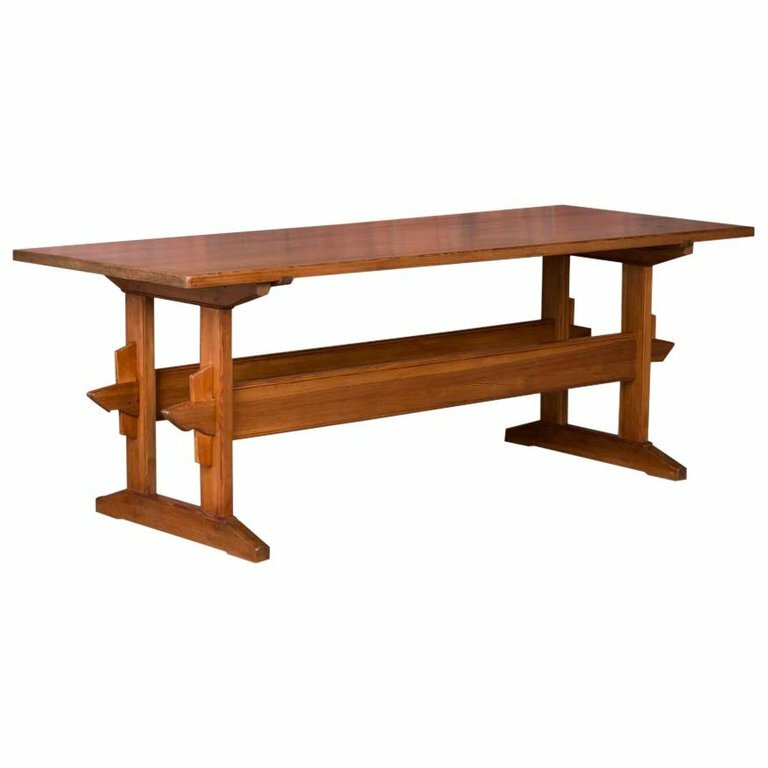 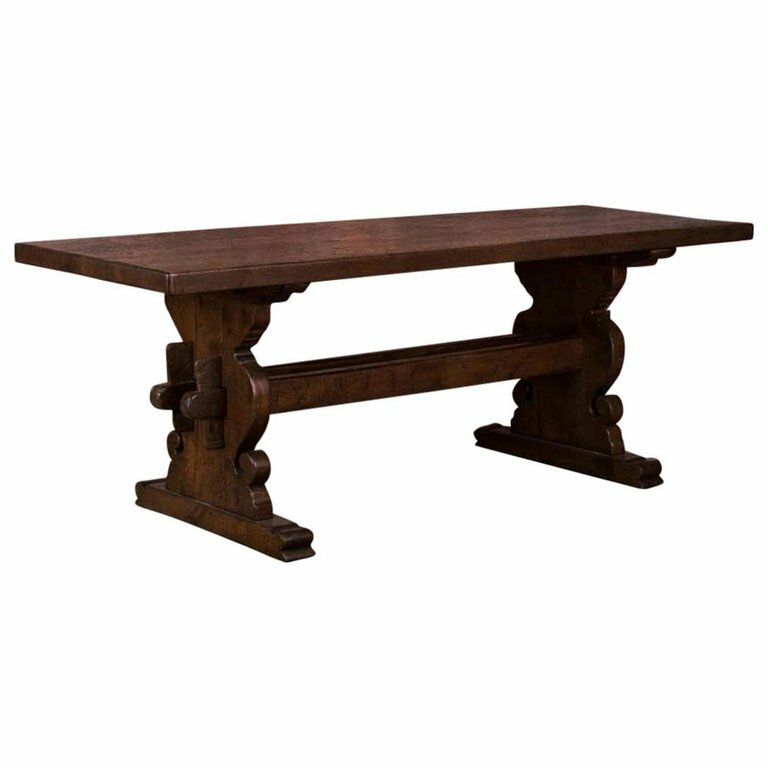 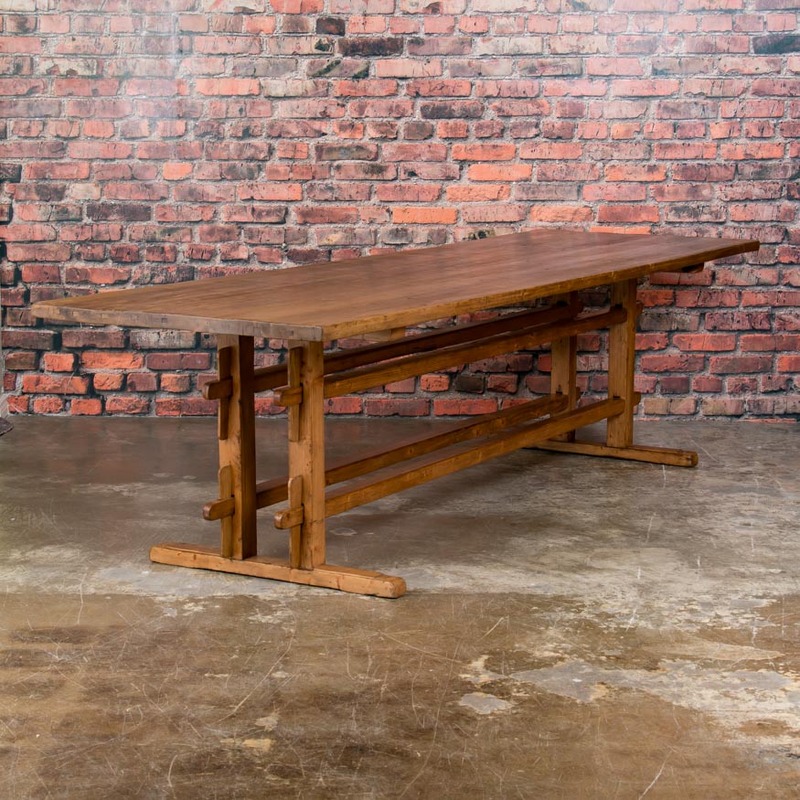 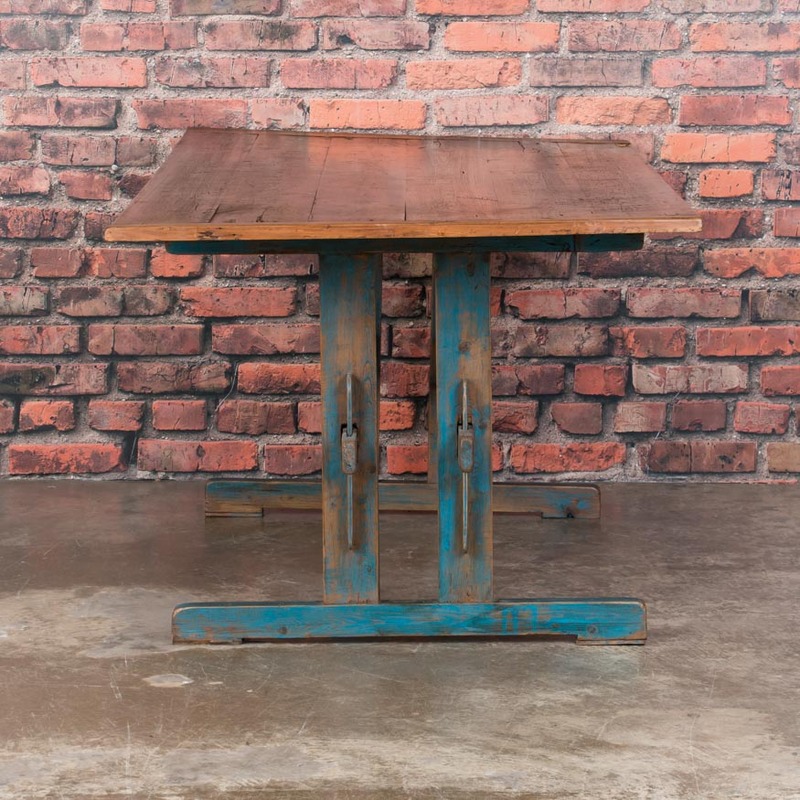 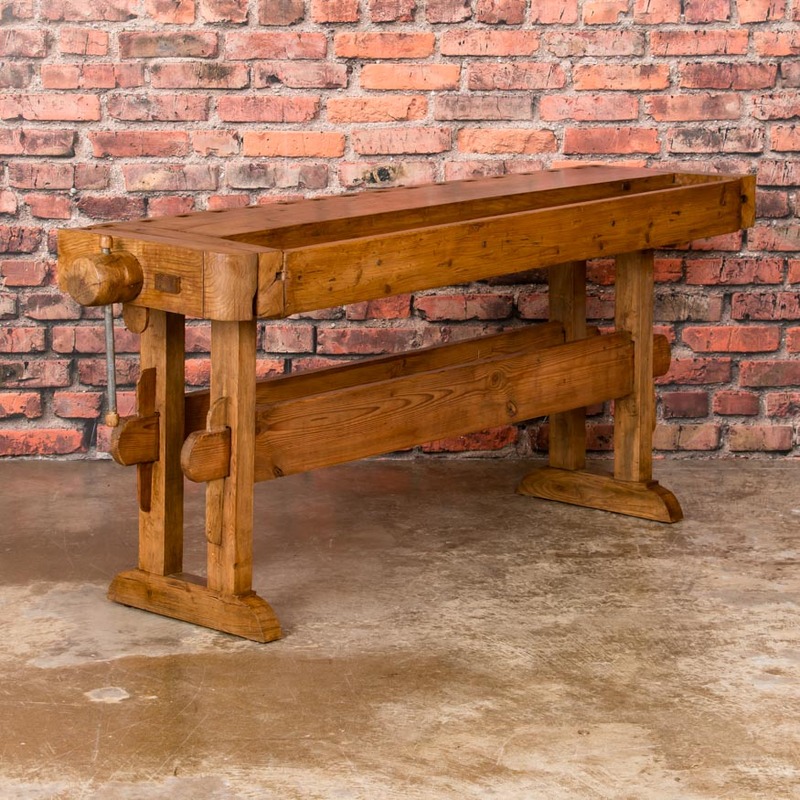 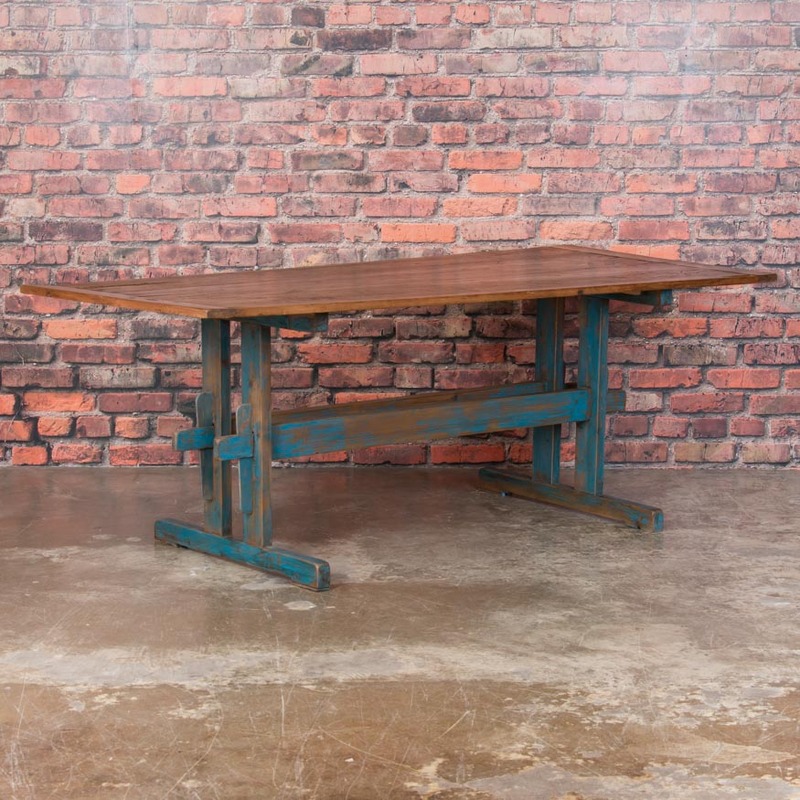 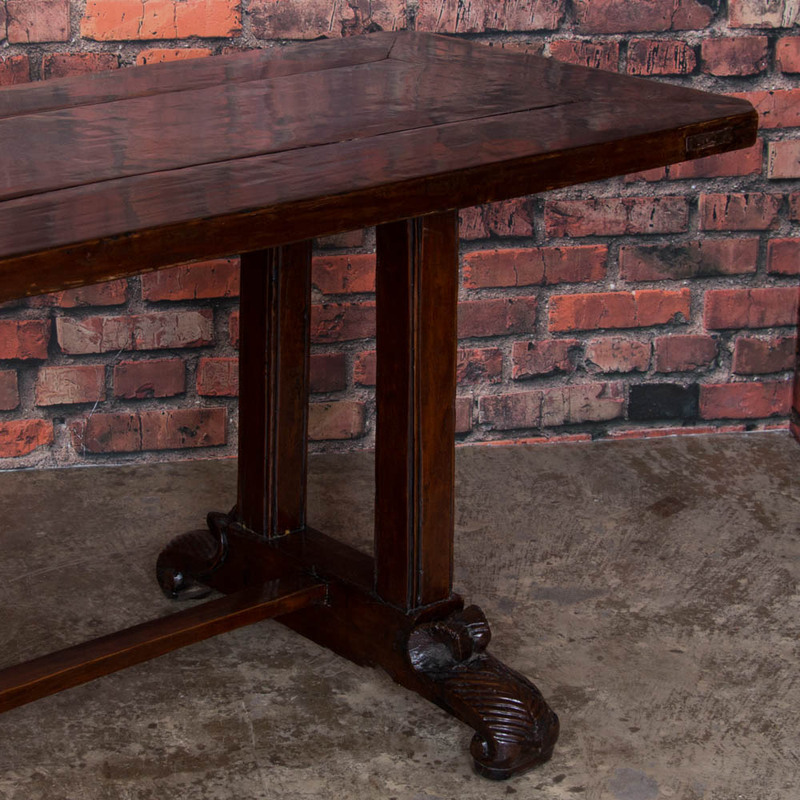 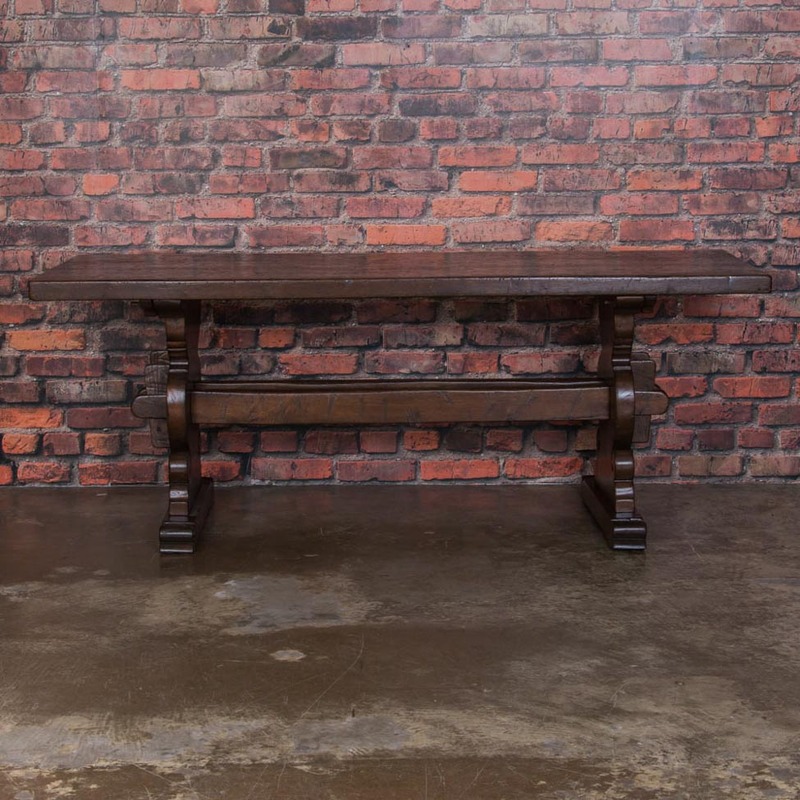 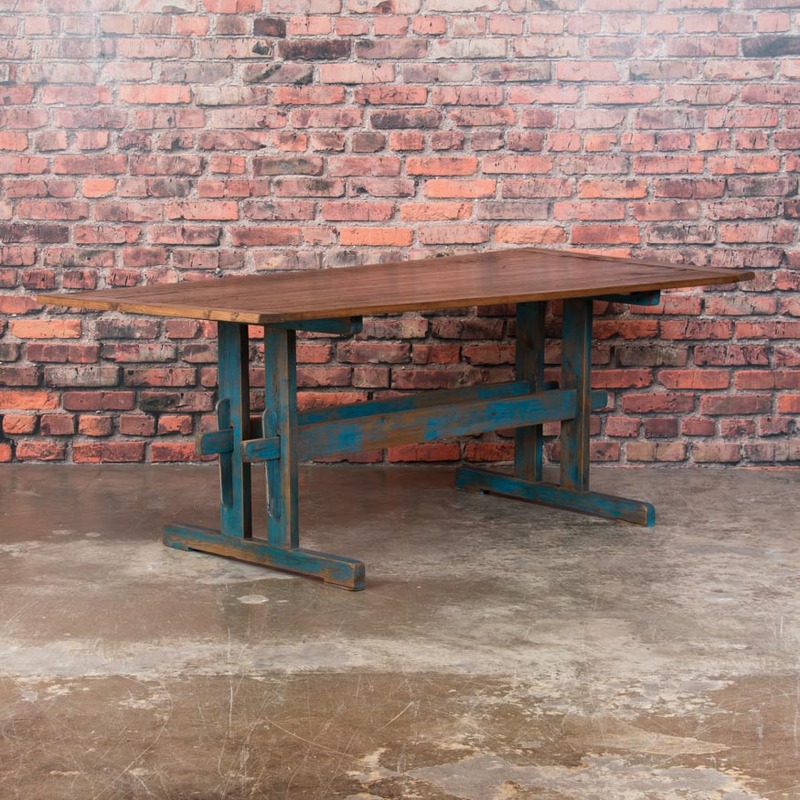 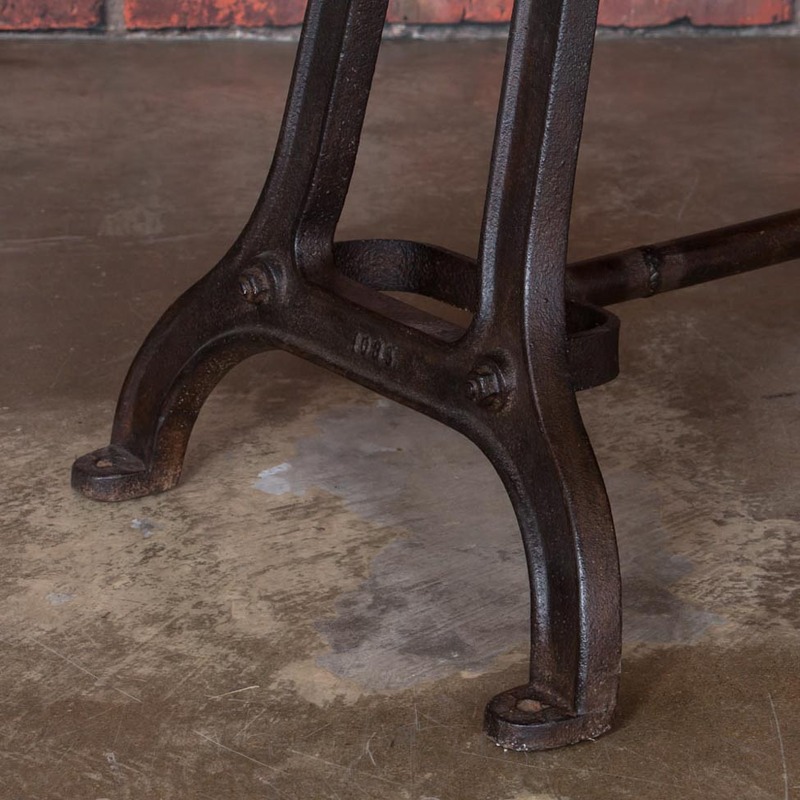 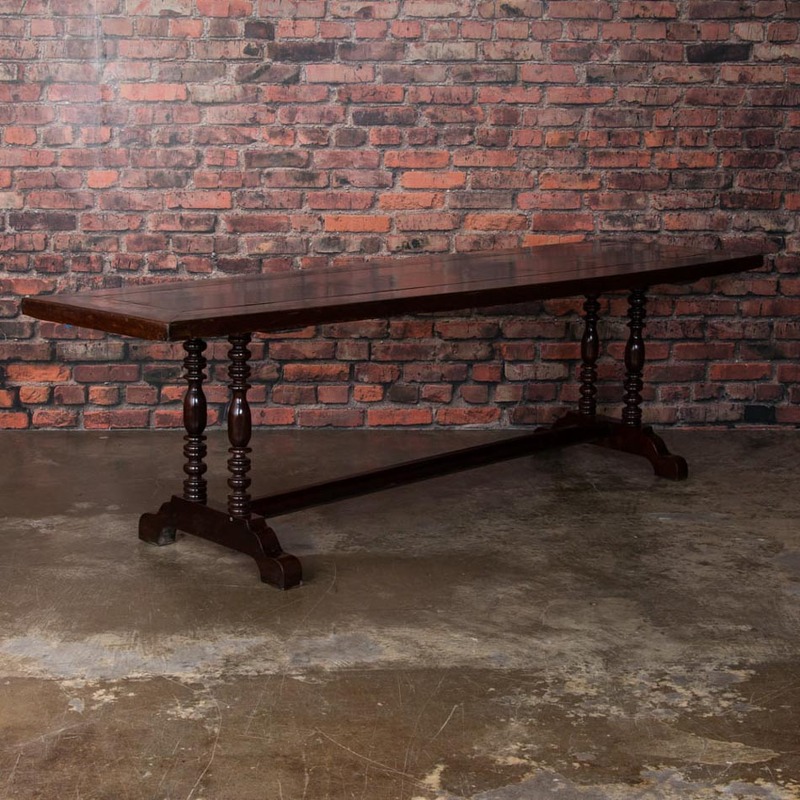 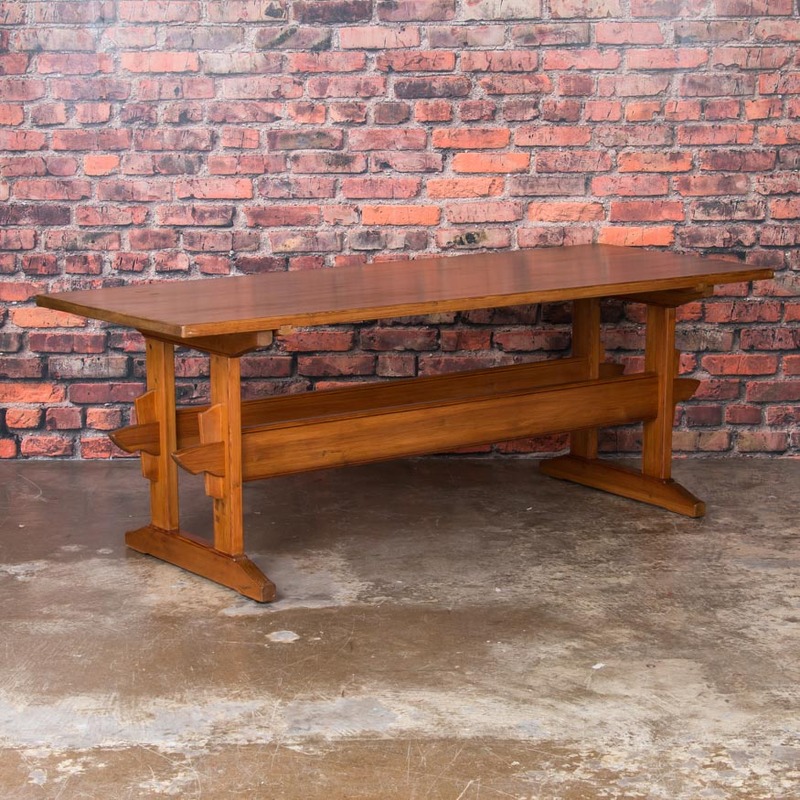 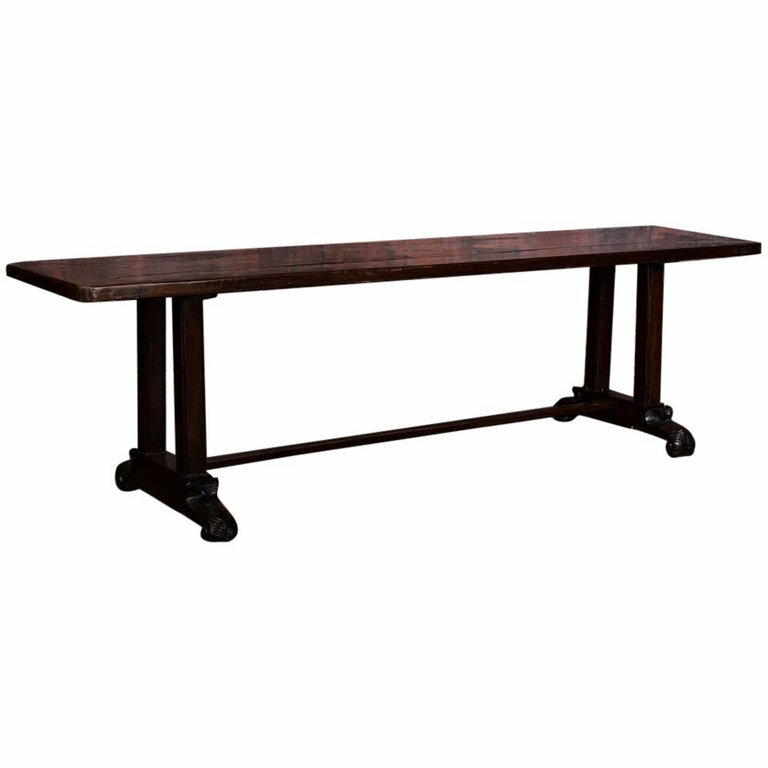 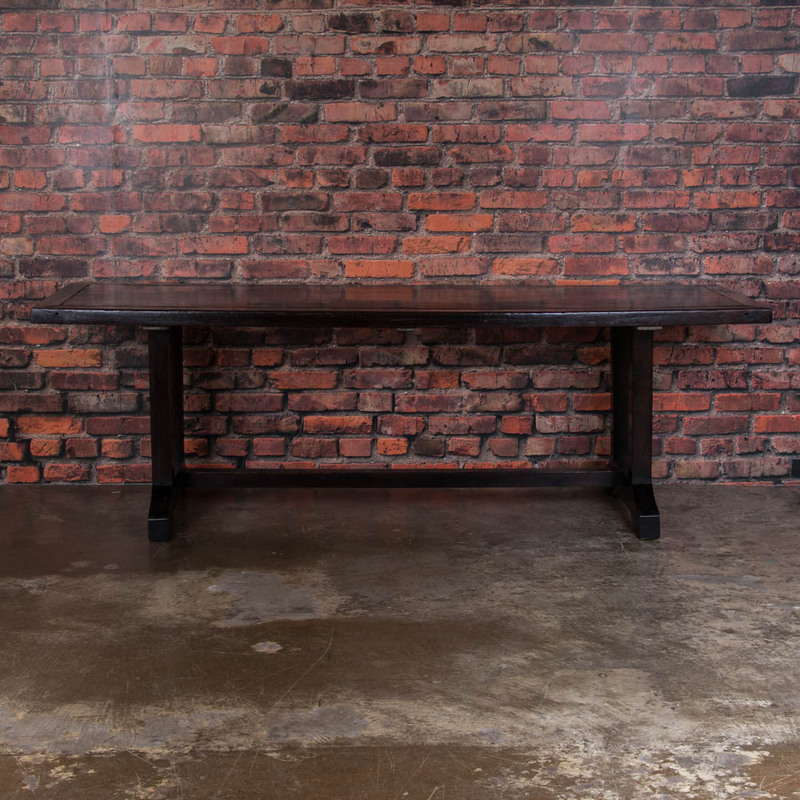 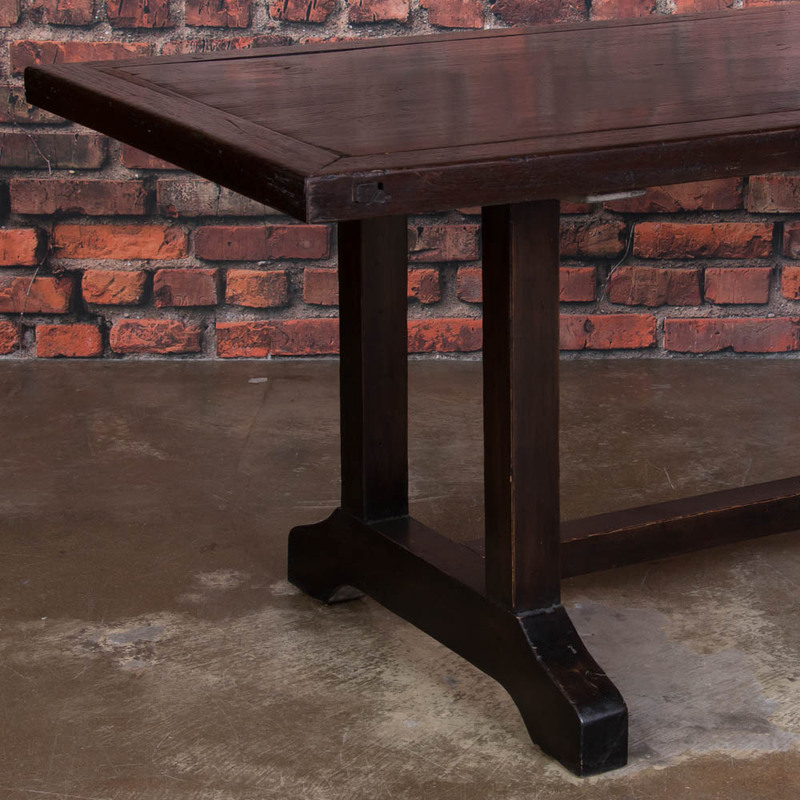 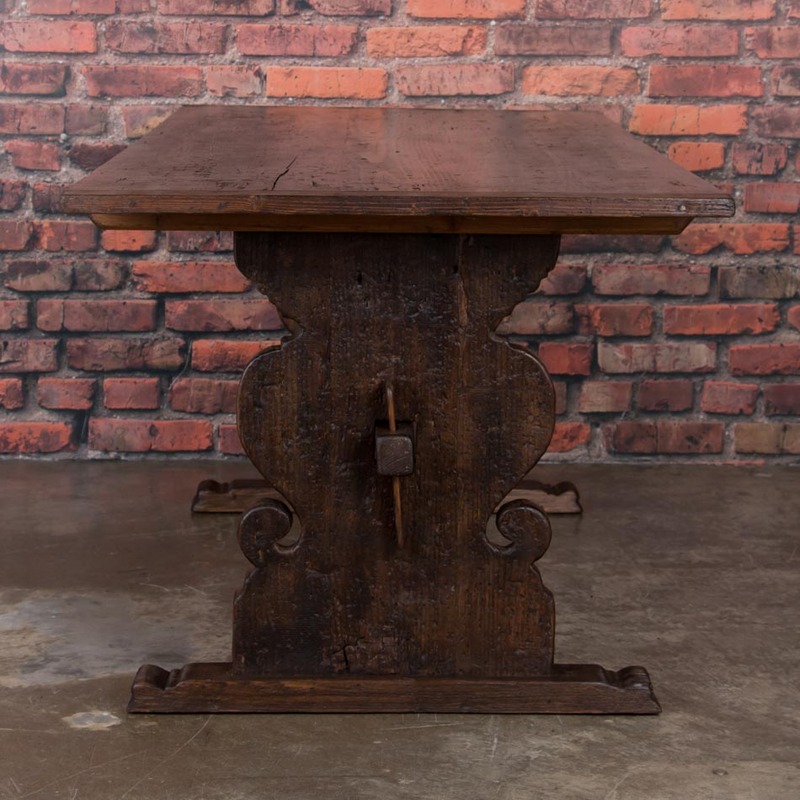 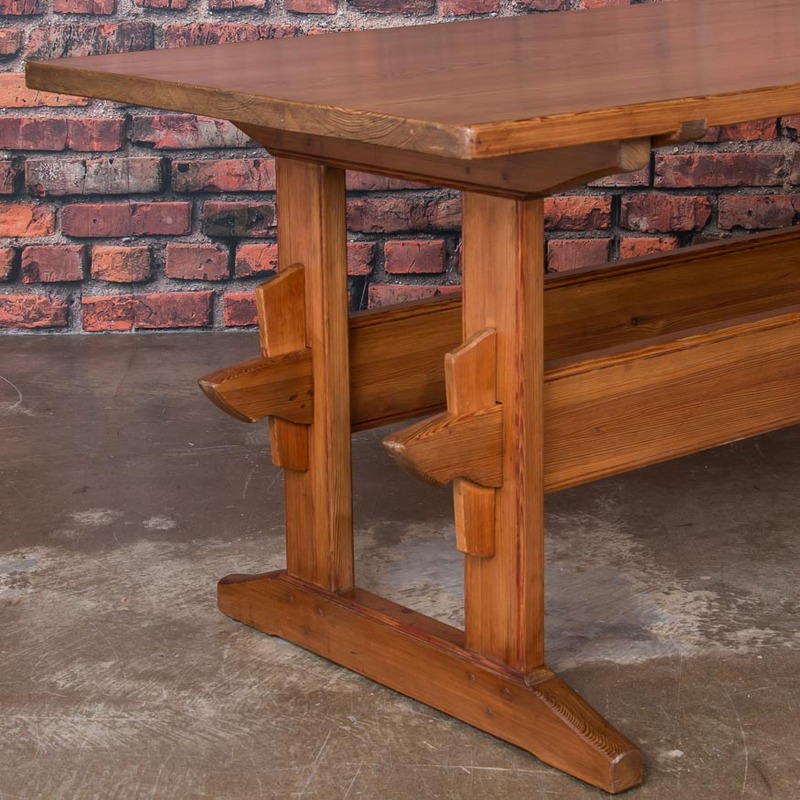 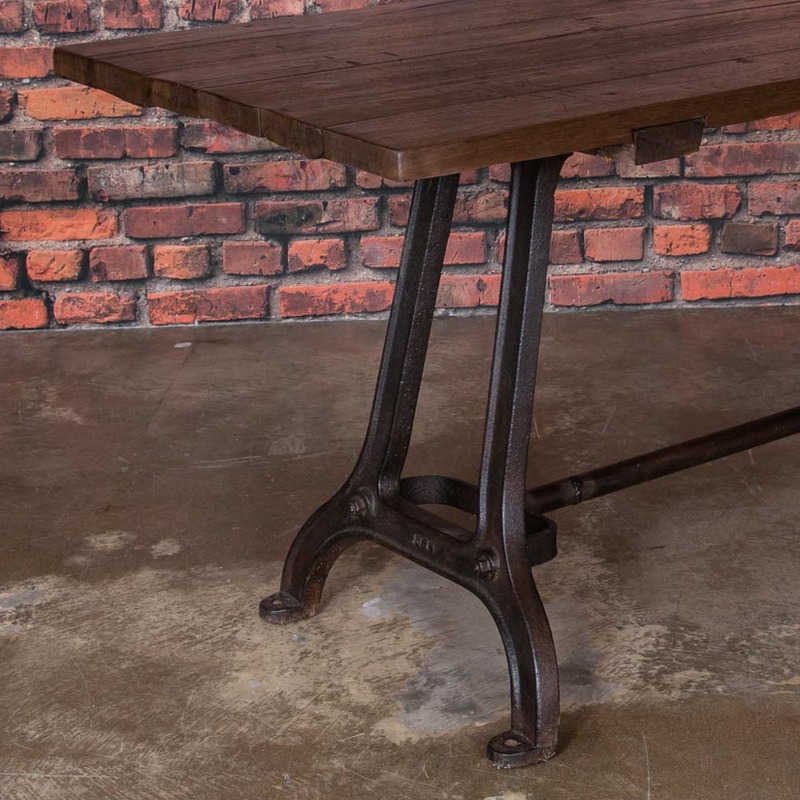 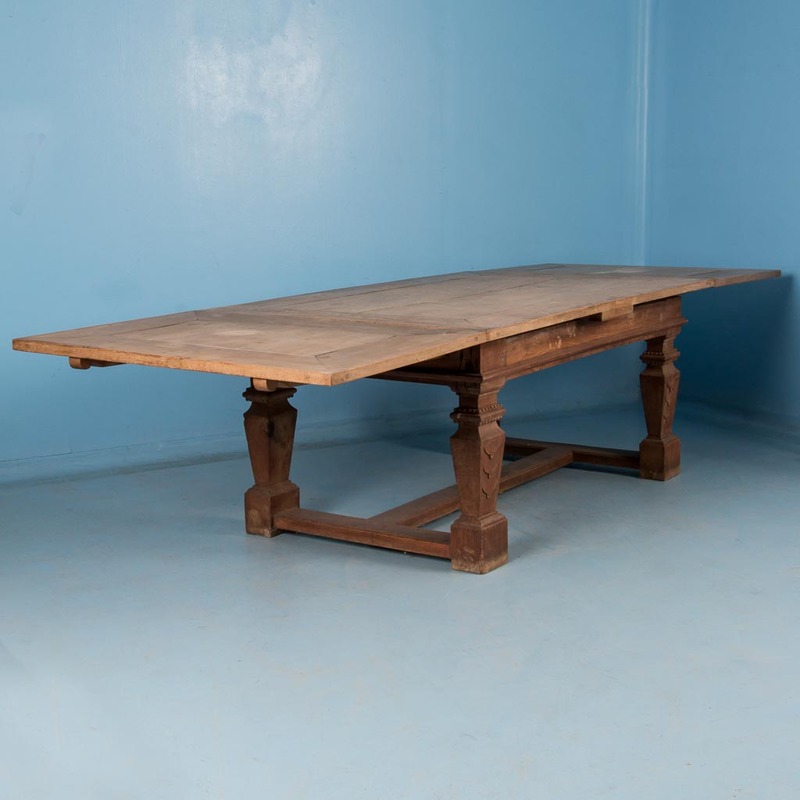 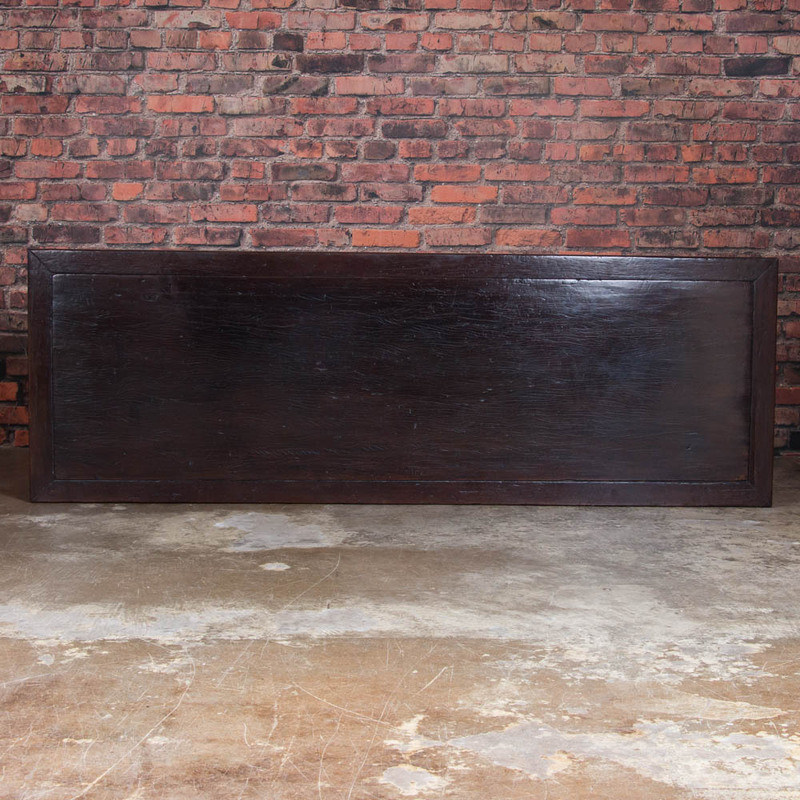 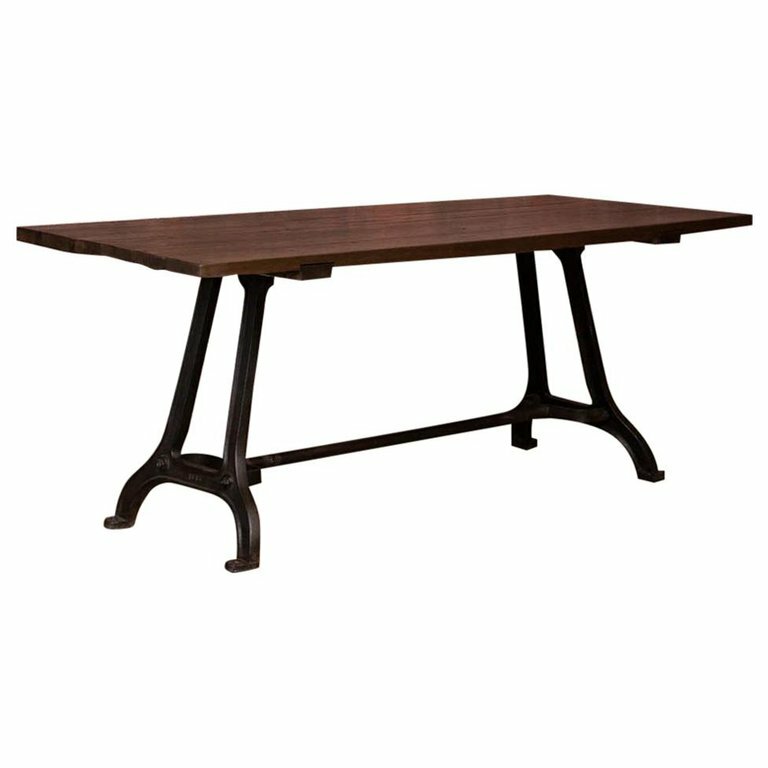 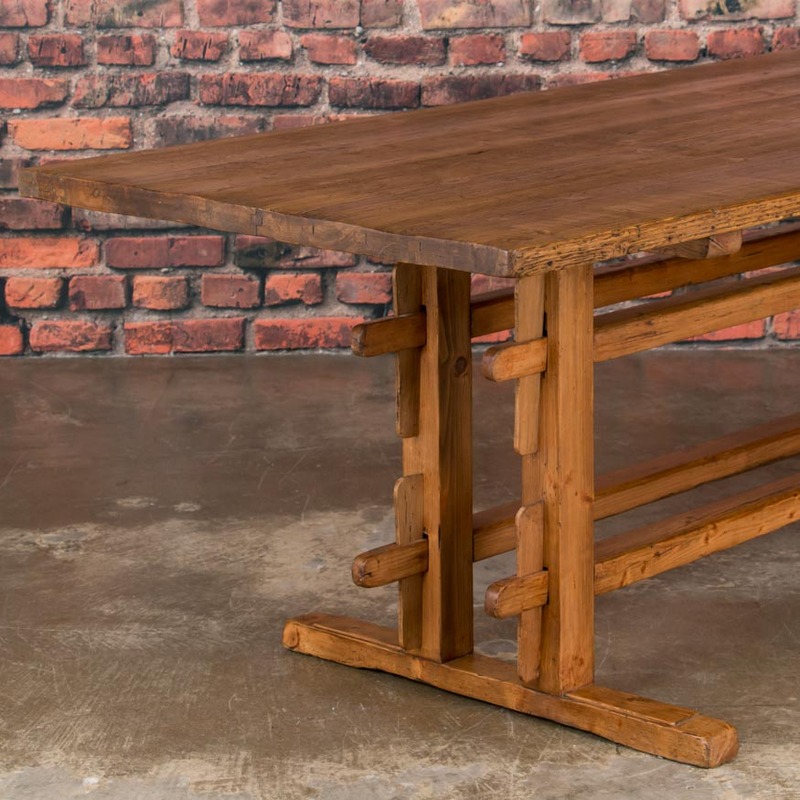 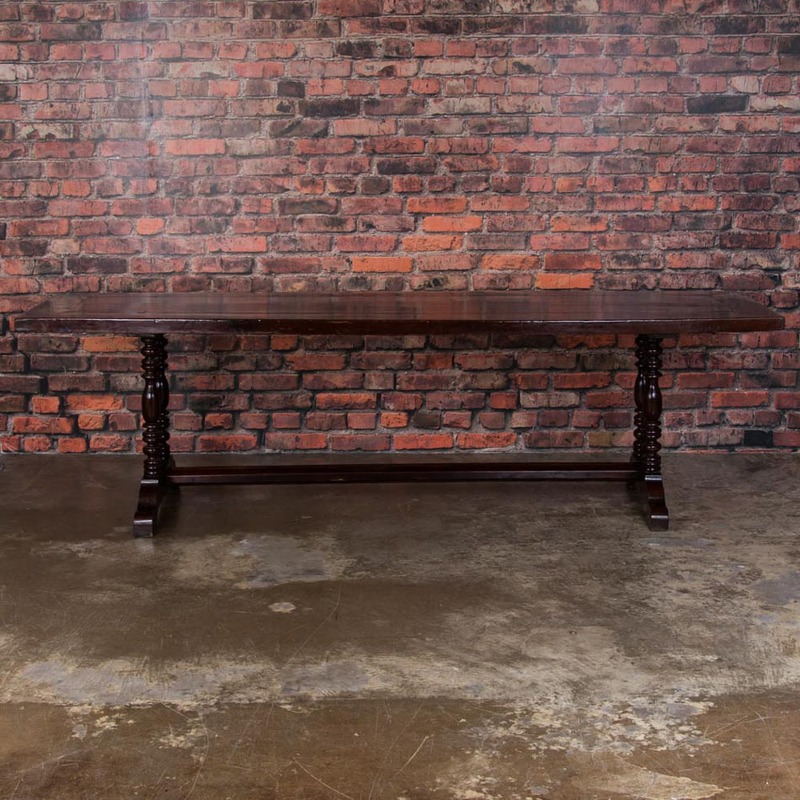 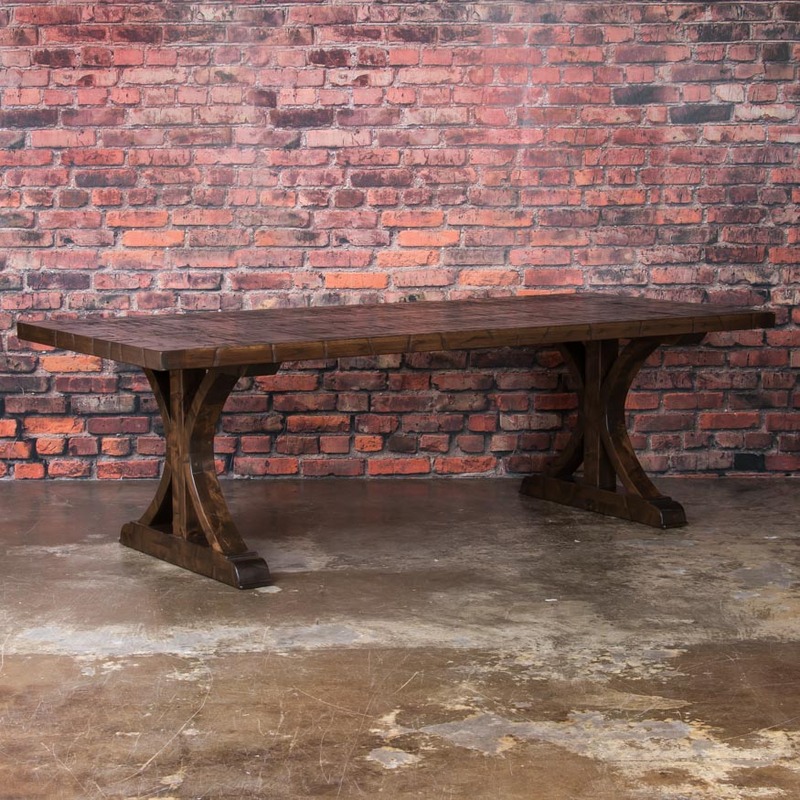 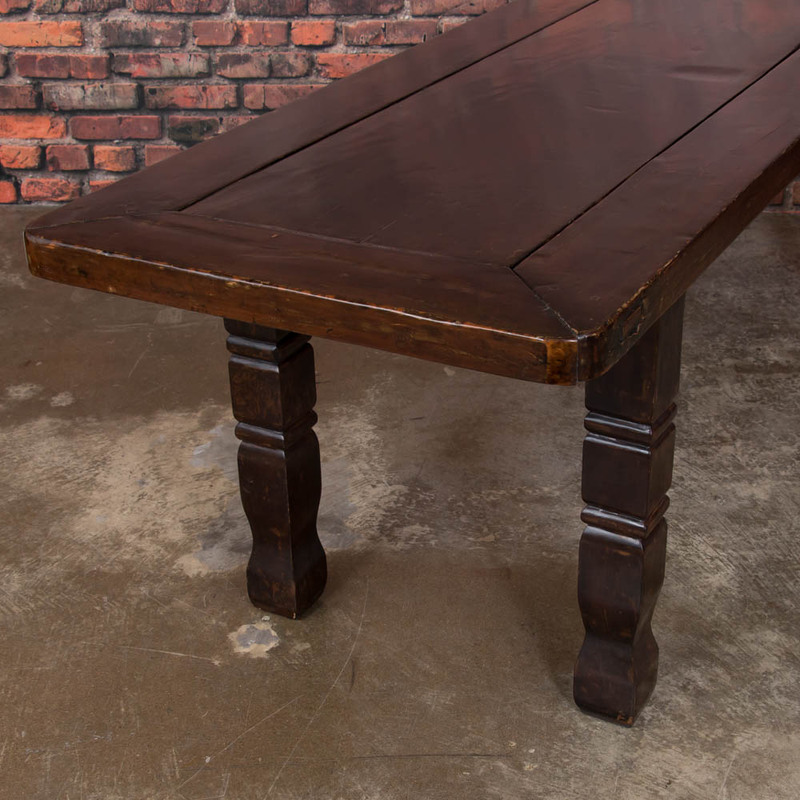 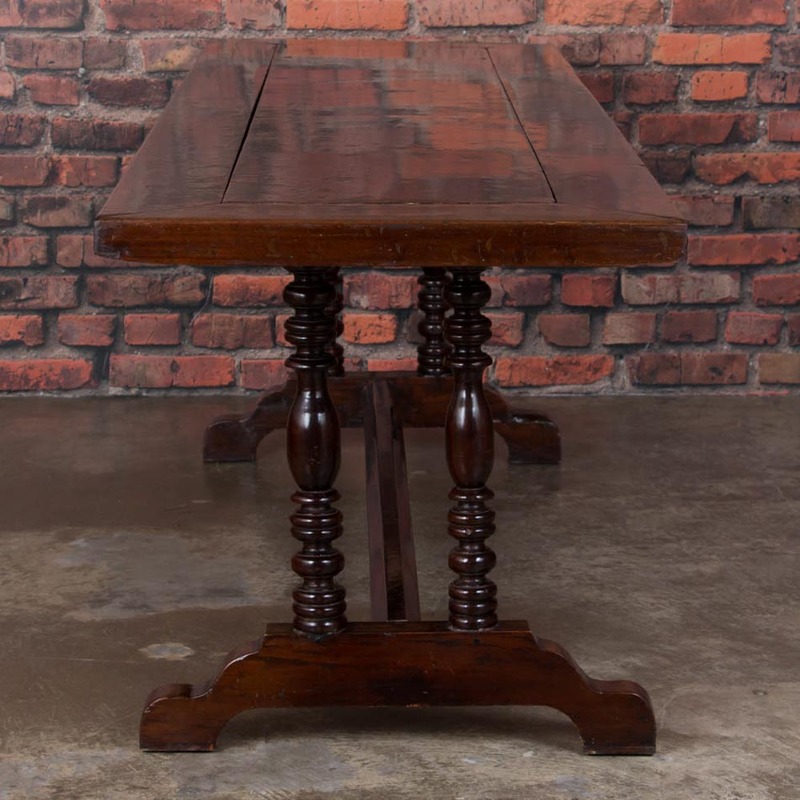 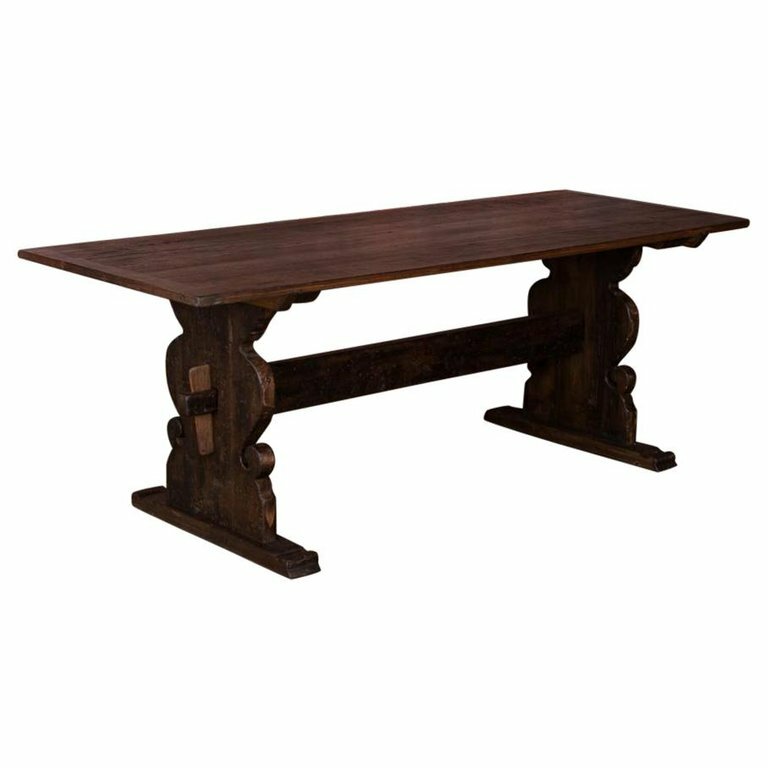 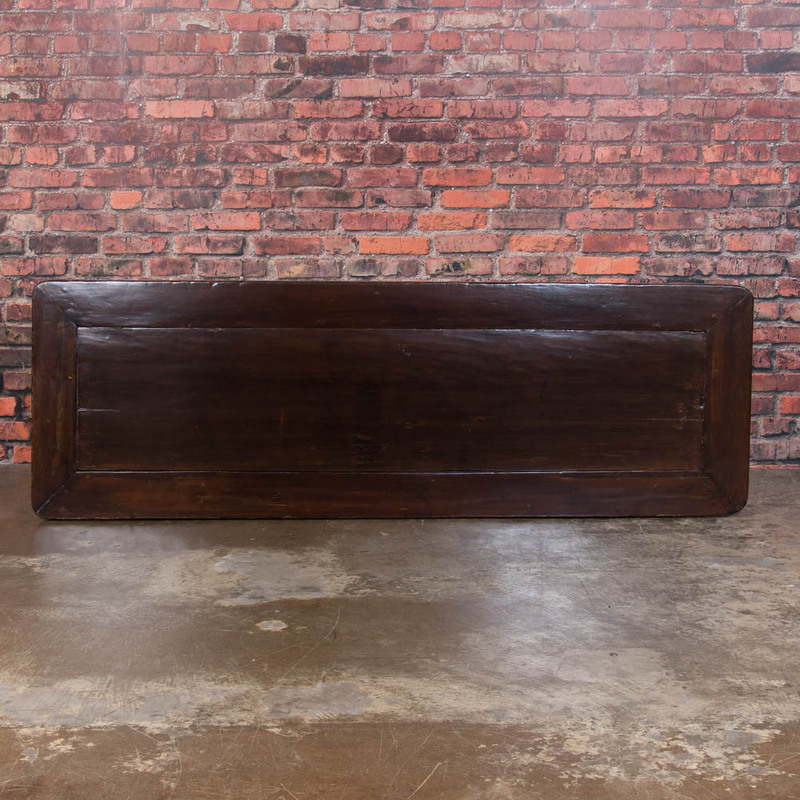 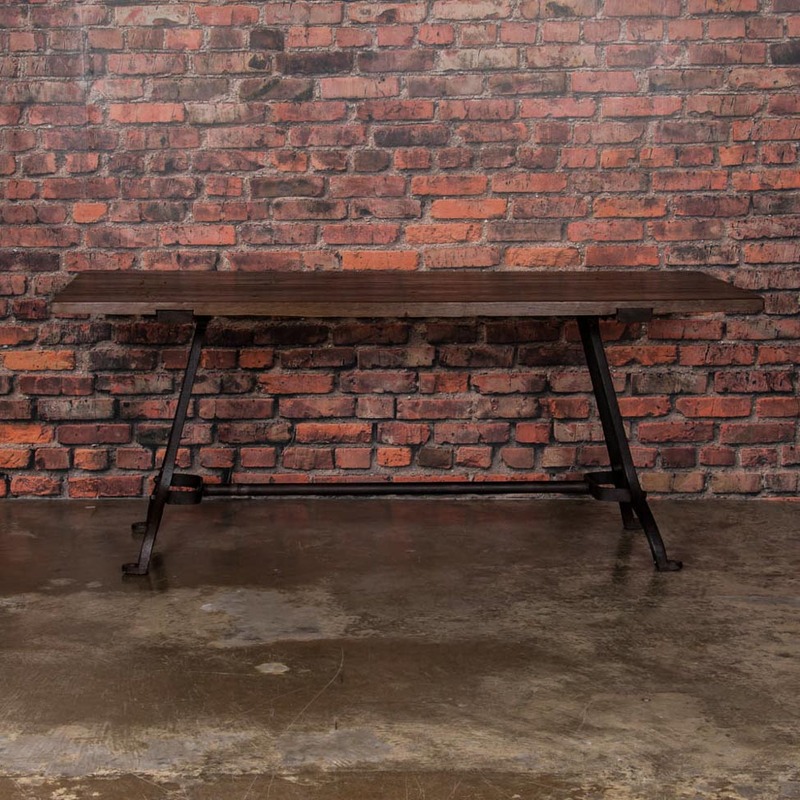 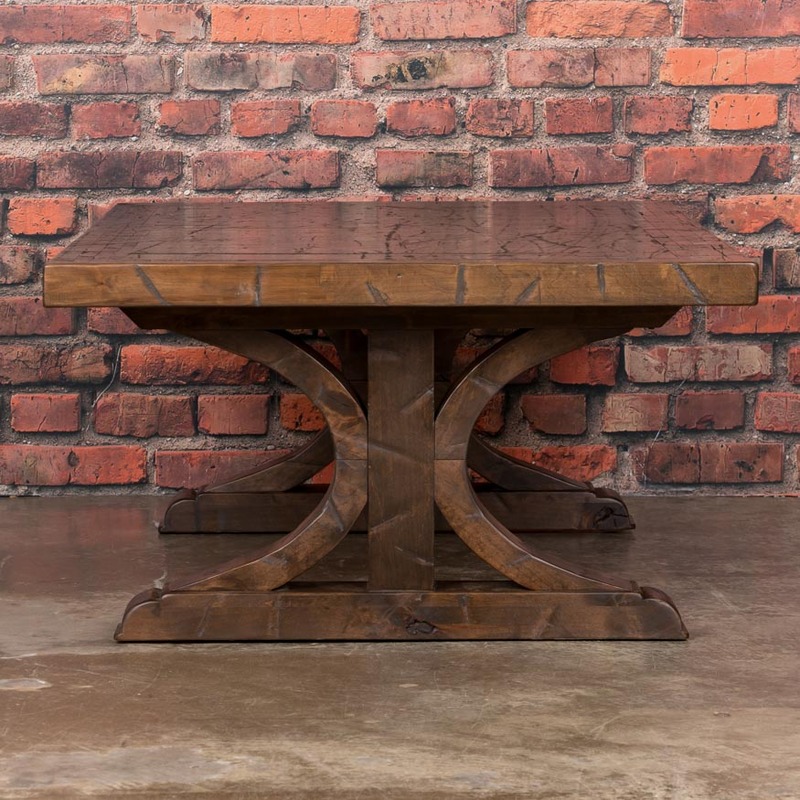 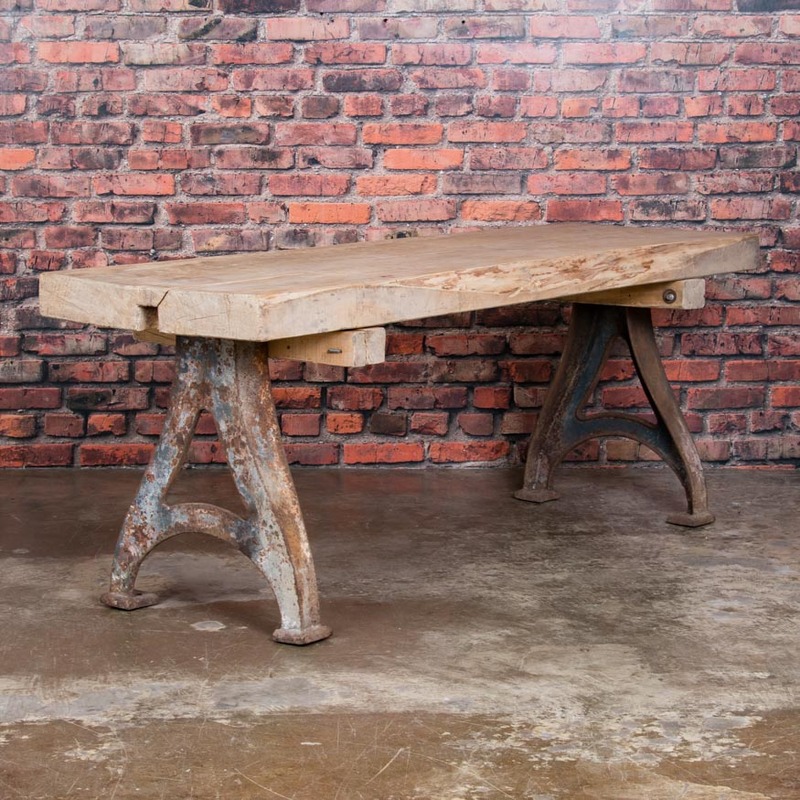 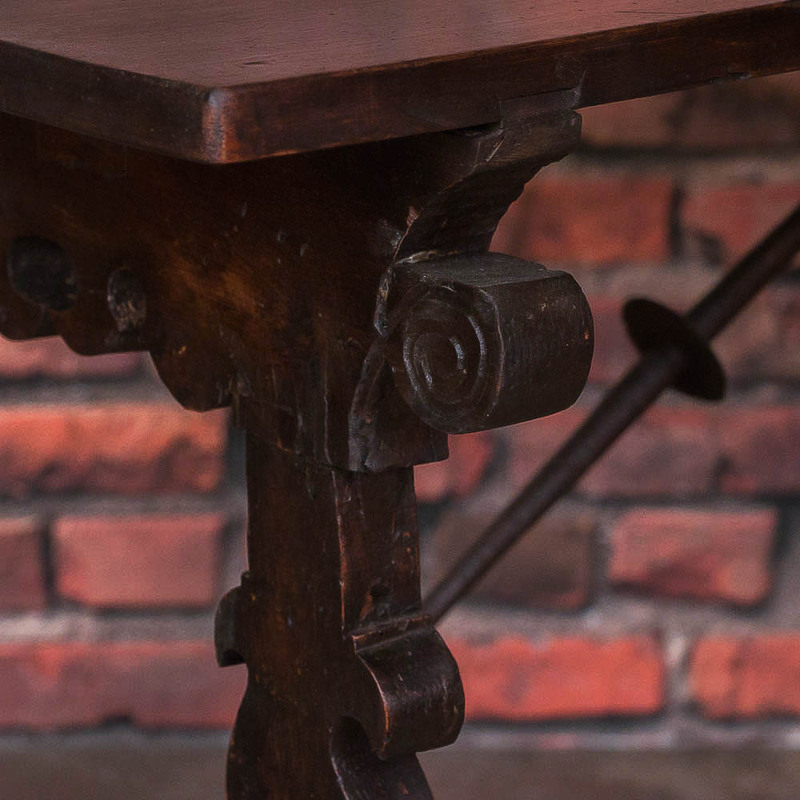 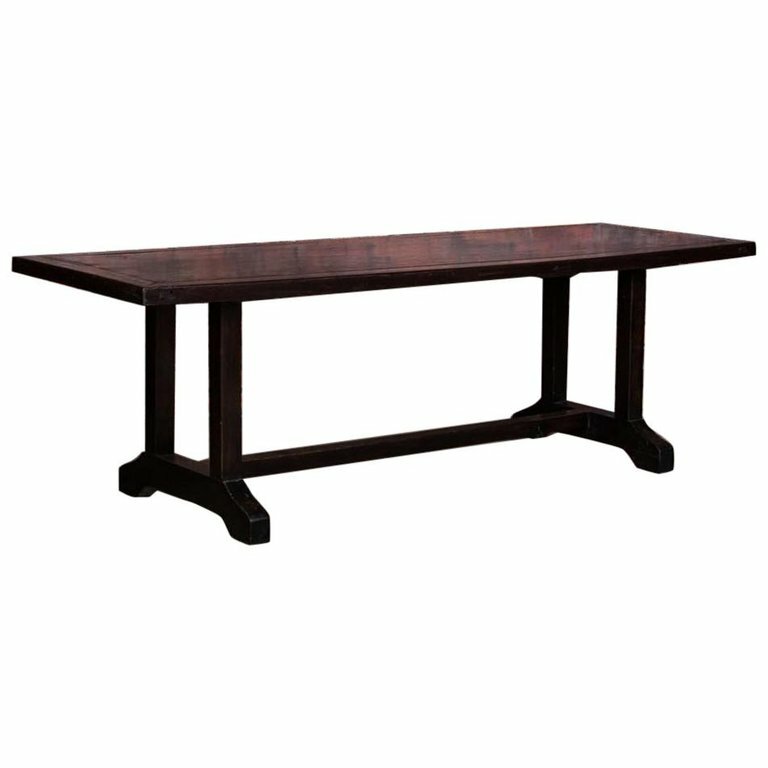 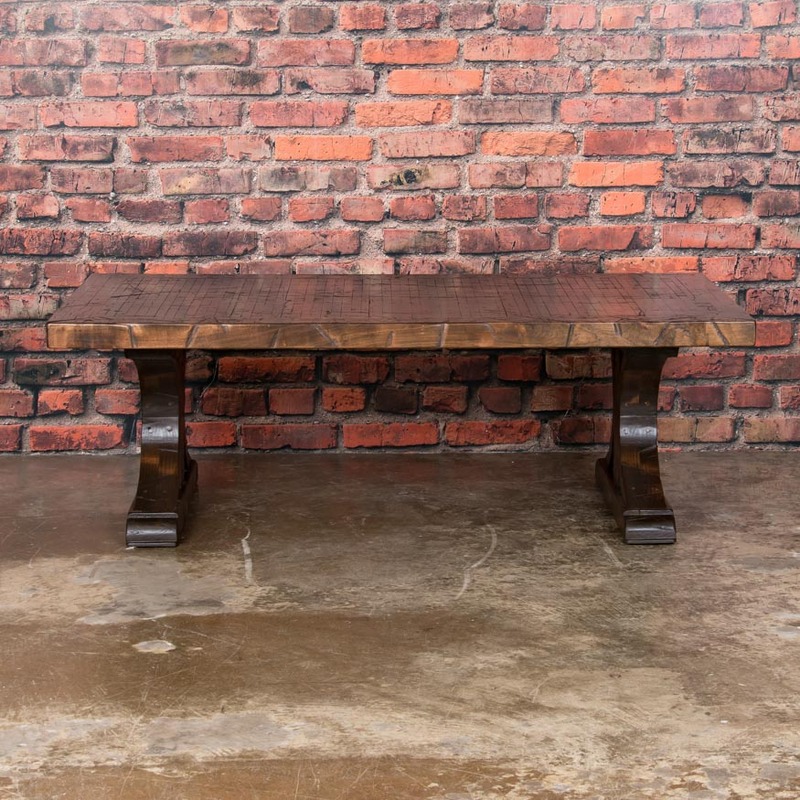 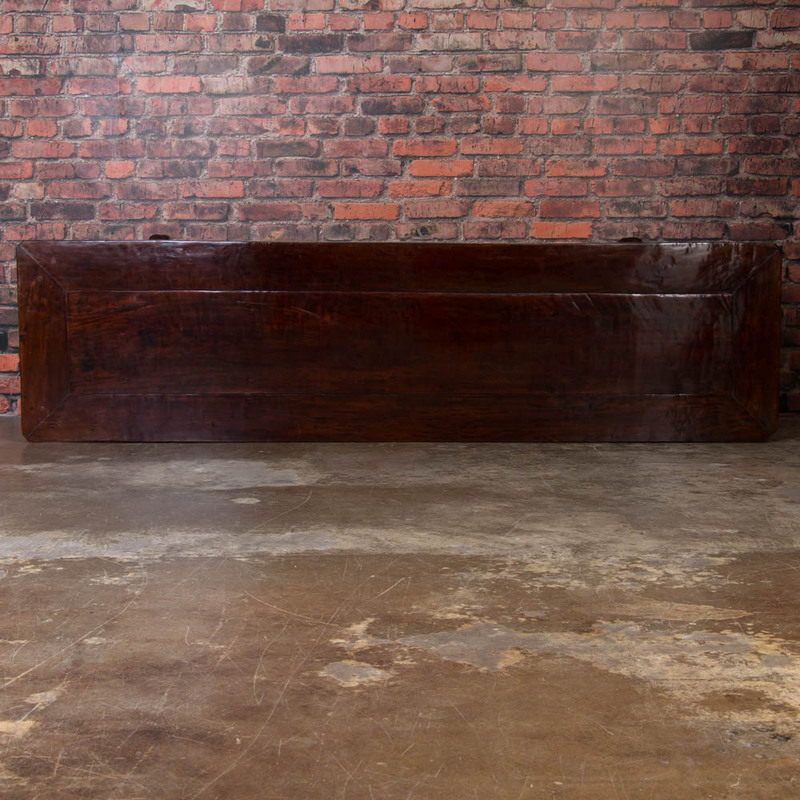 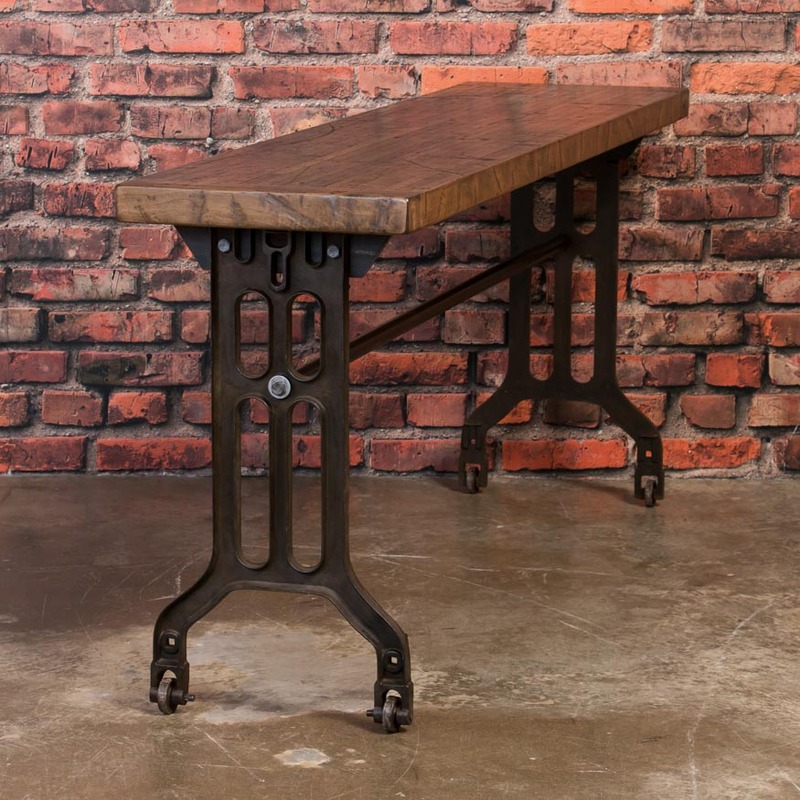 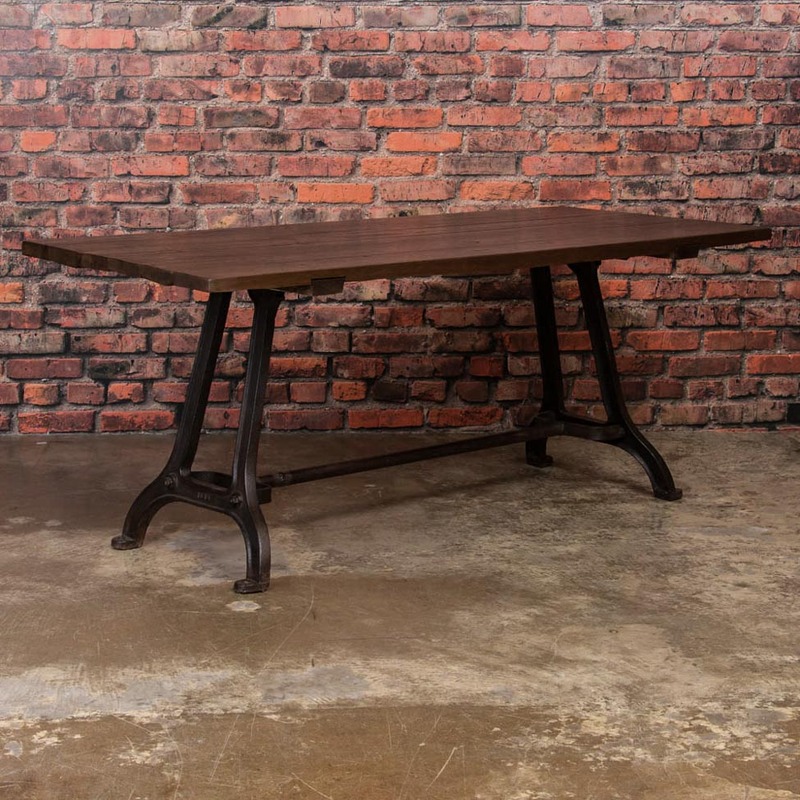 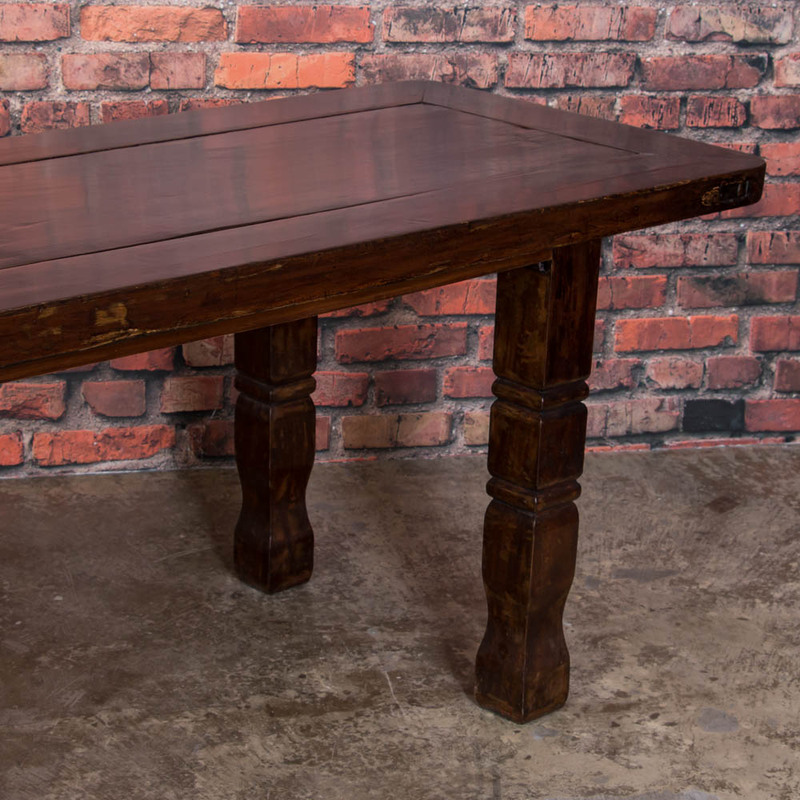 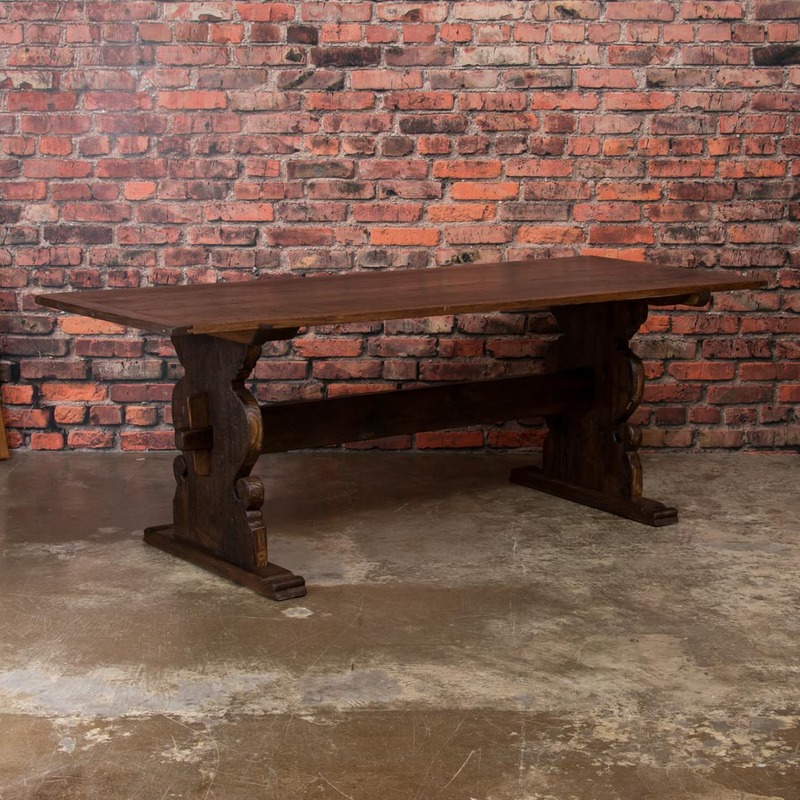 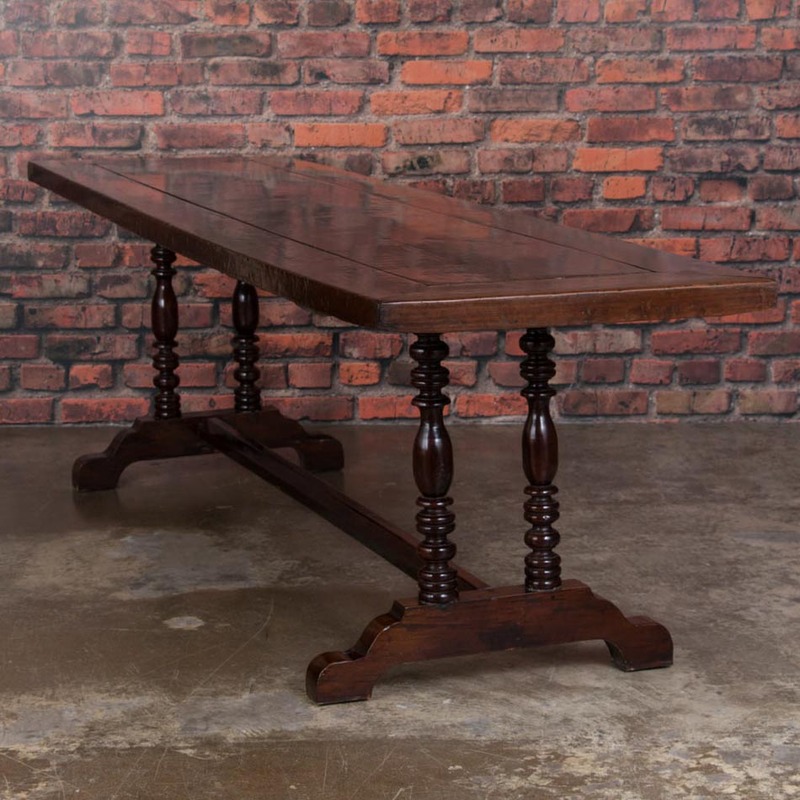 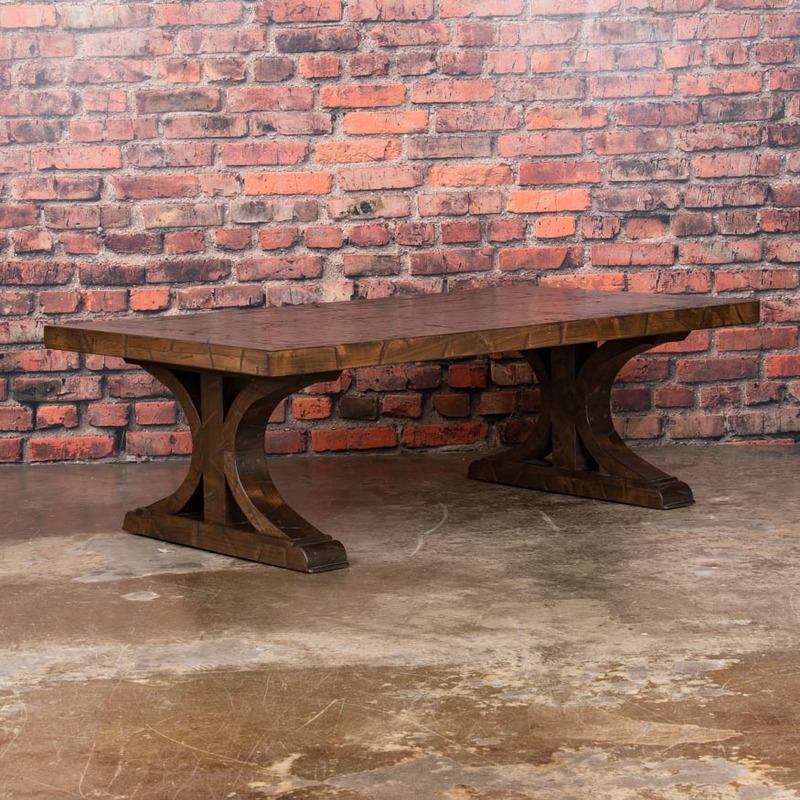 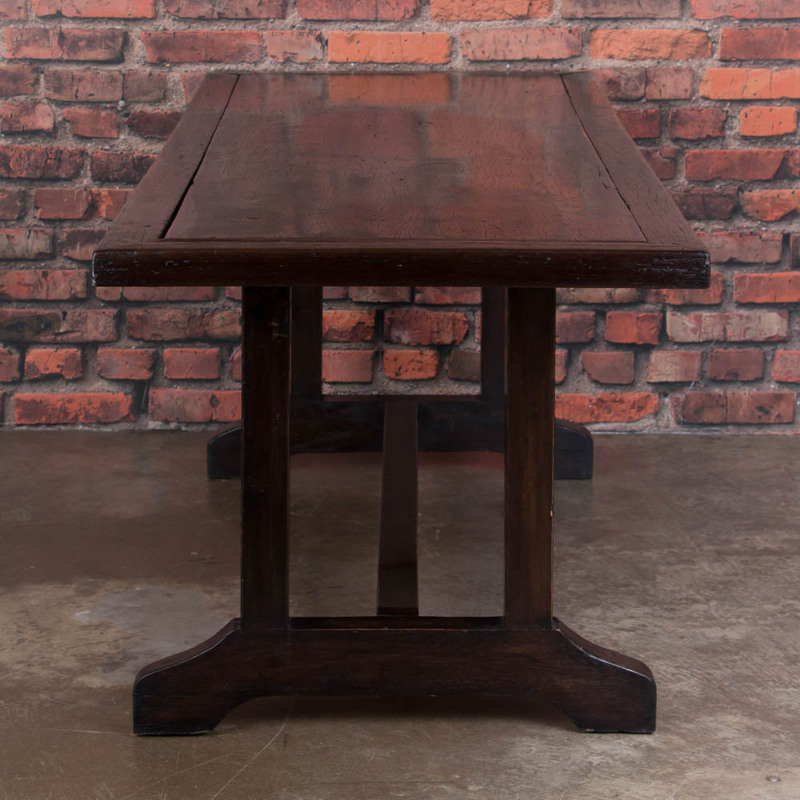 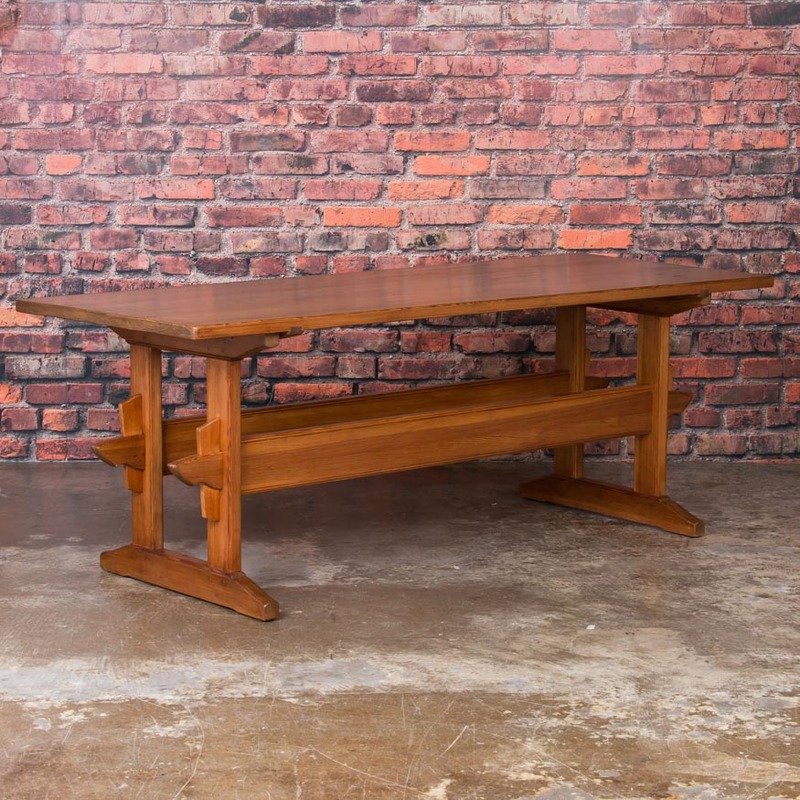 Antique mahogany dining table from the Philippines, circa 1860-1880, with a trestle base. 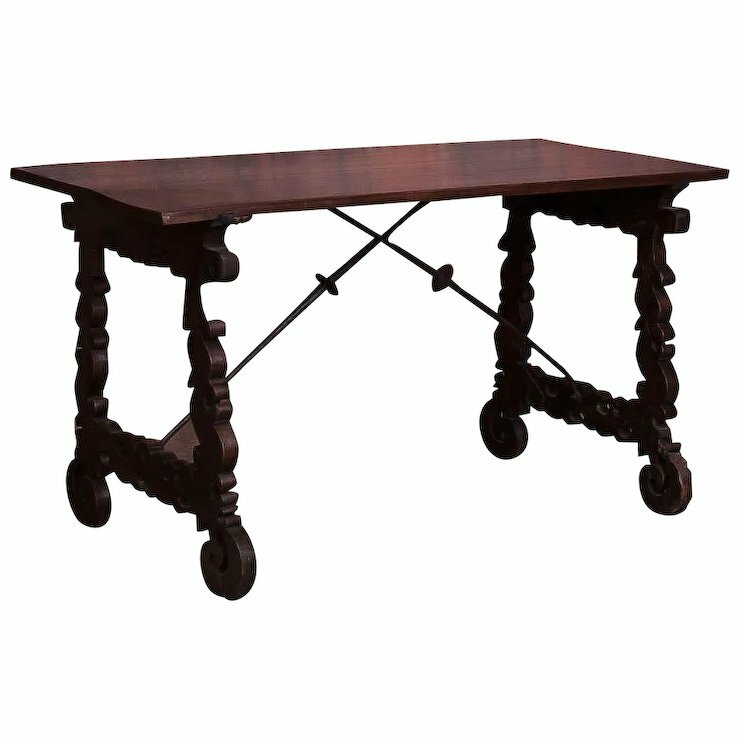 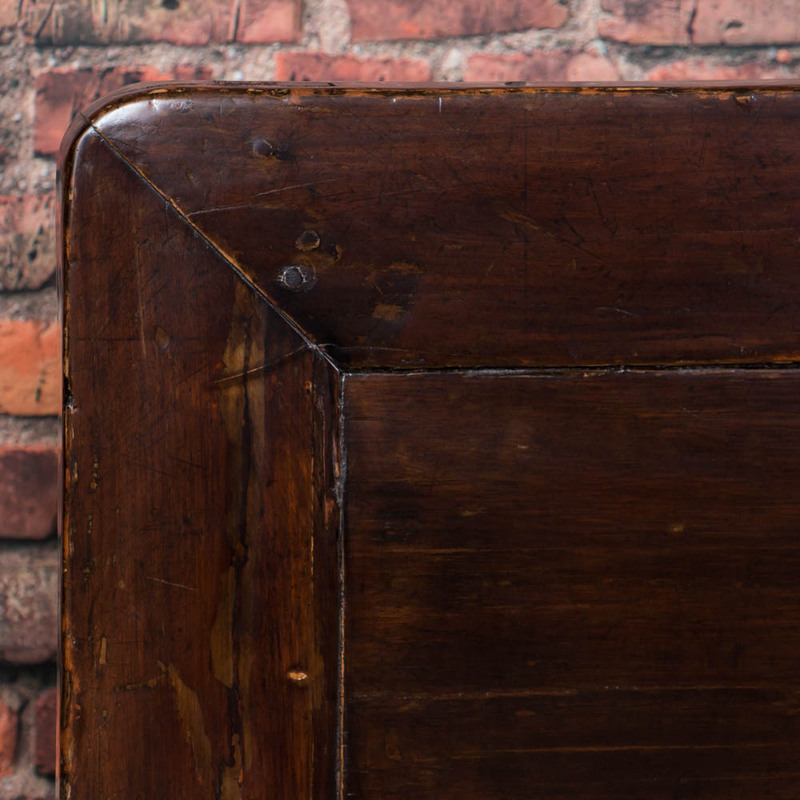 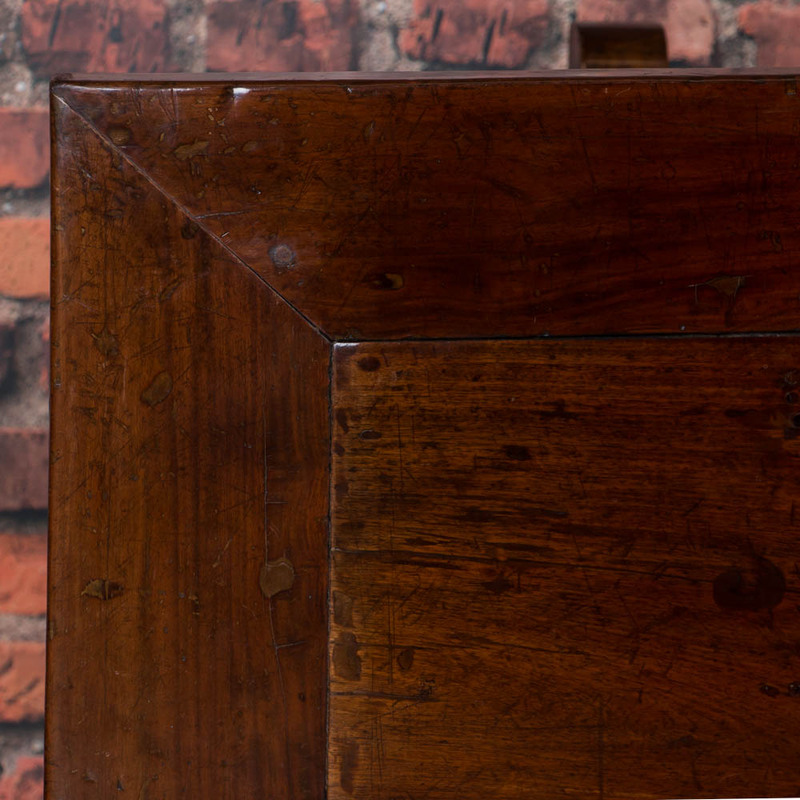 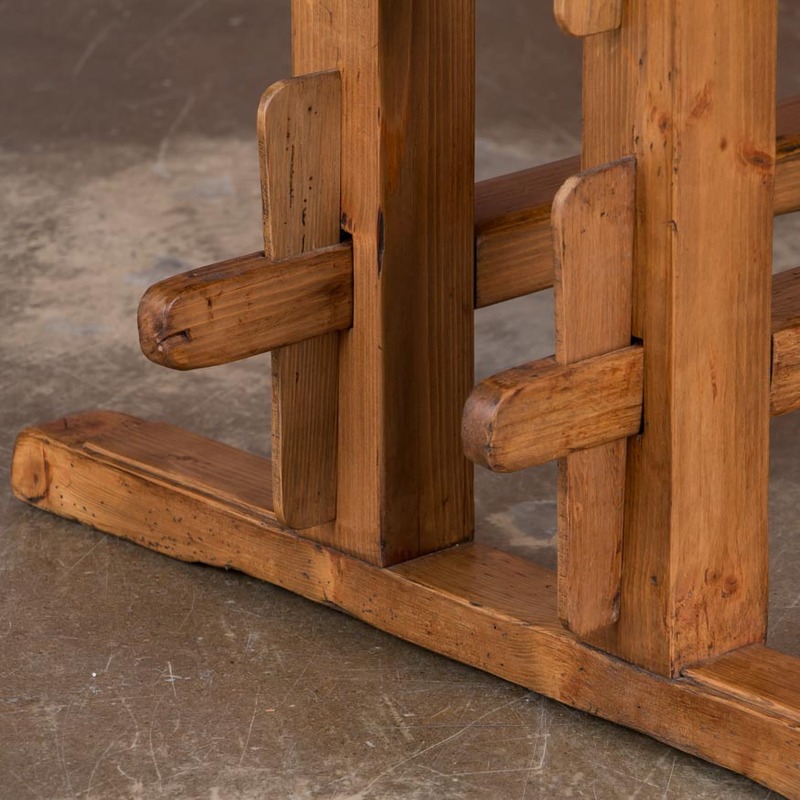 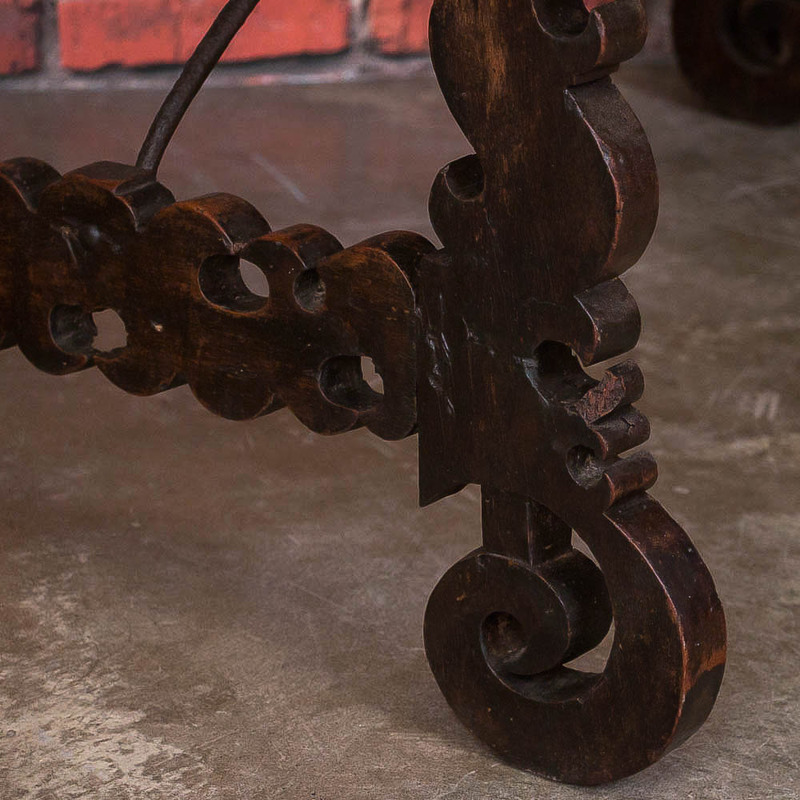 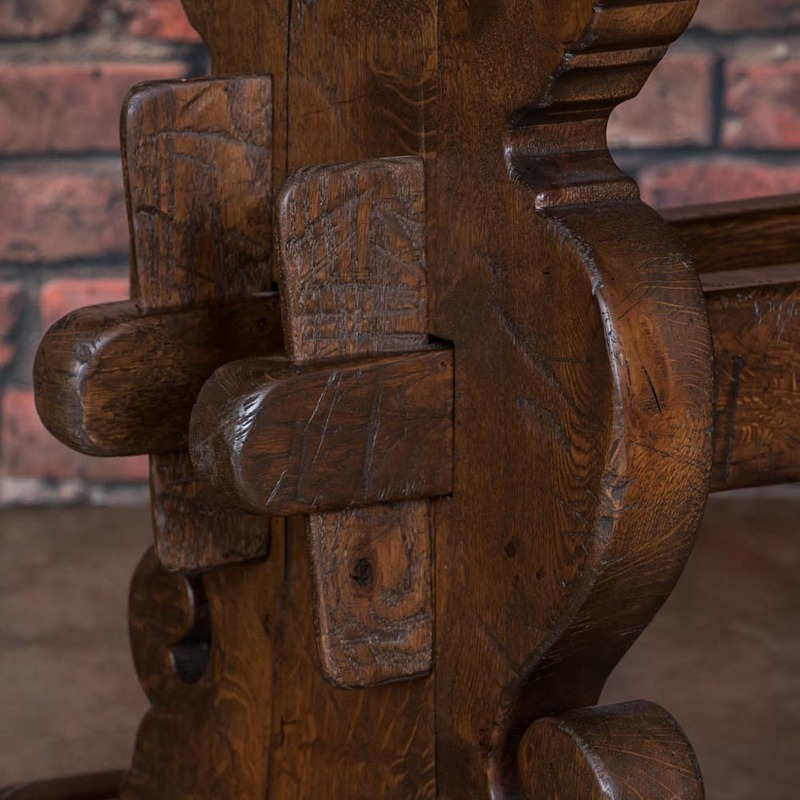 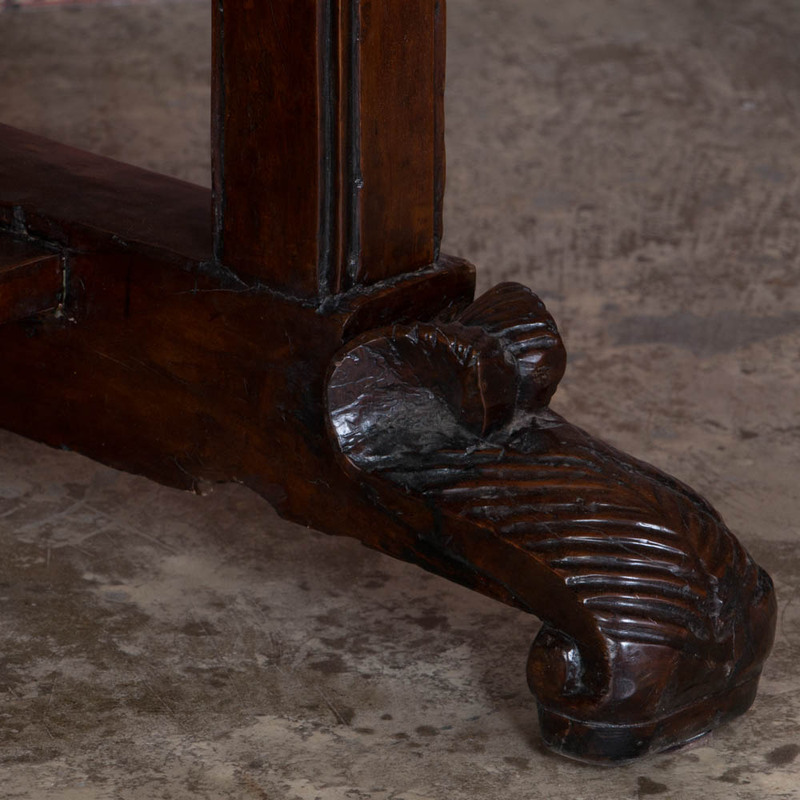 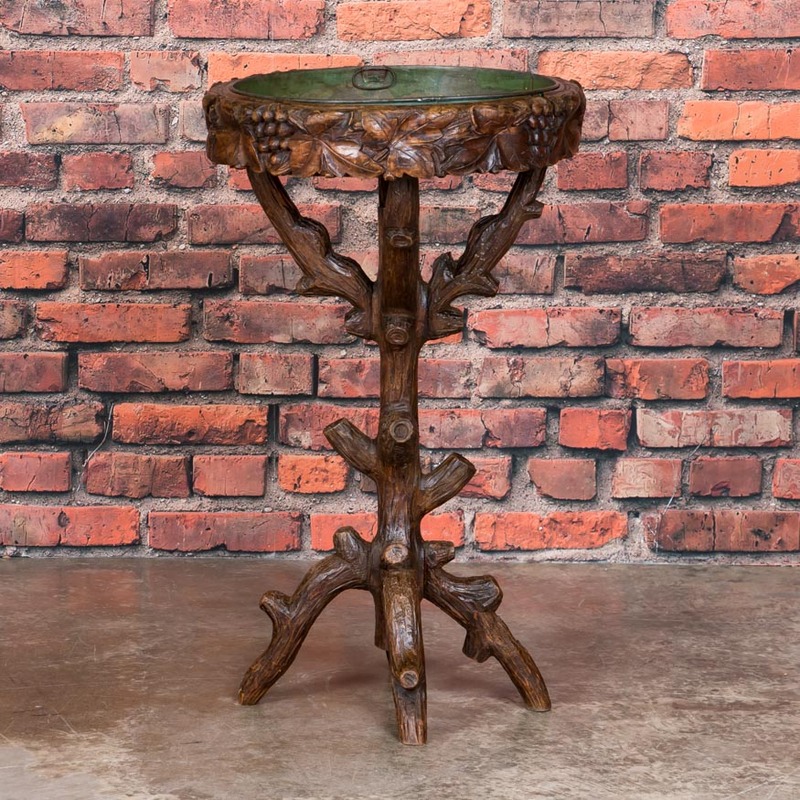 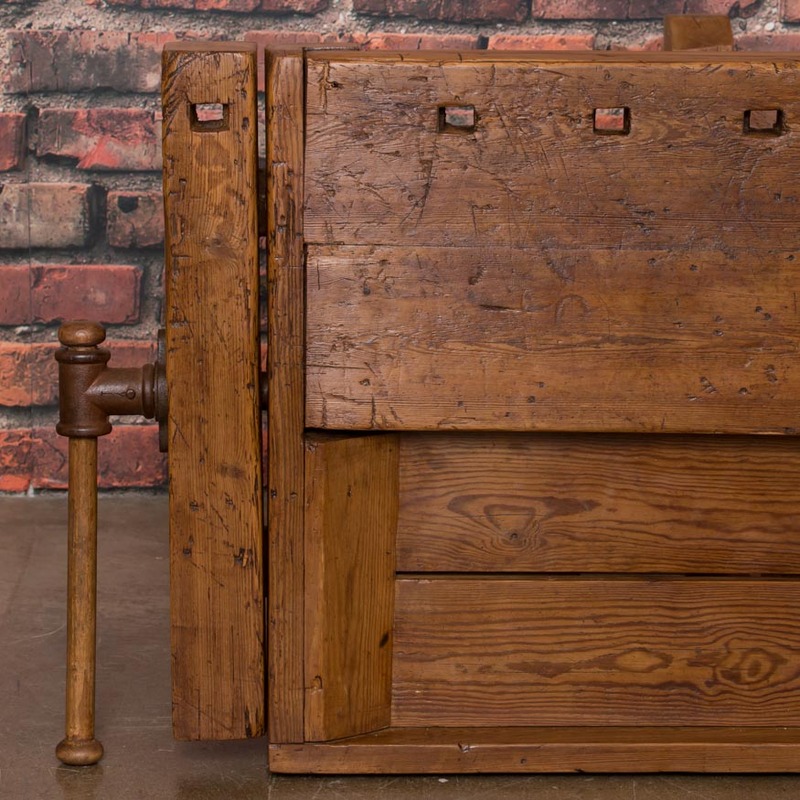 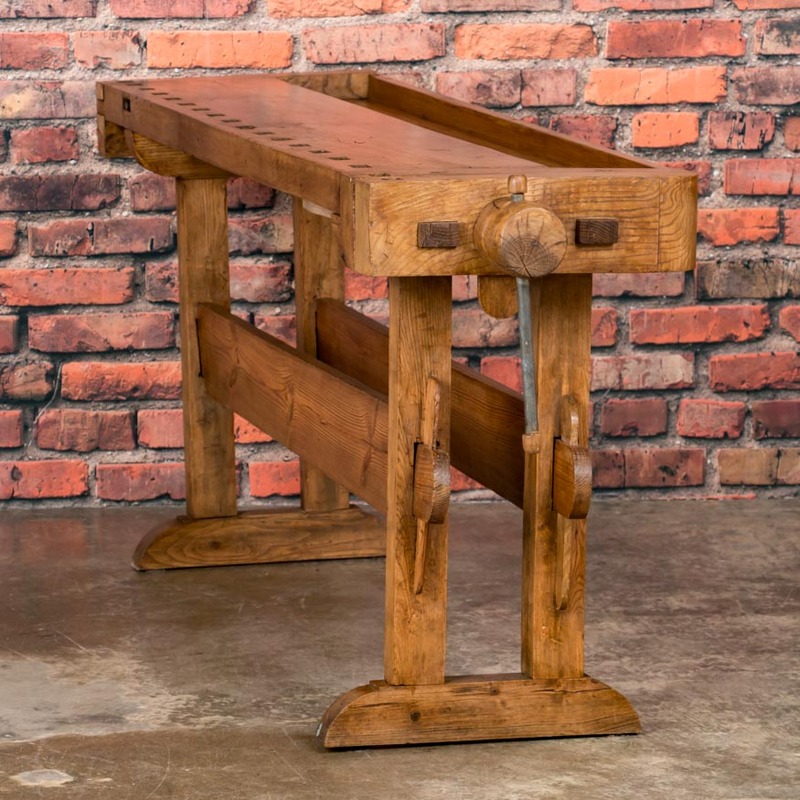 Antique Danish oak draw leaf table, circa 1880, with leaves that pull out from each end and carved legs supported by an H shaped stretcher. 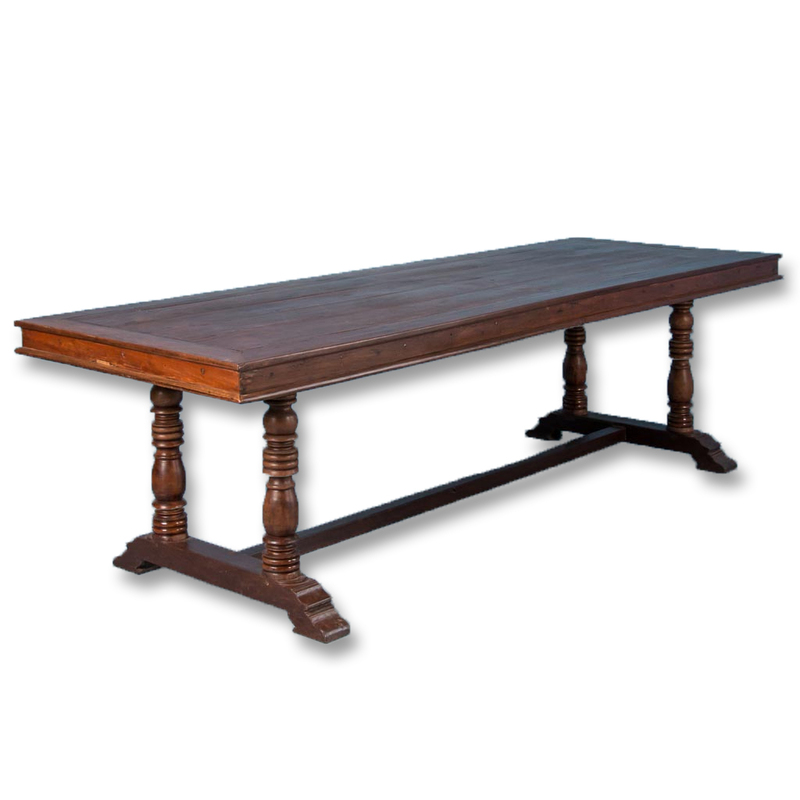 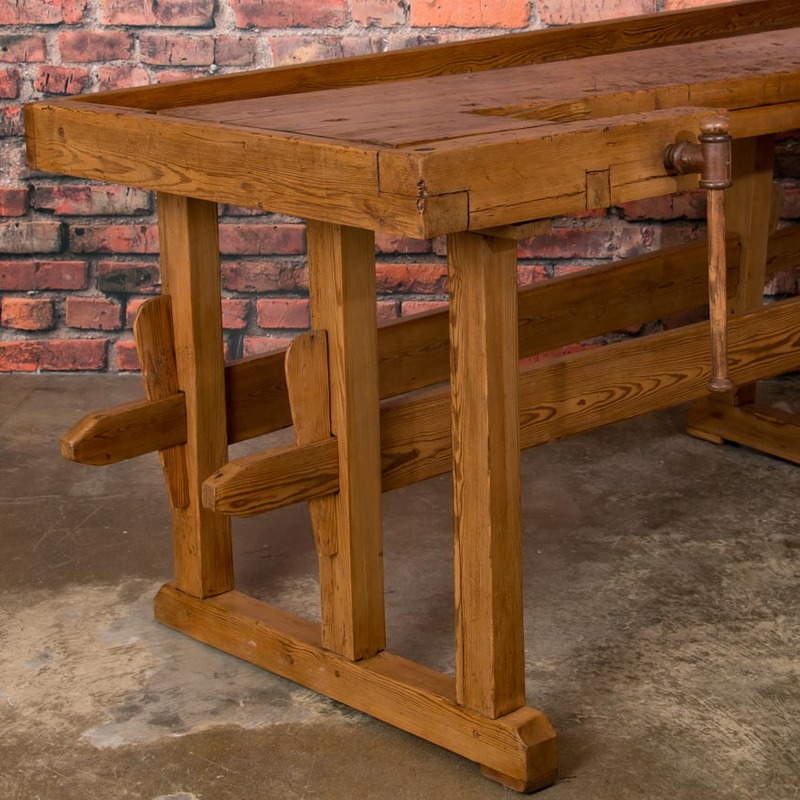 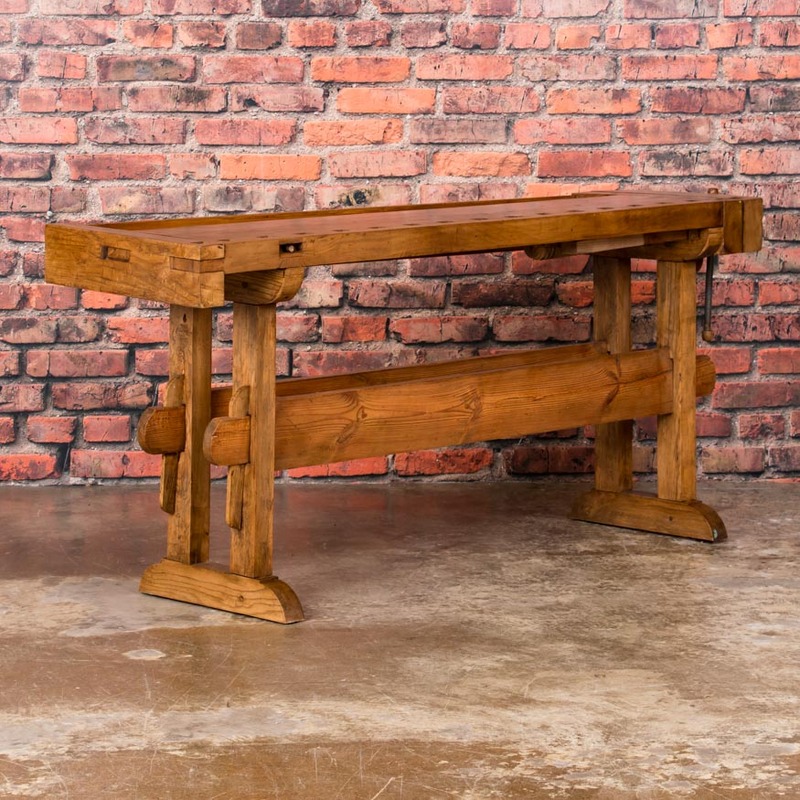 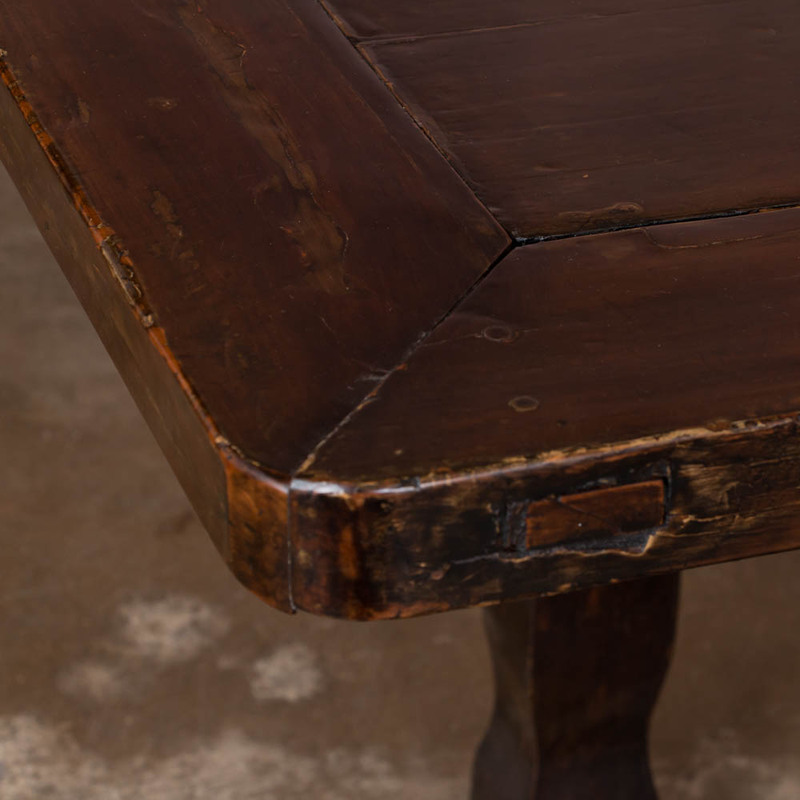 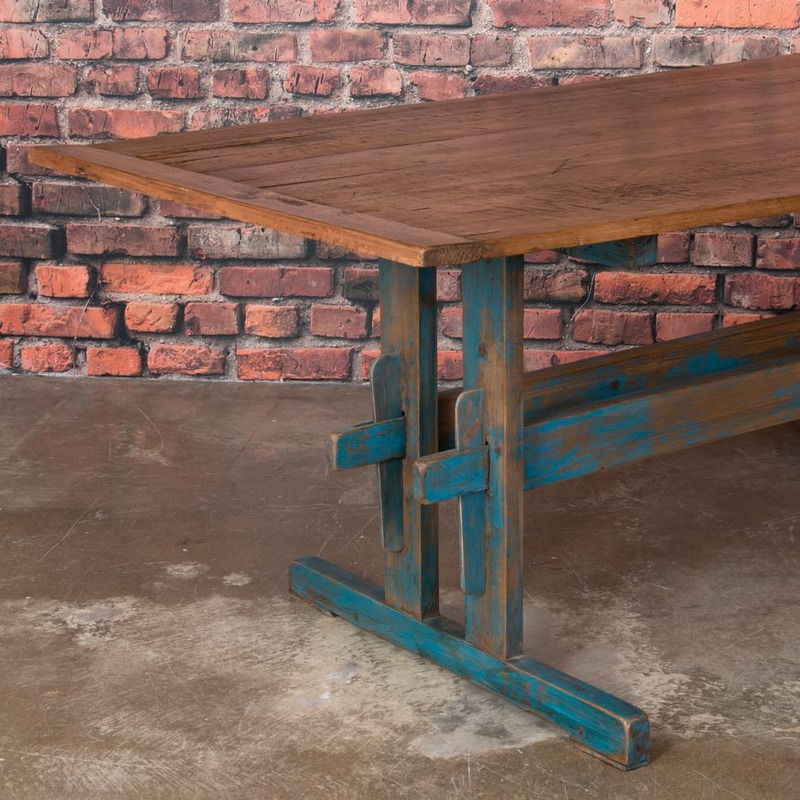 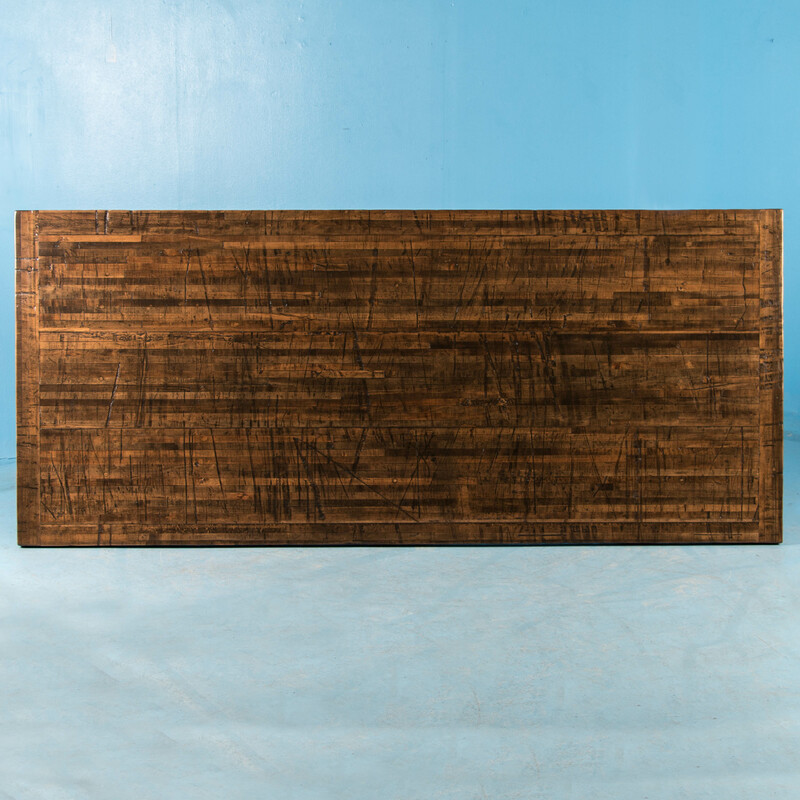 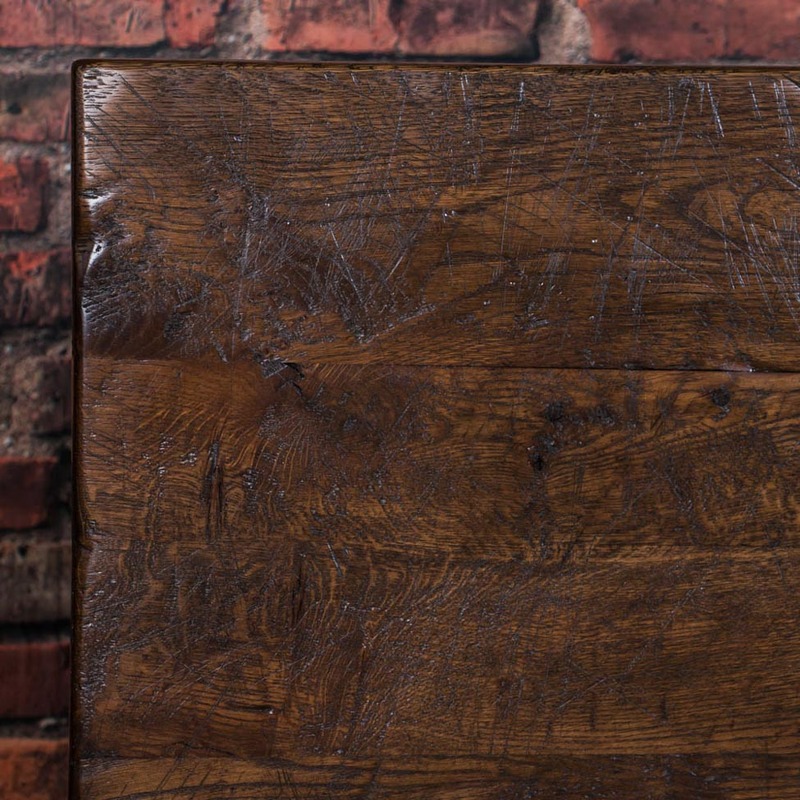 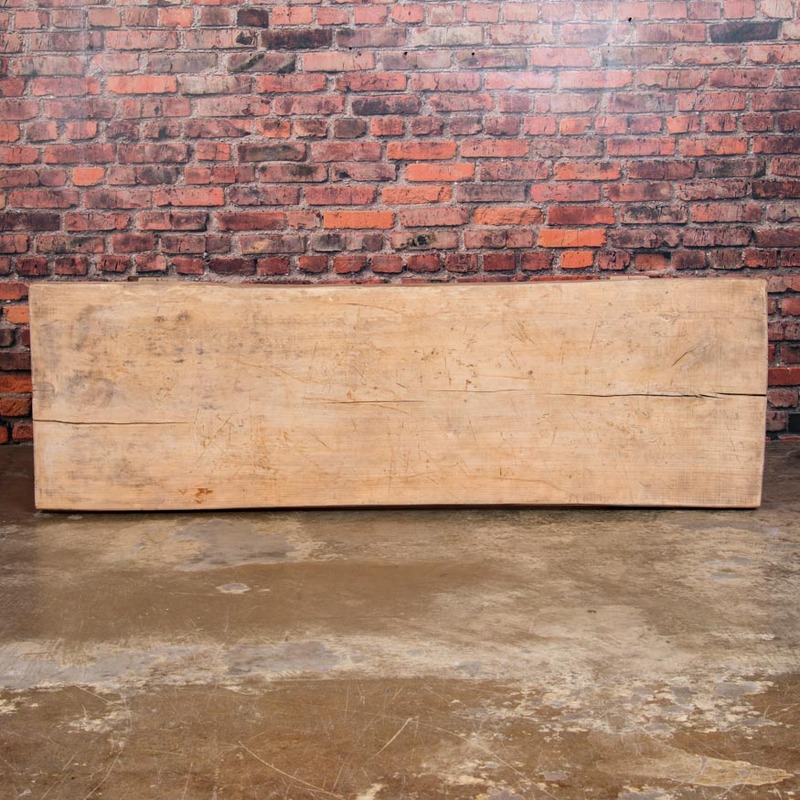 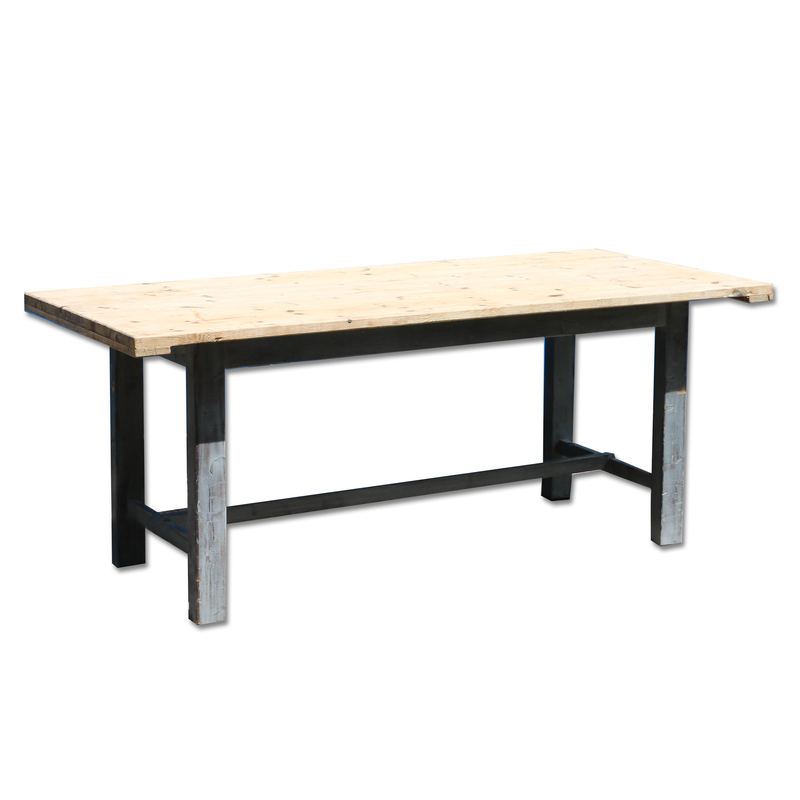 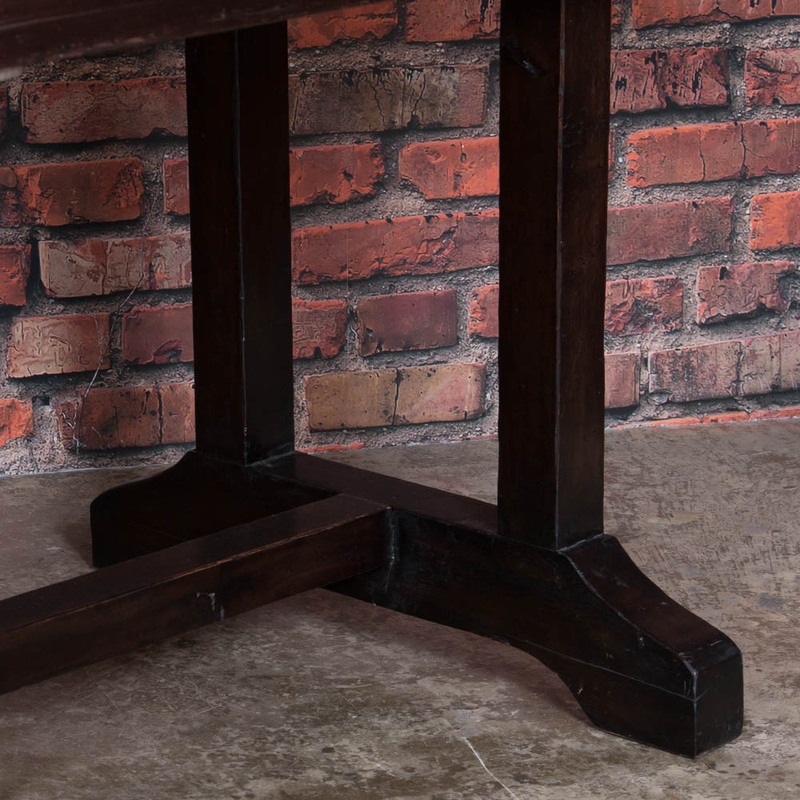 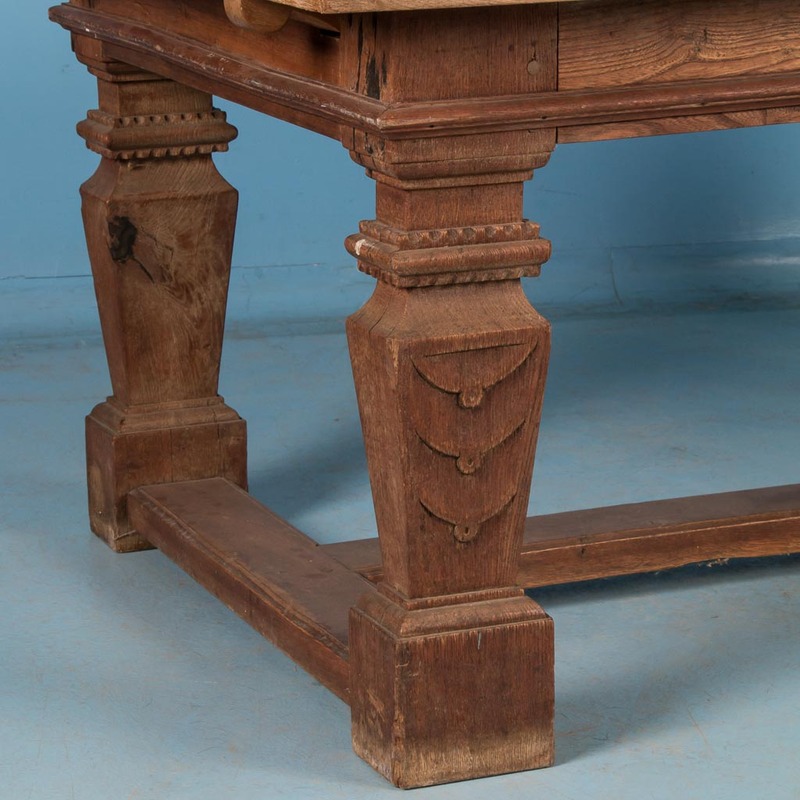 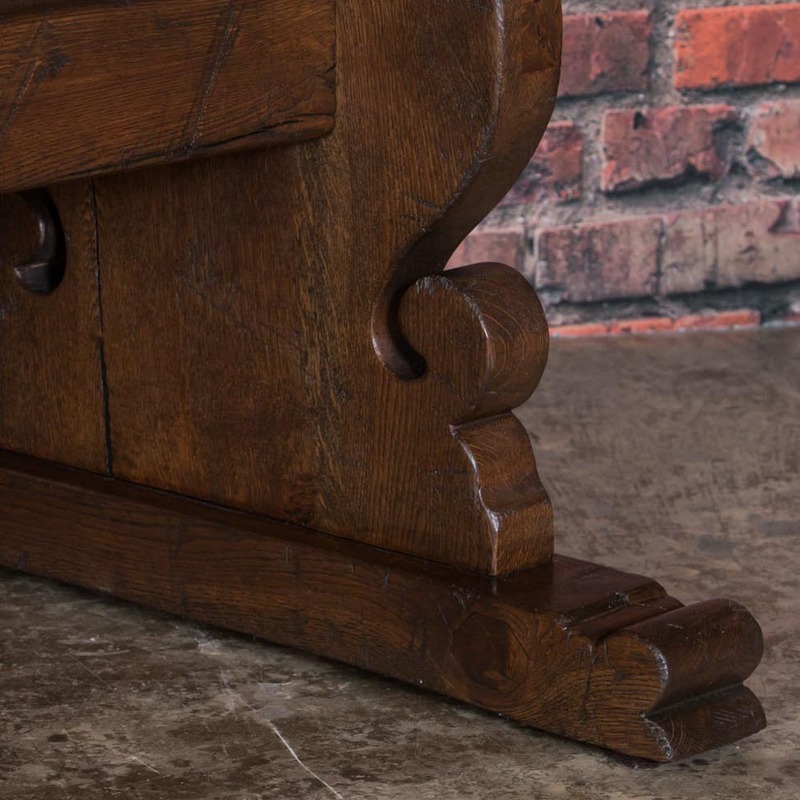 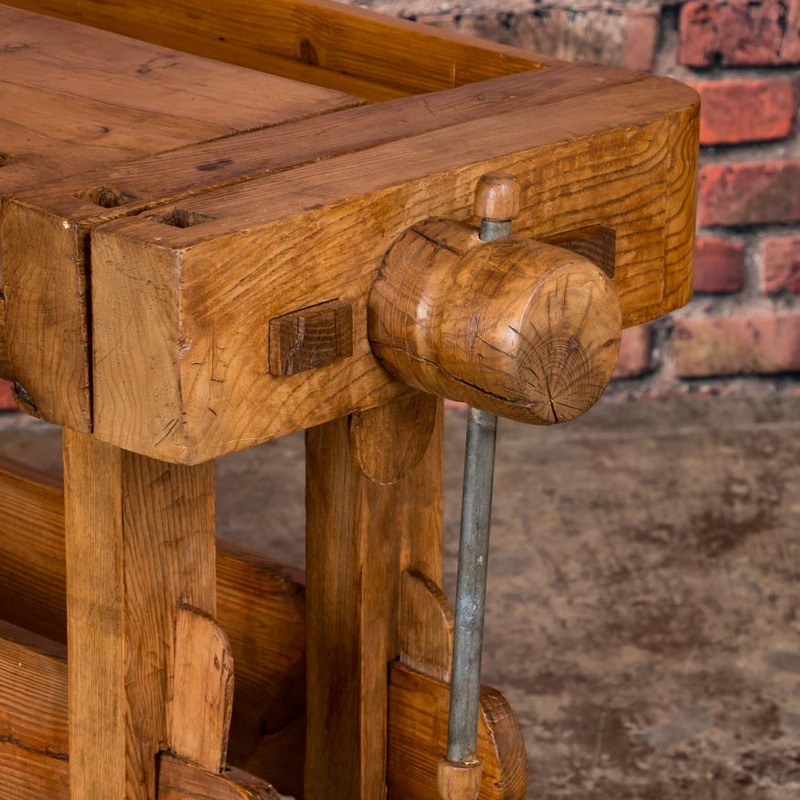 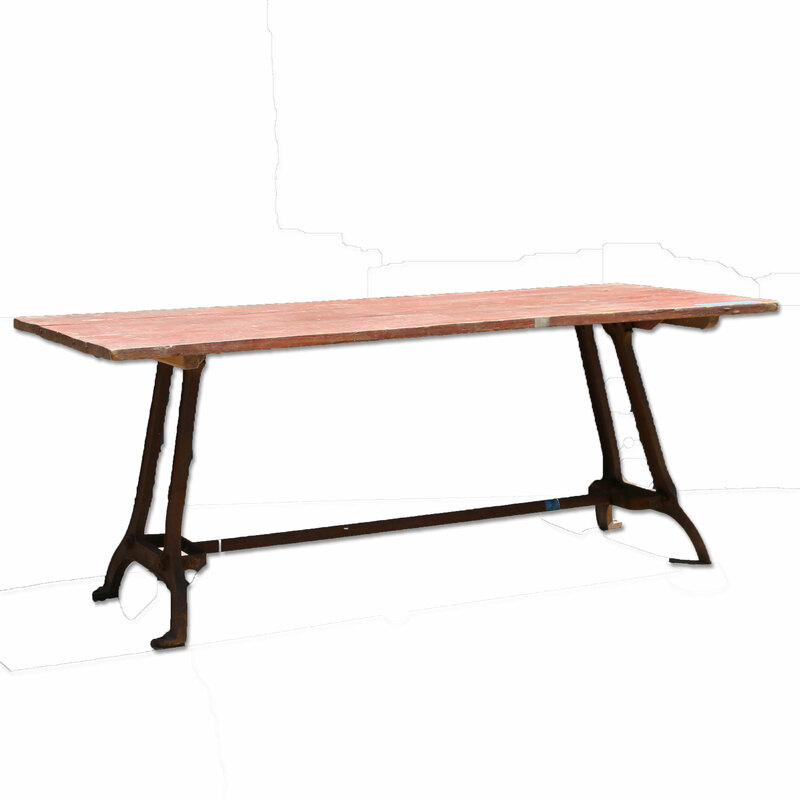 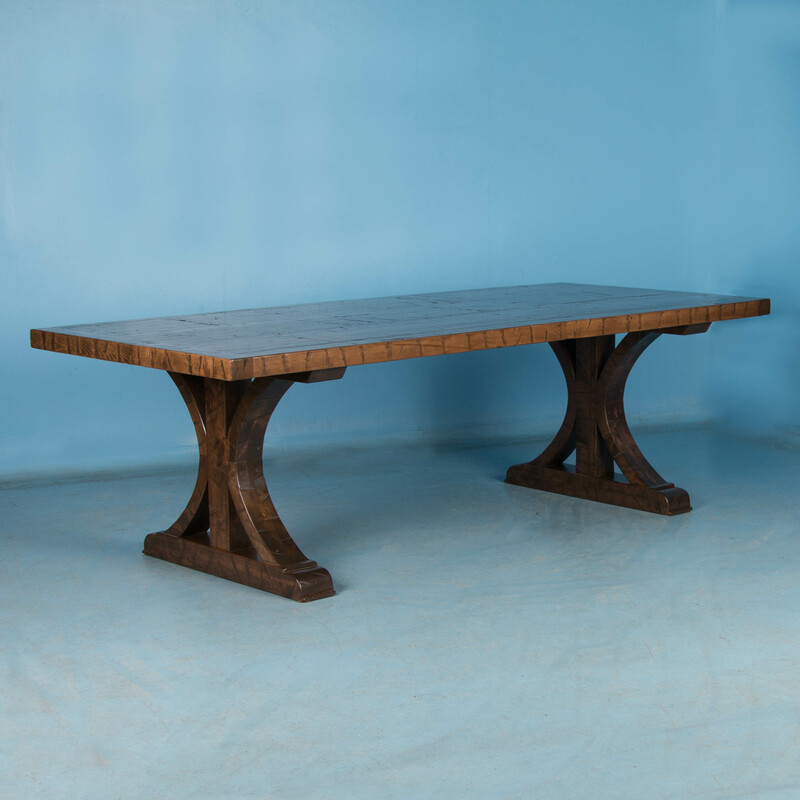 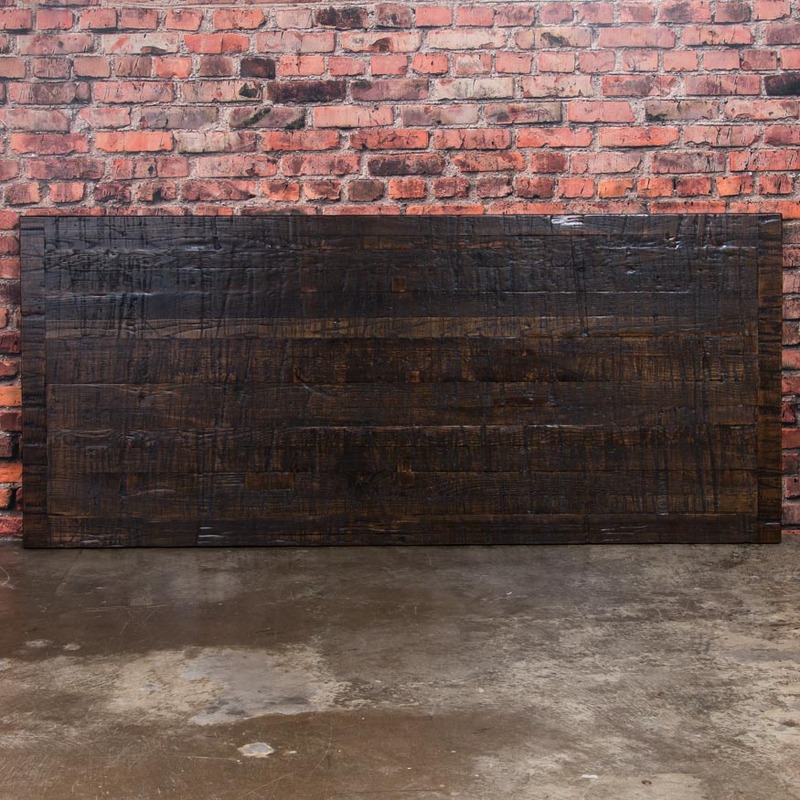 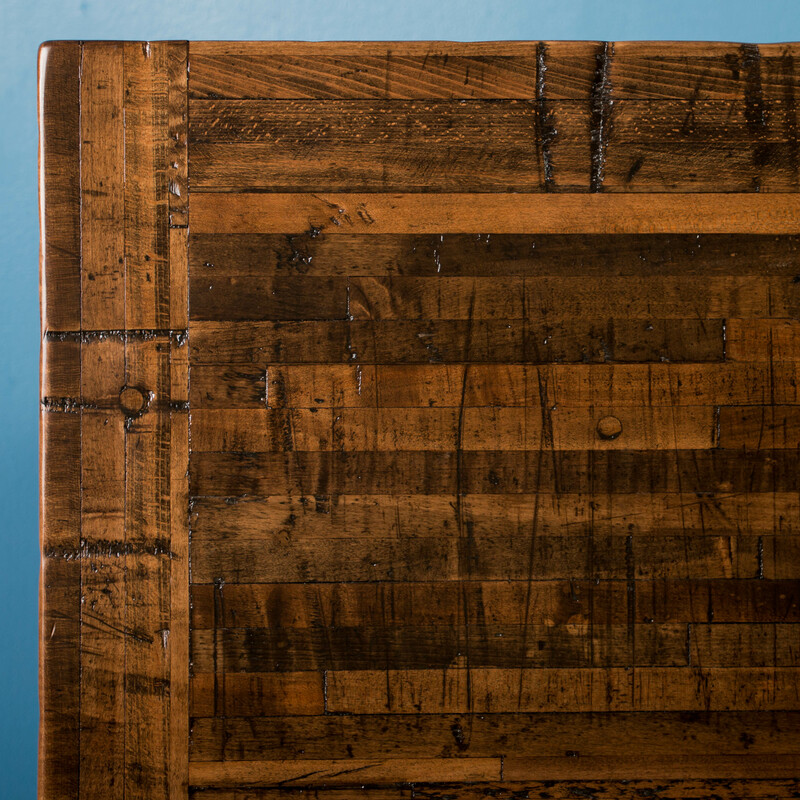 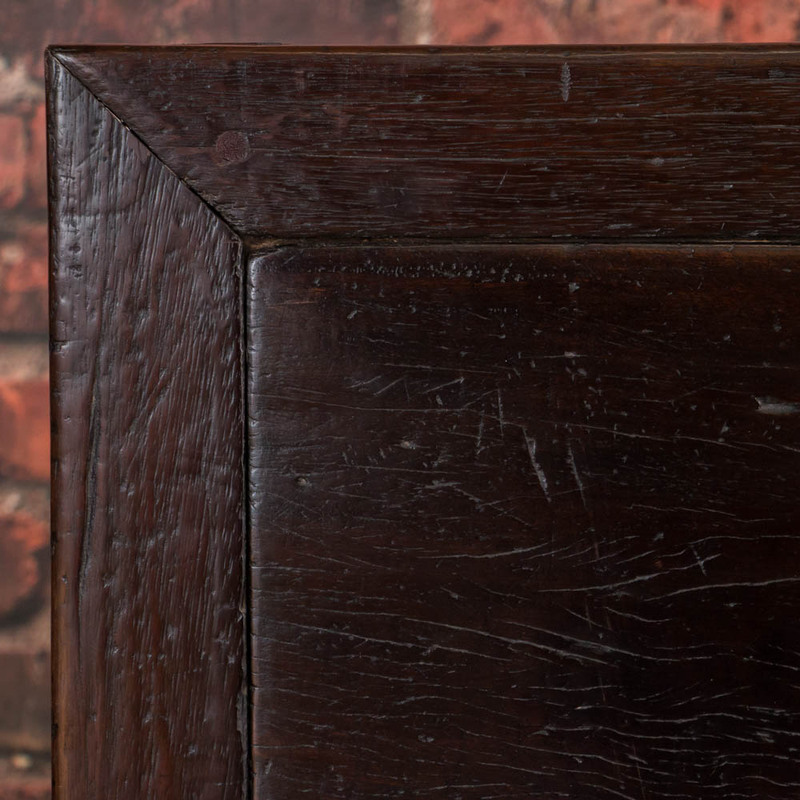 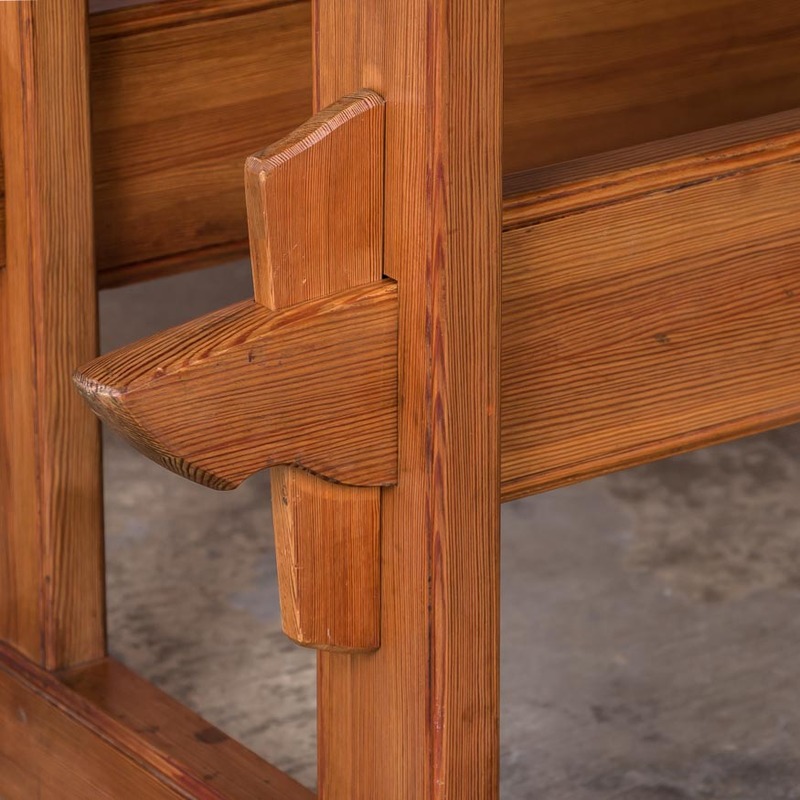 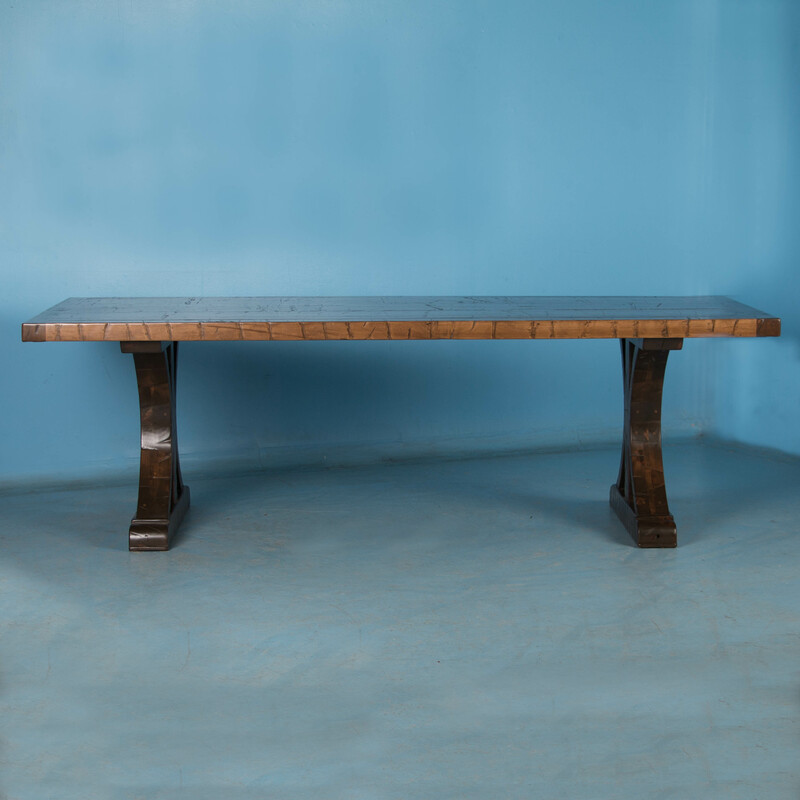 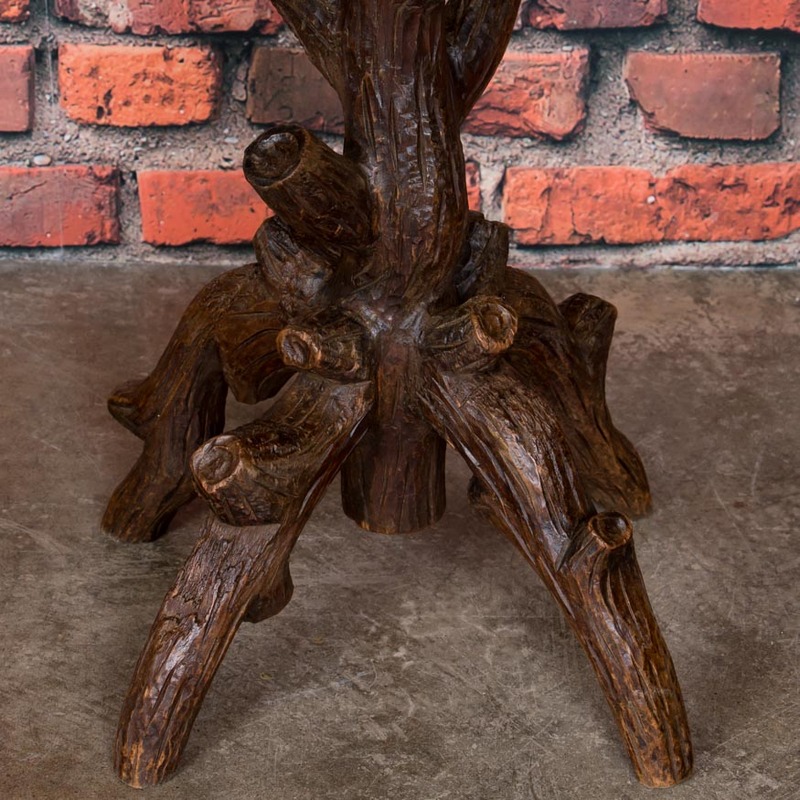 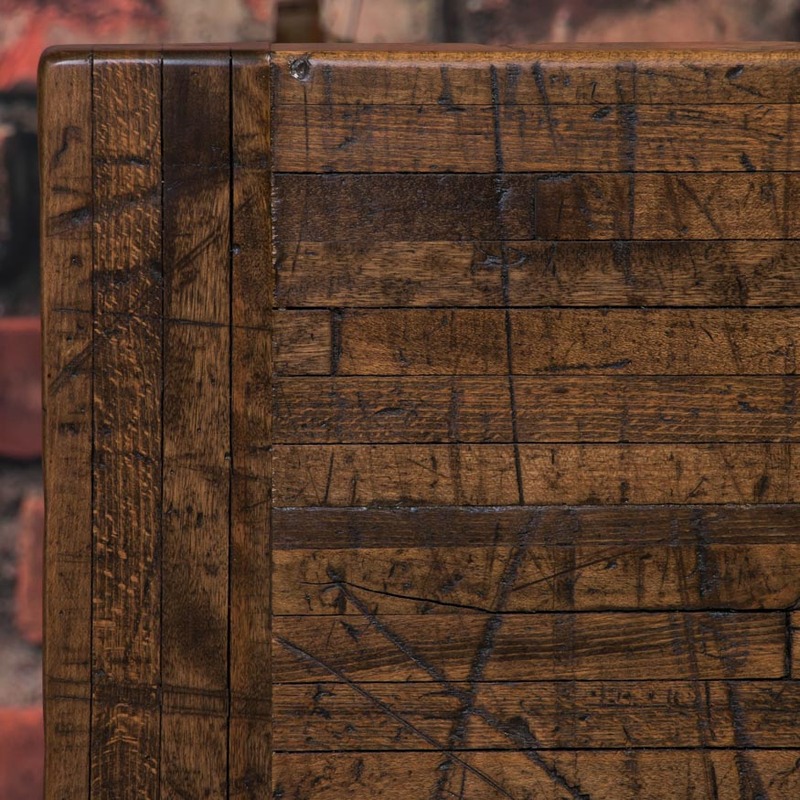 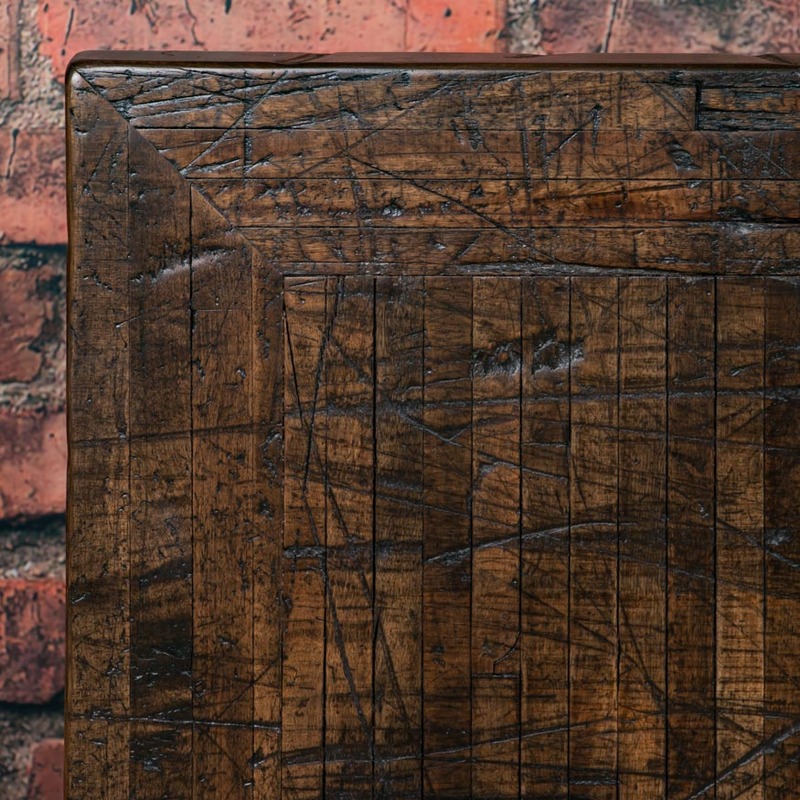 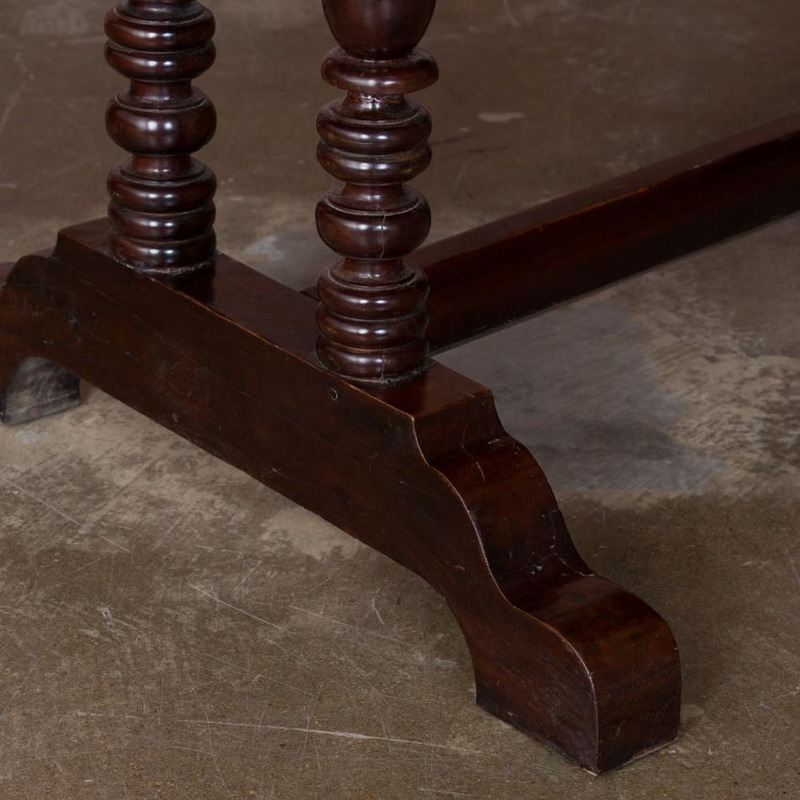 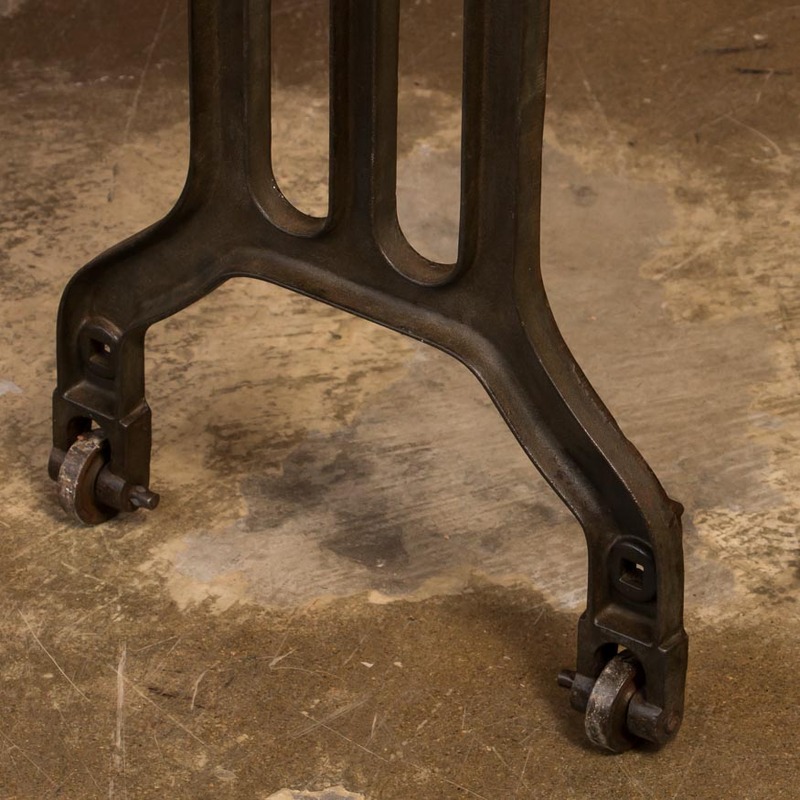 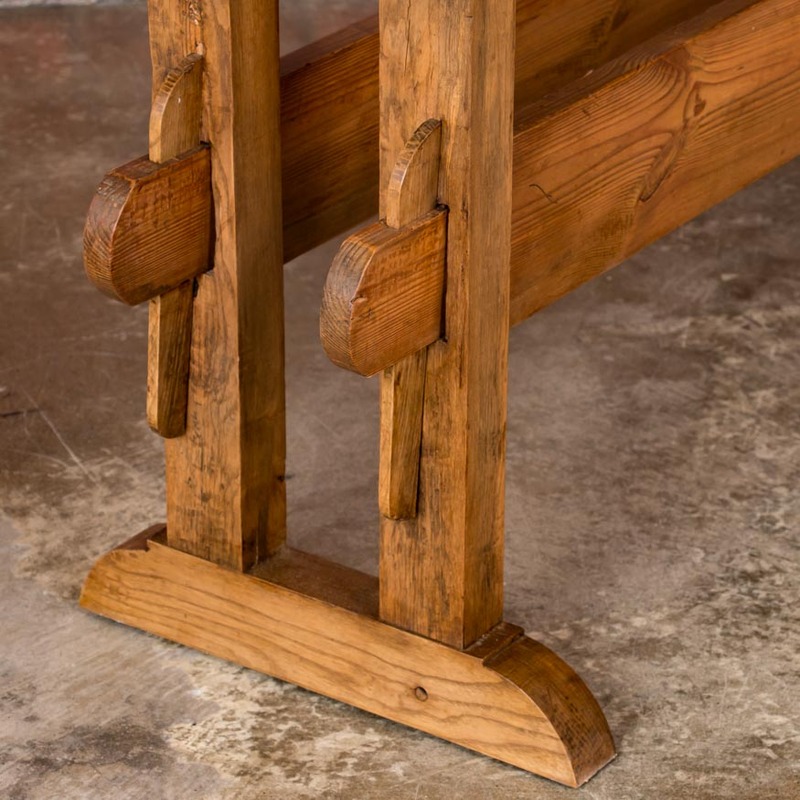 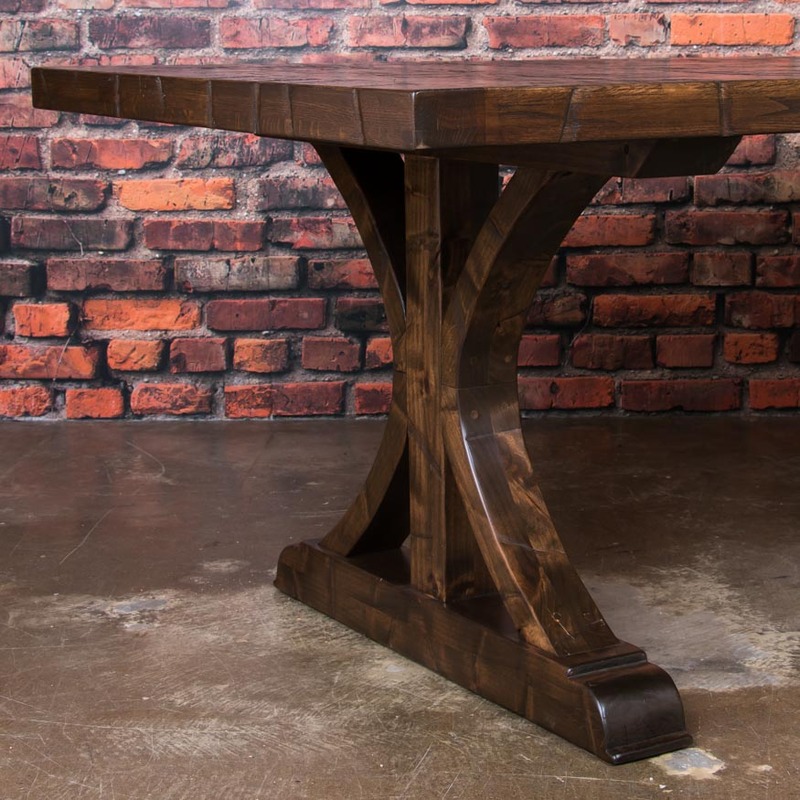 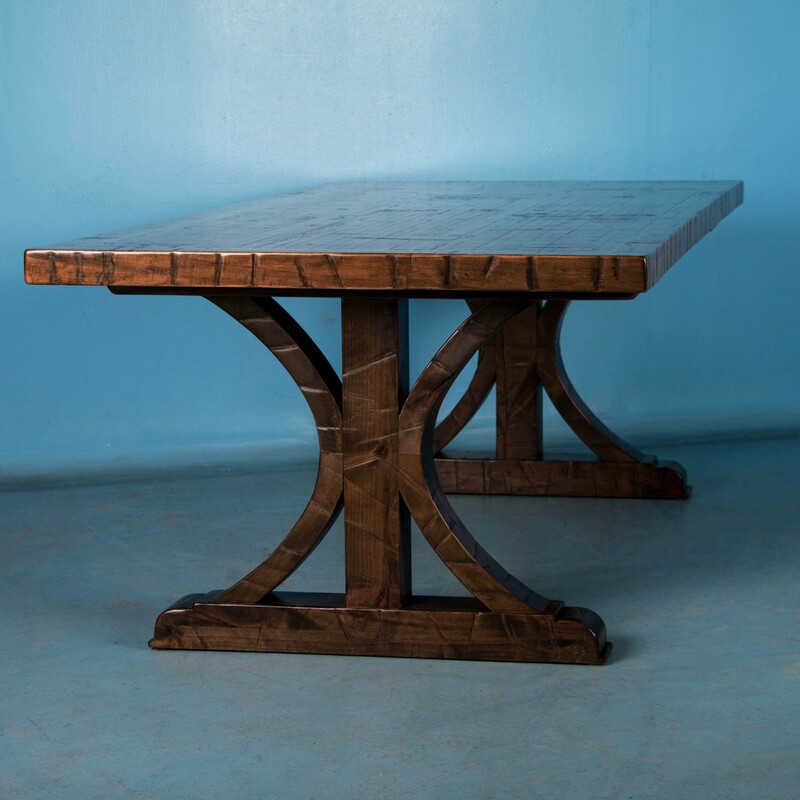 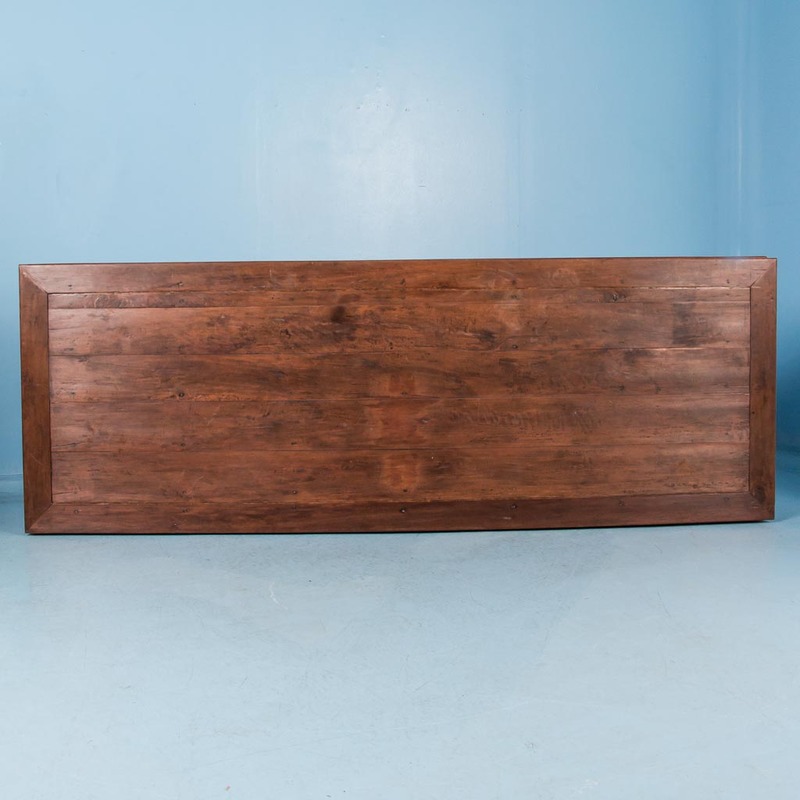 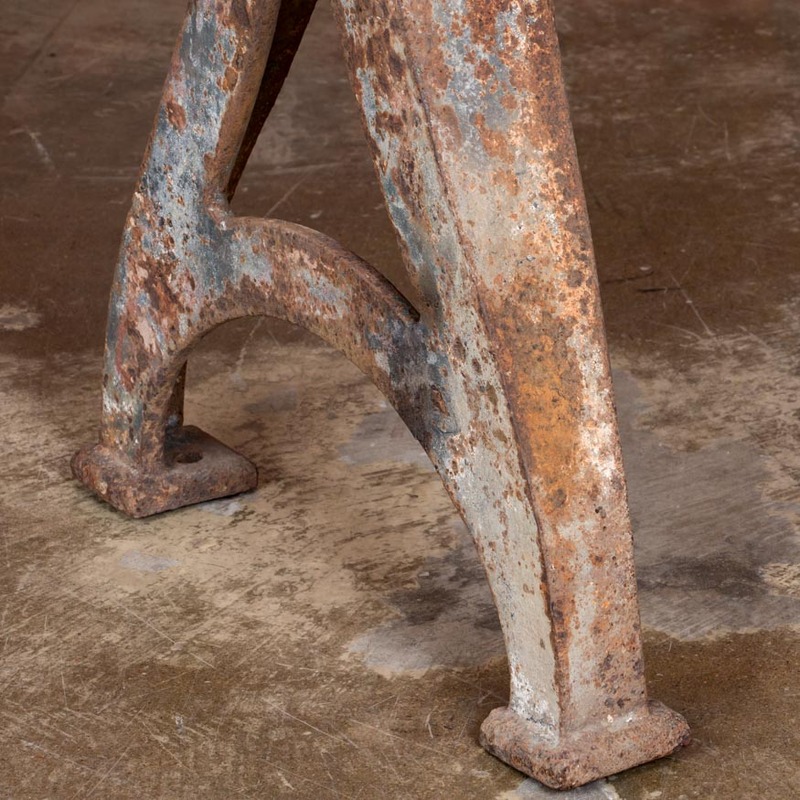 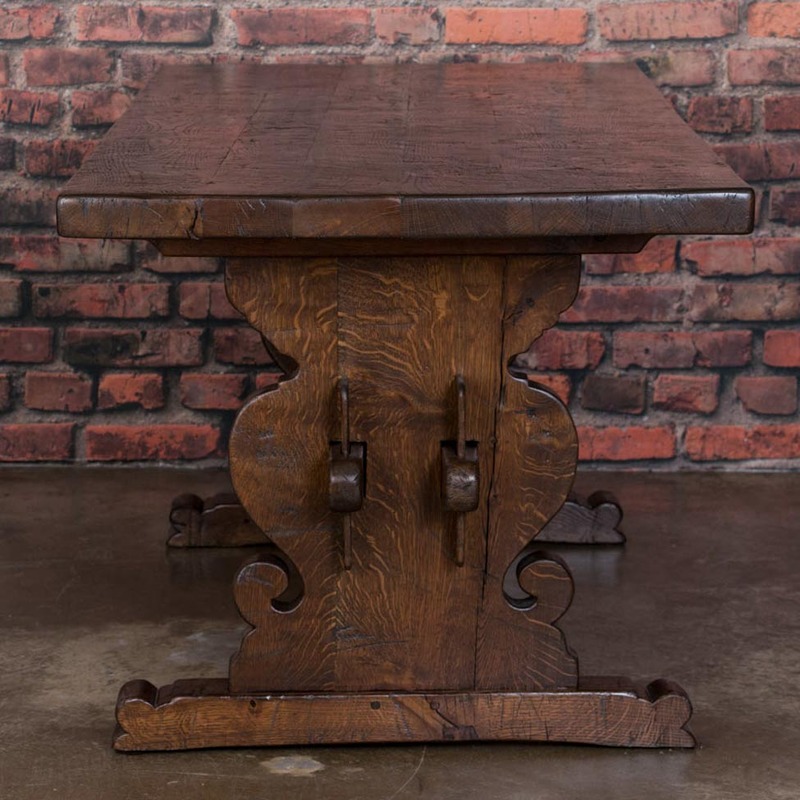 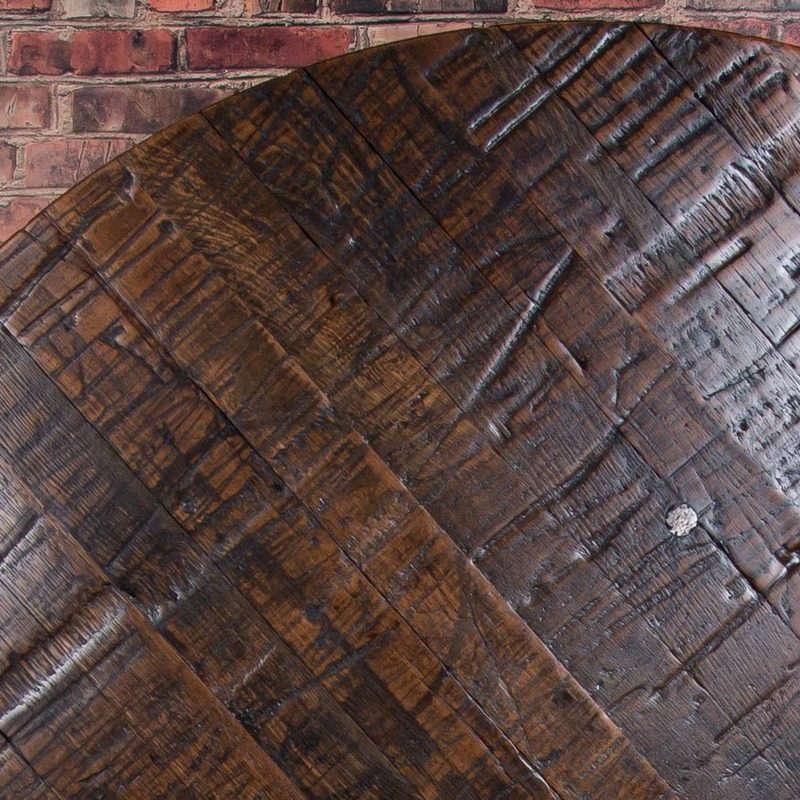 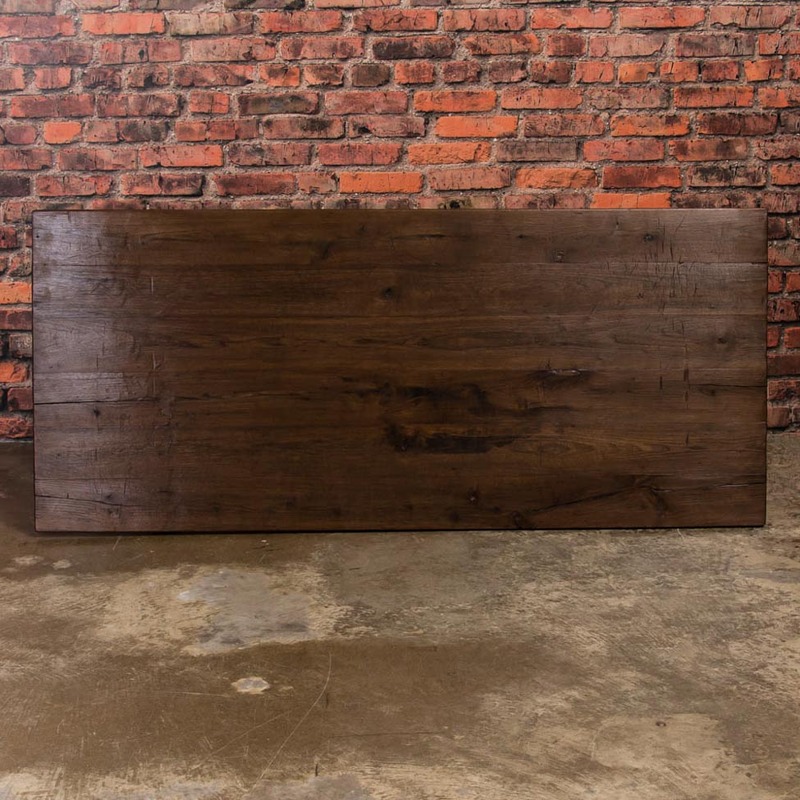 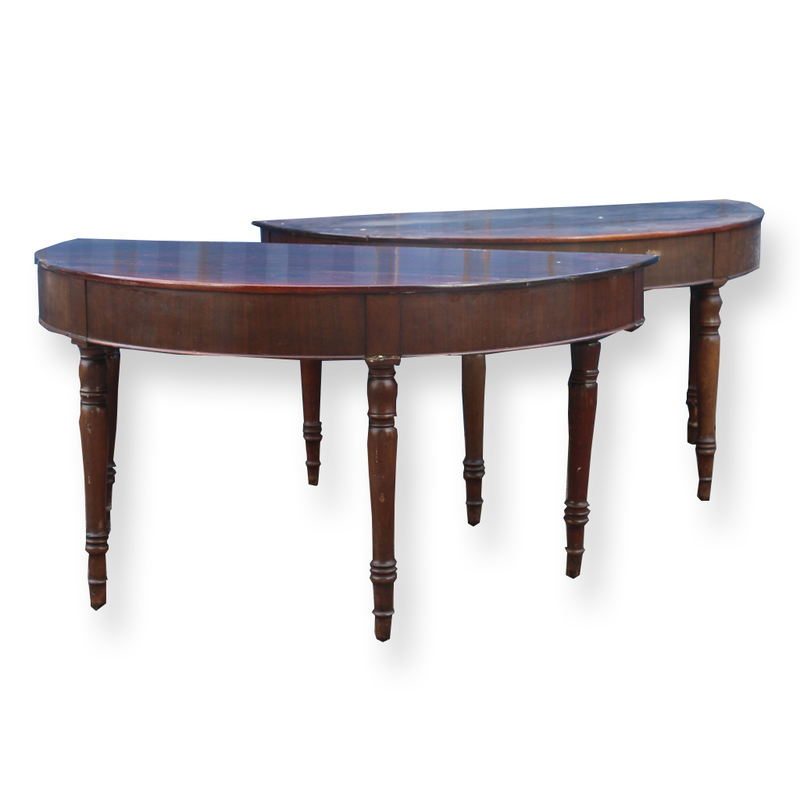 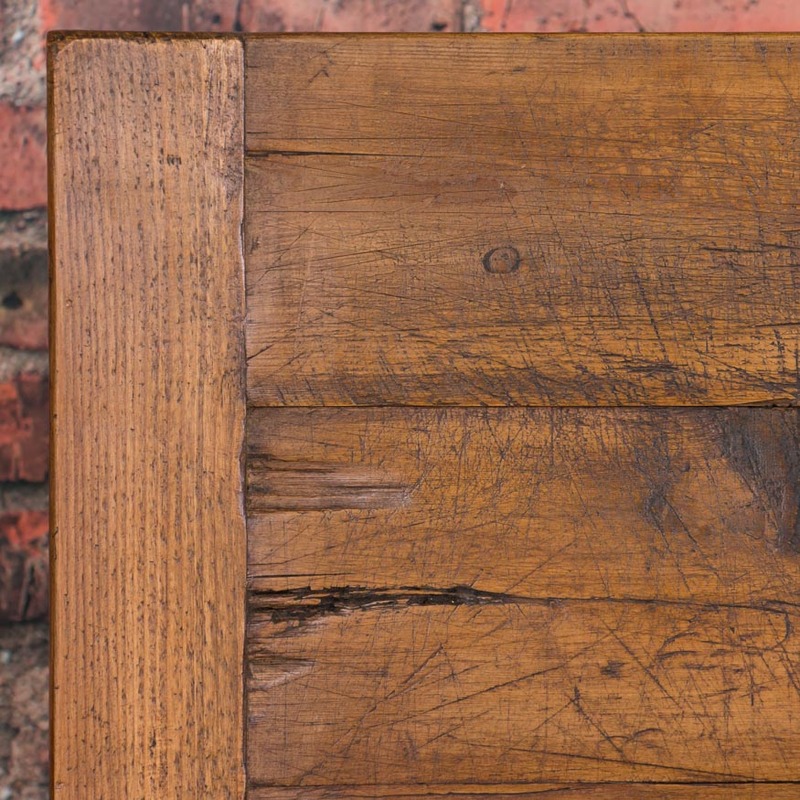 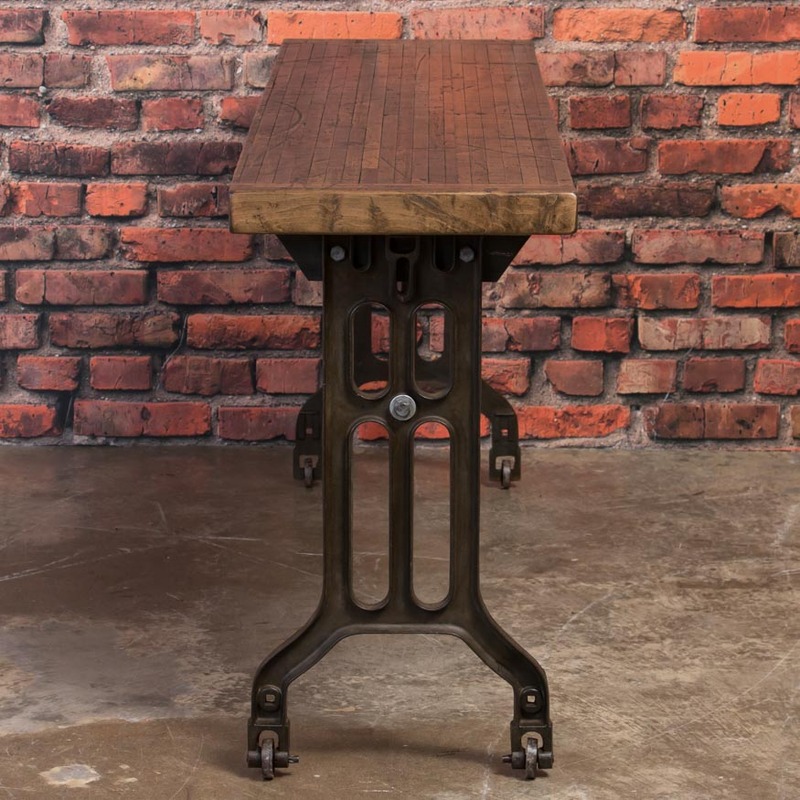 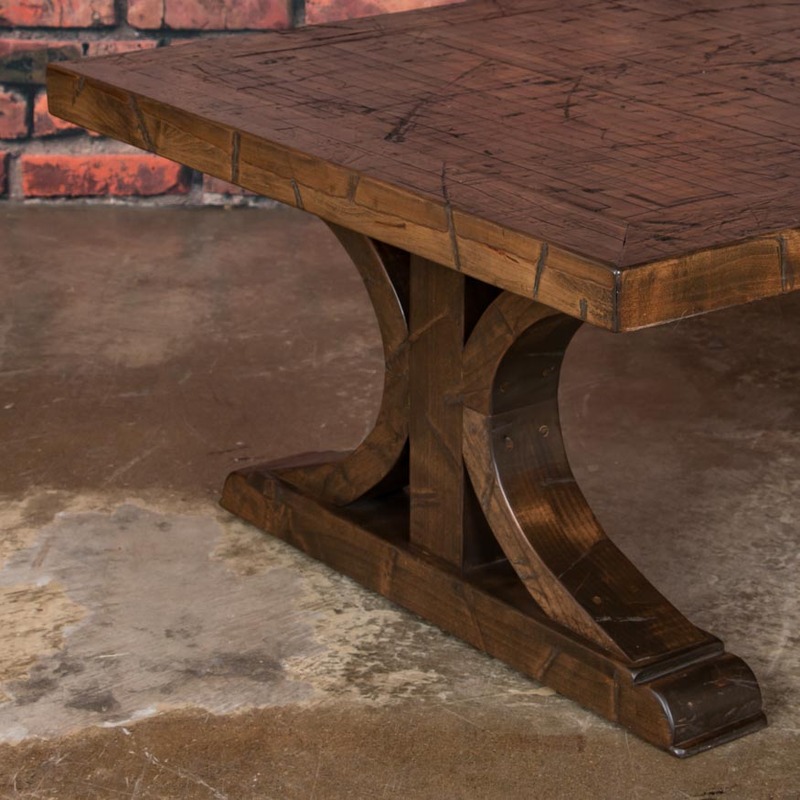 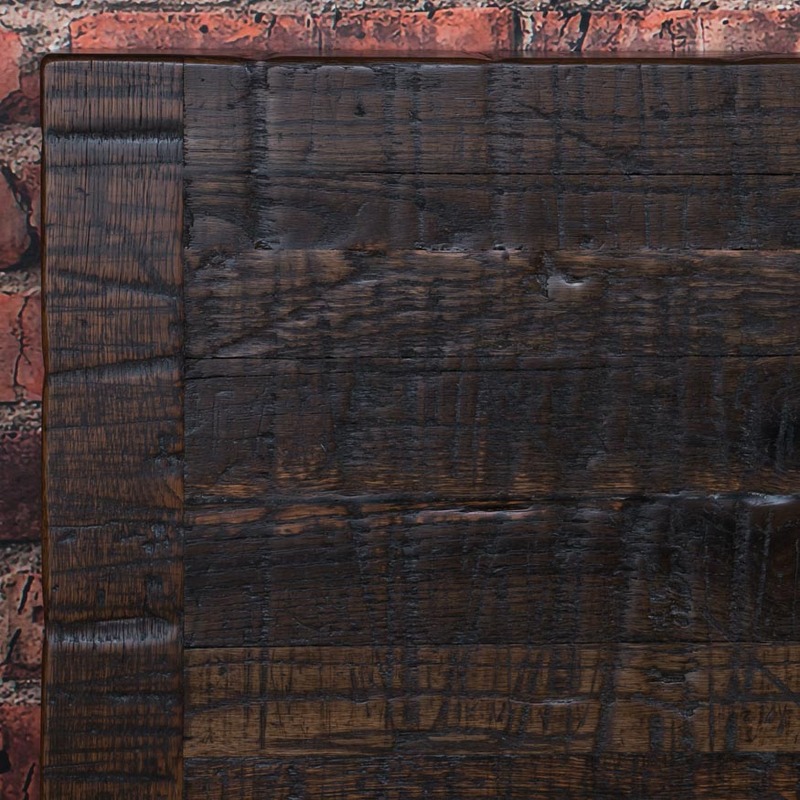 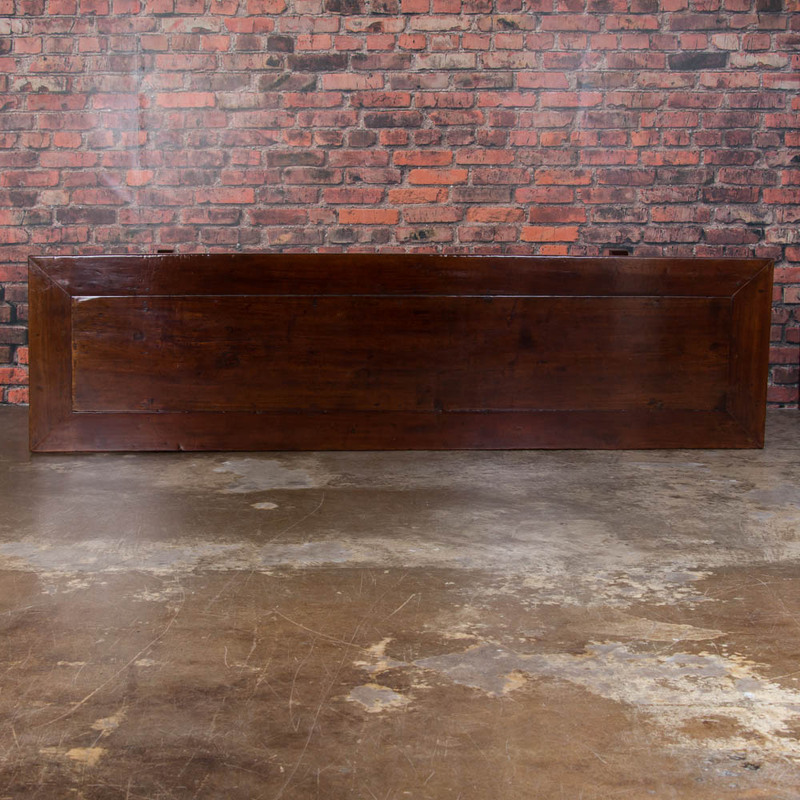 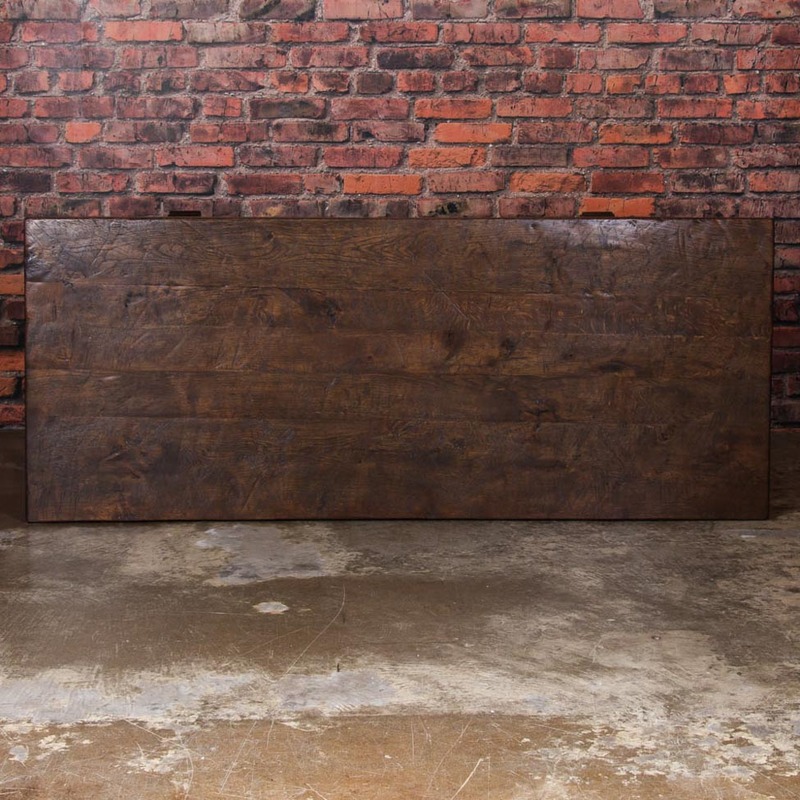 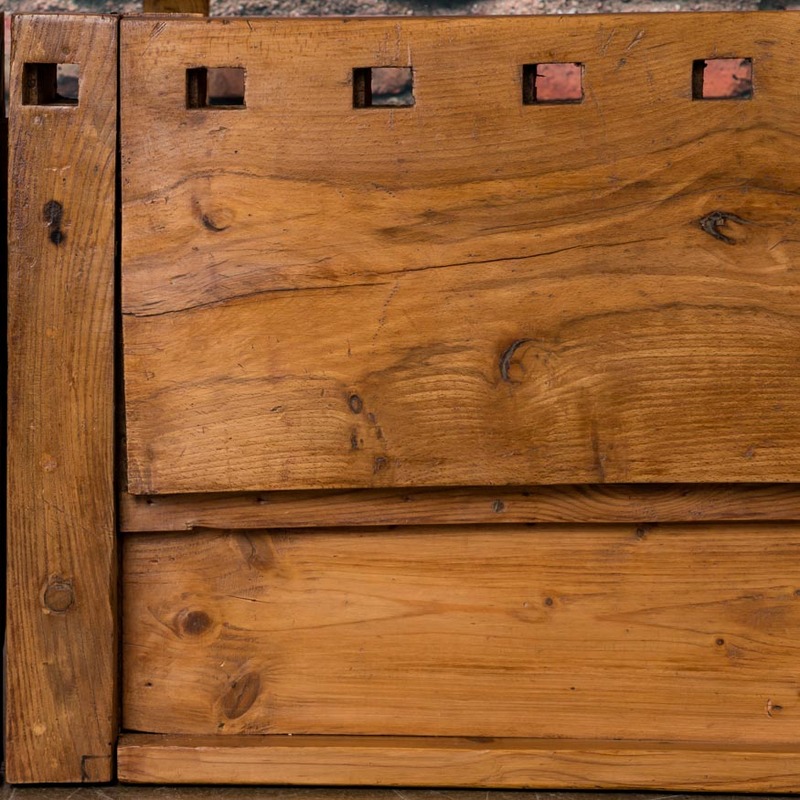 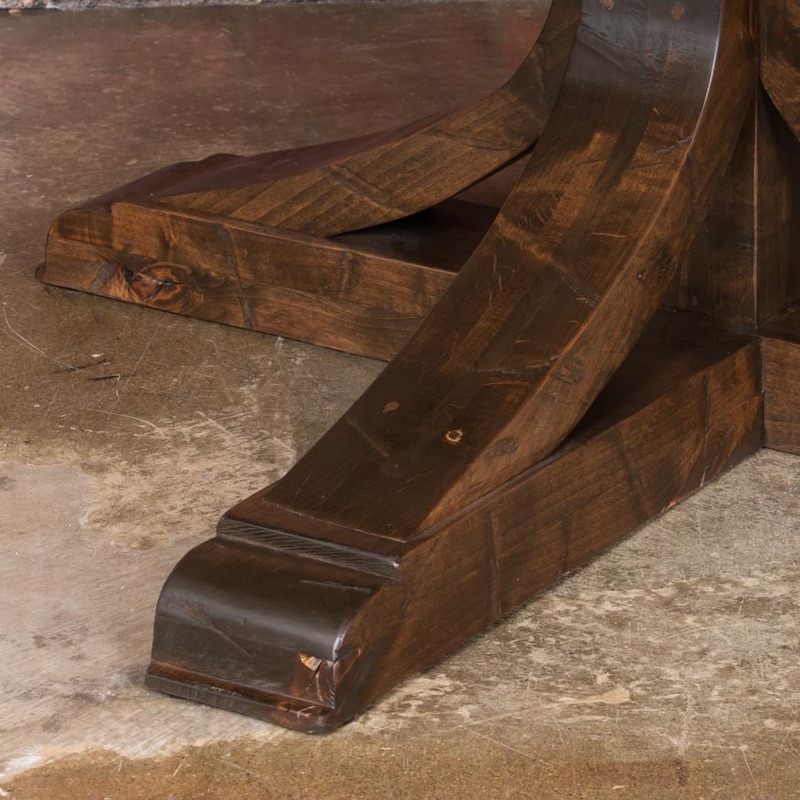 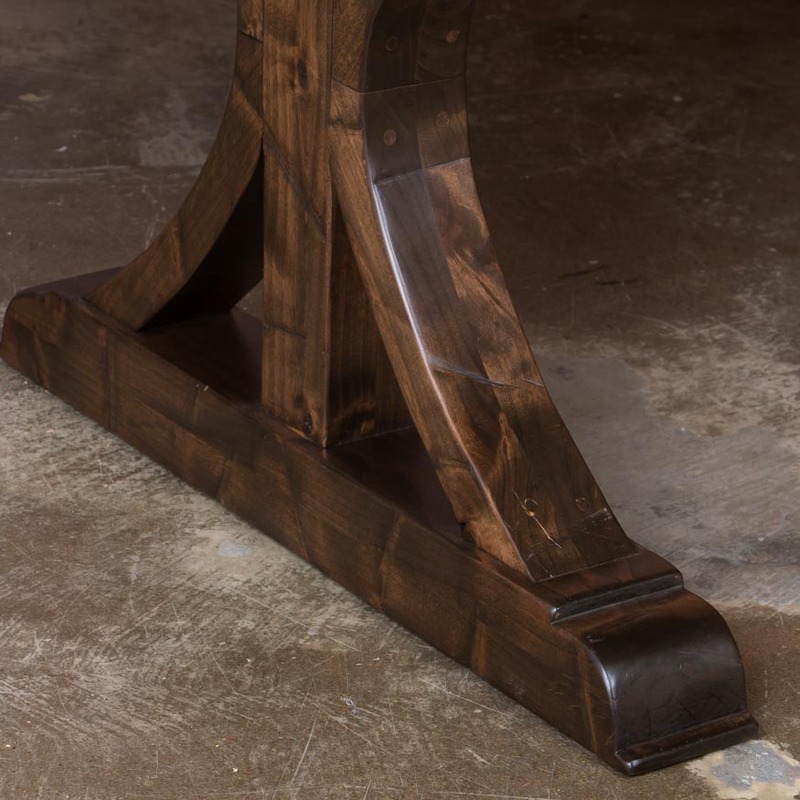 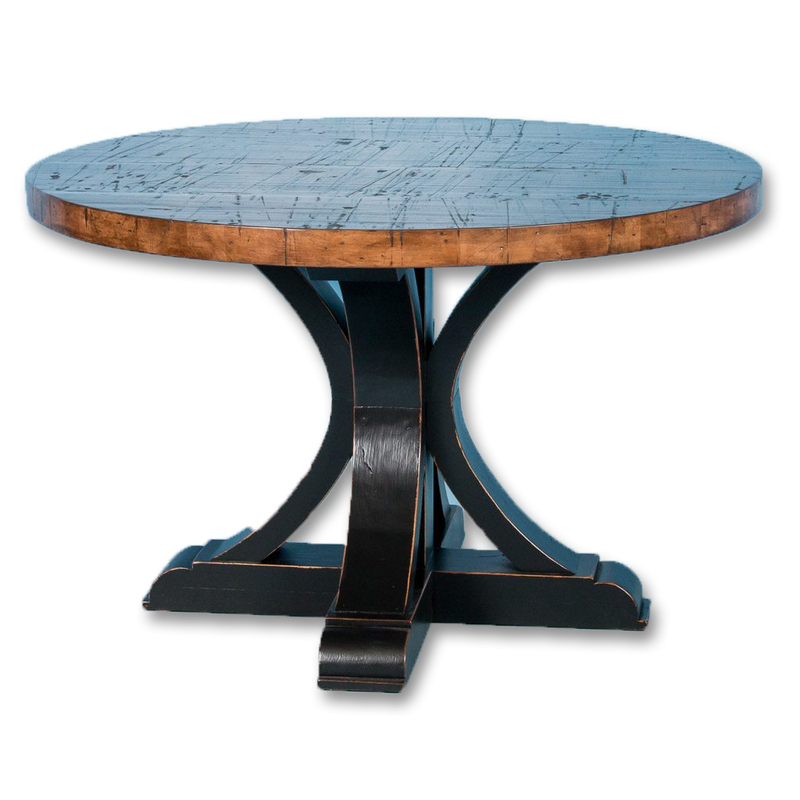 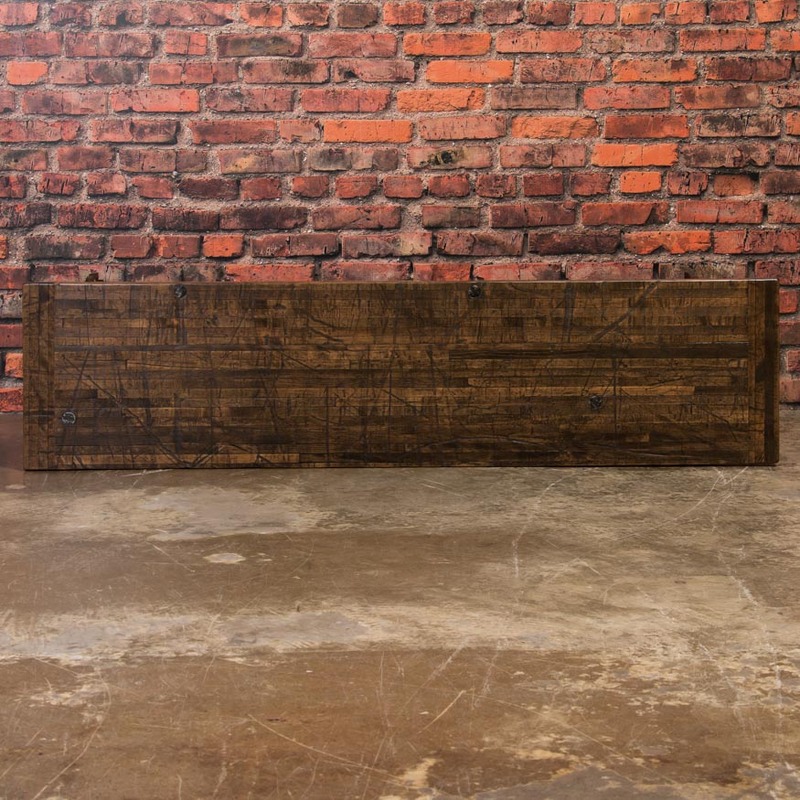 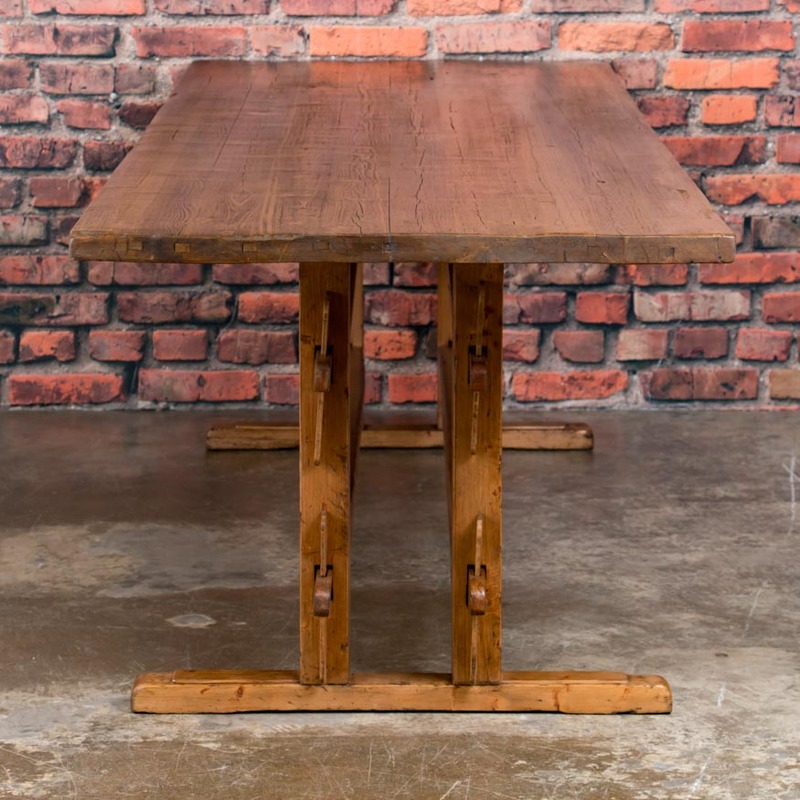 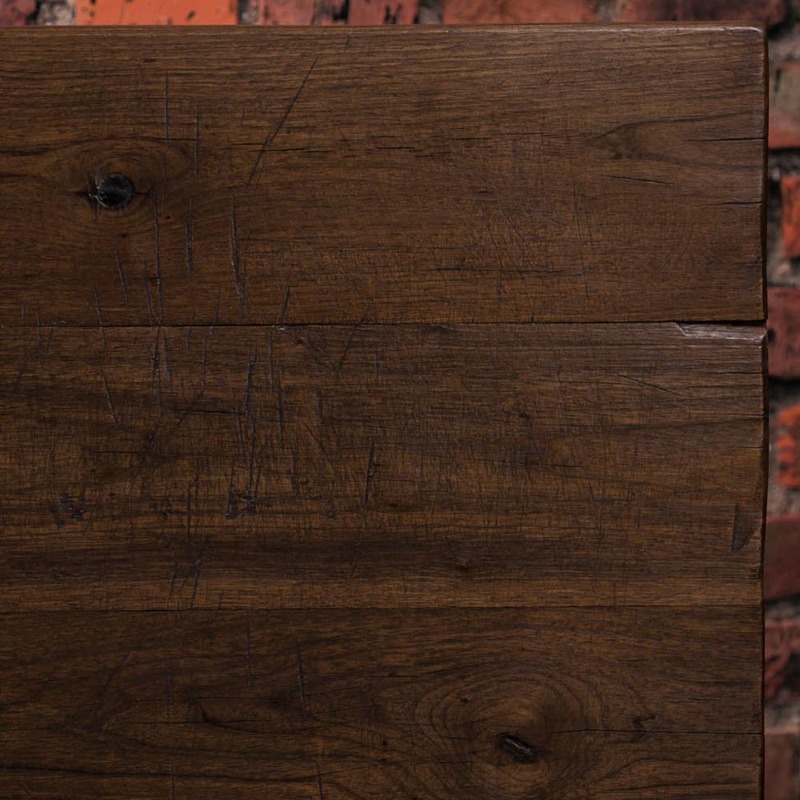 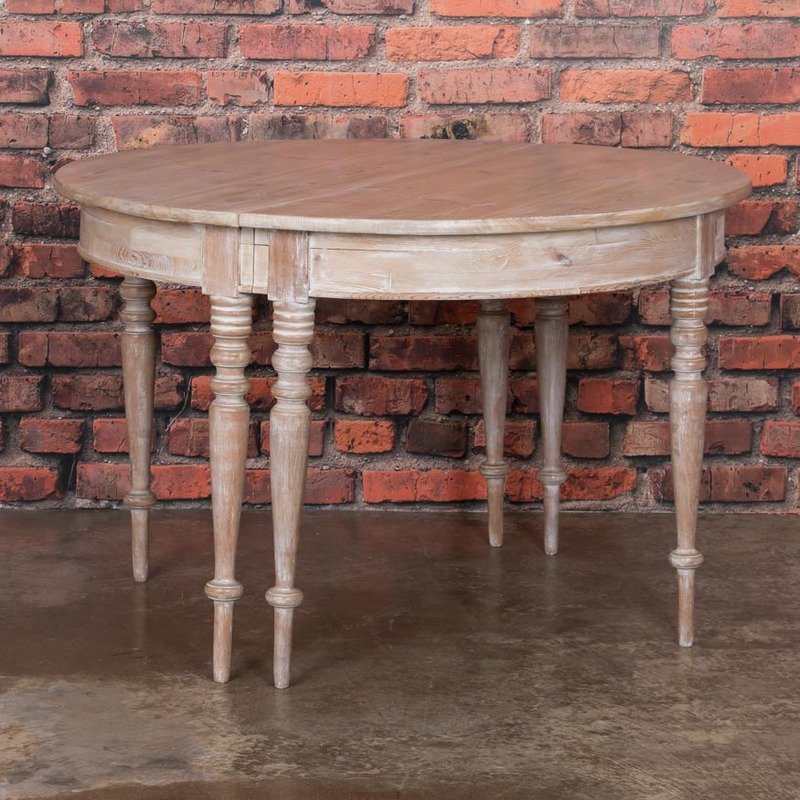 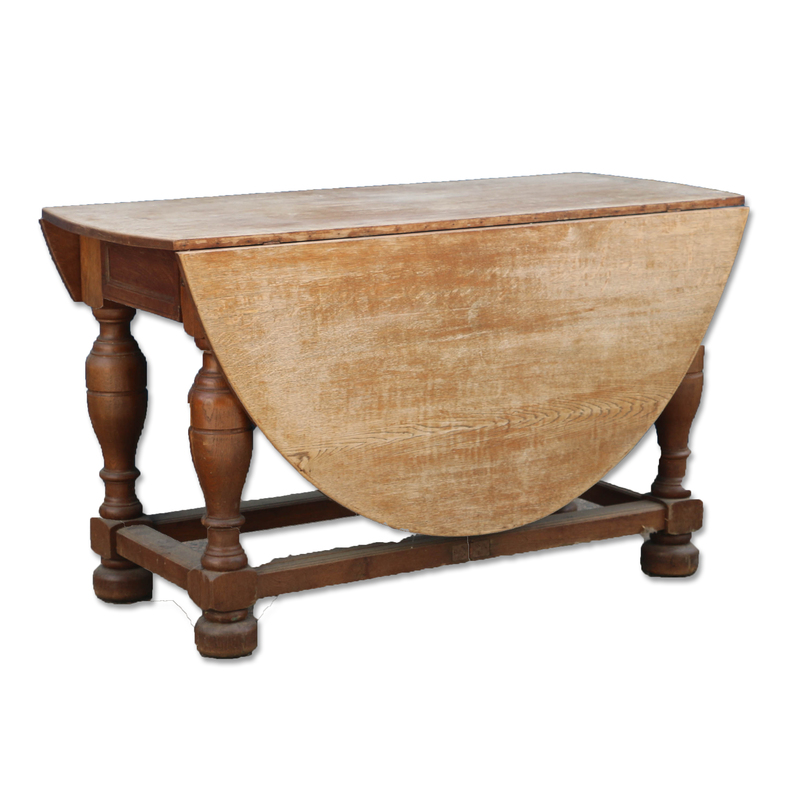 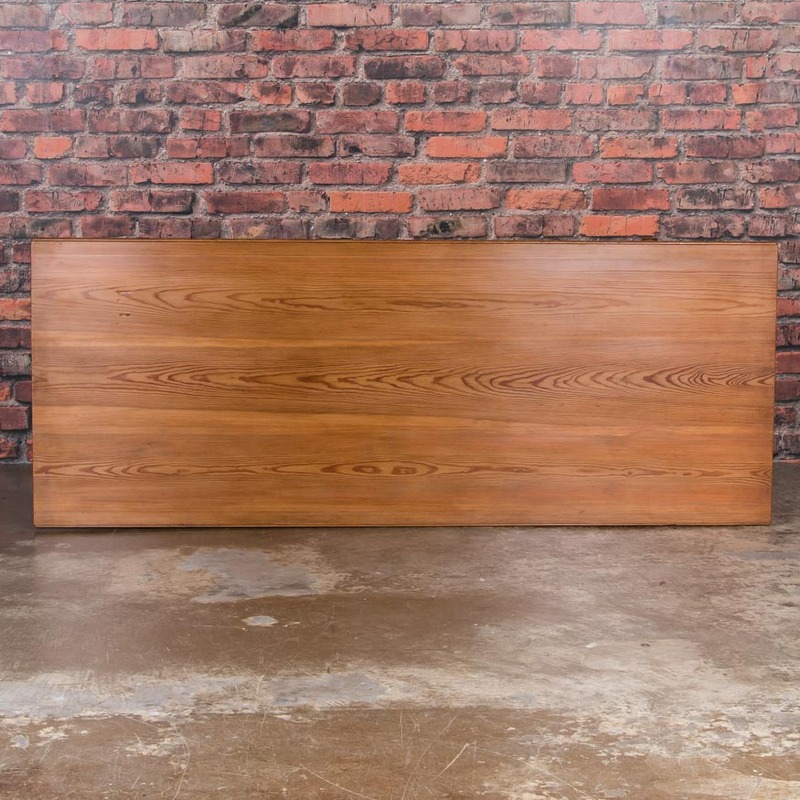 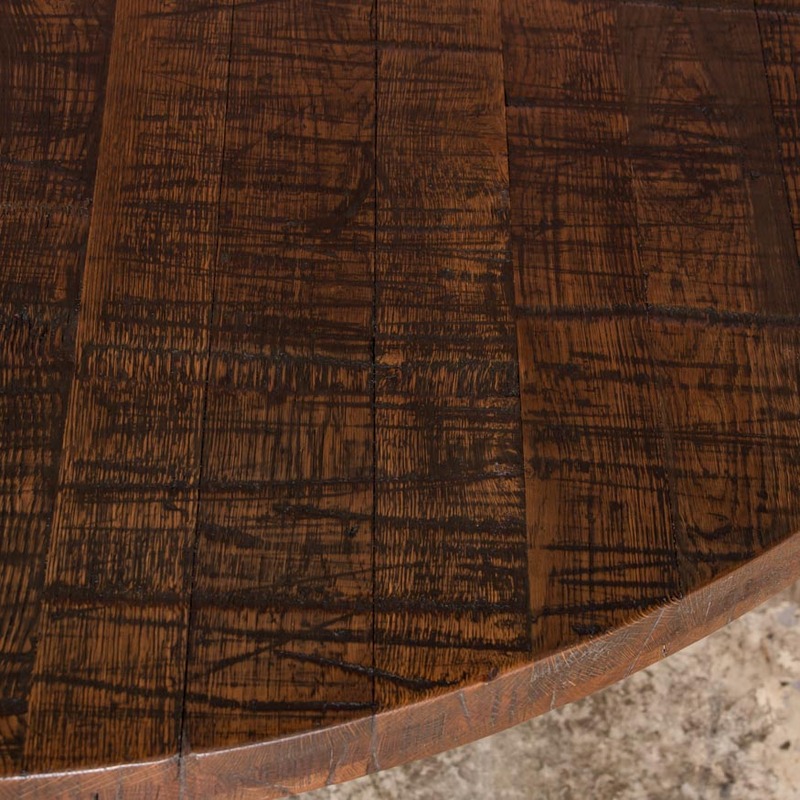 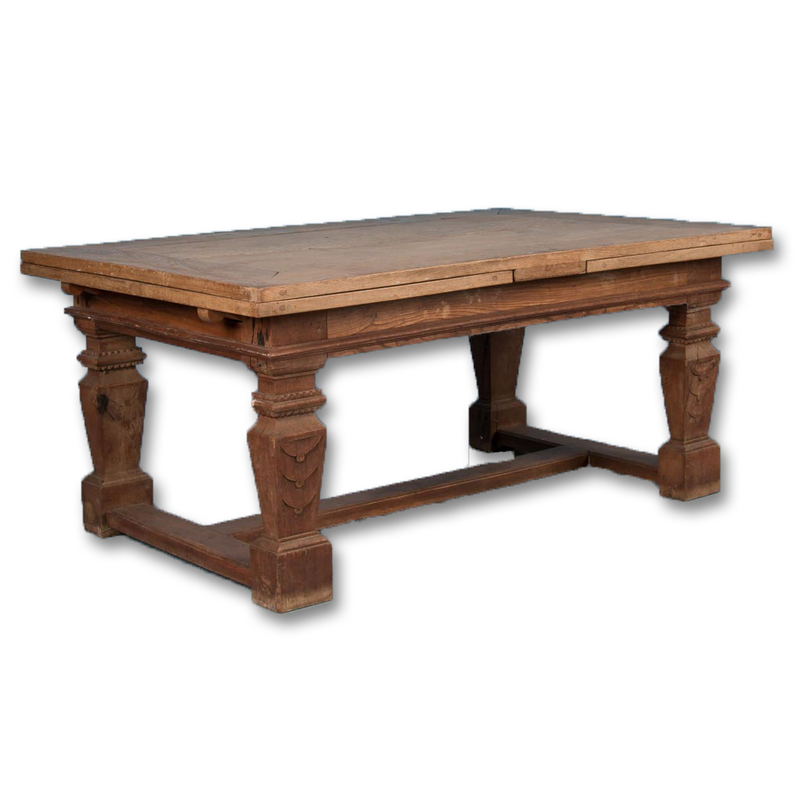 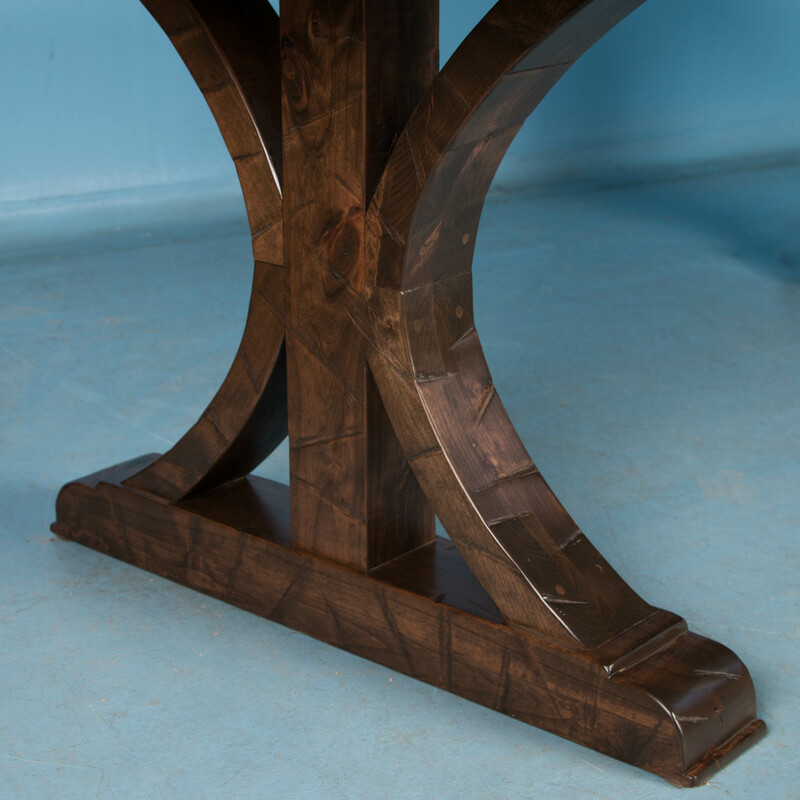 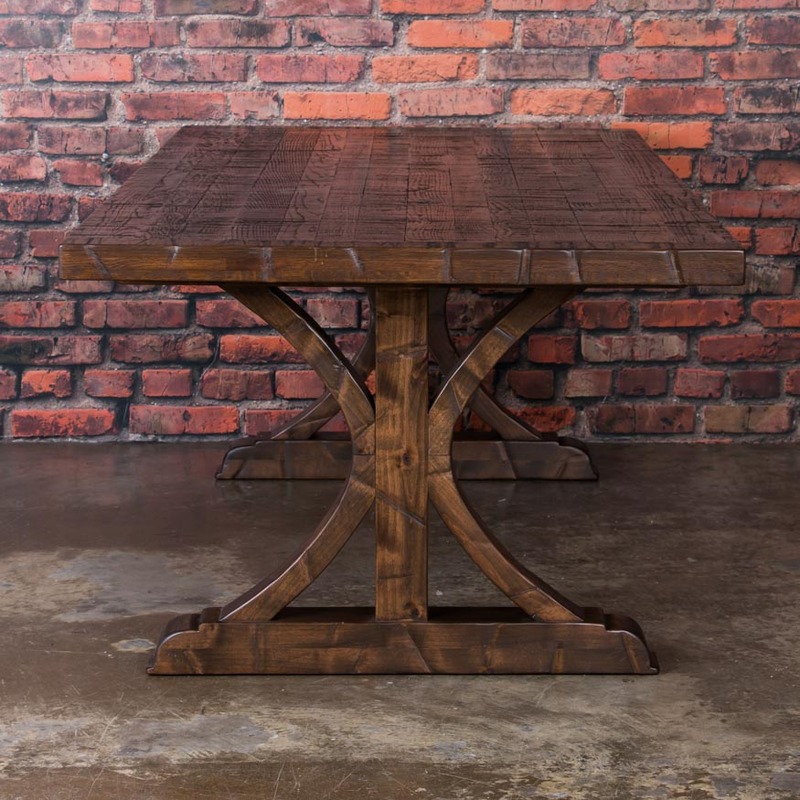 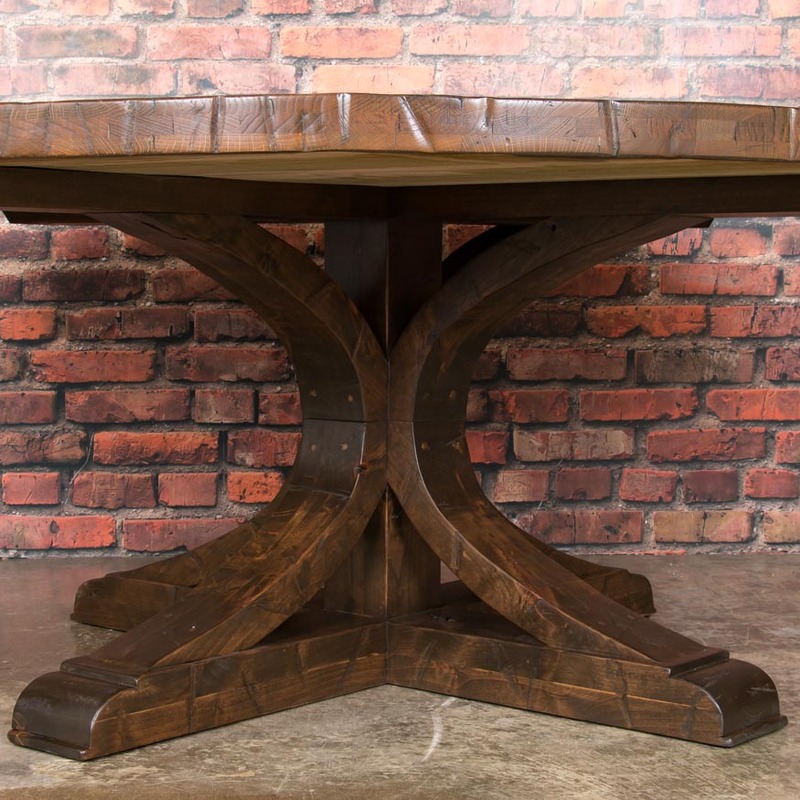 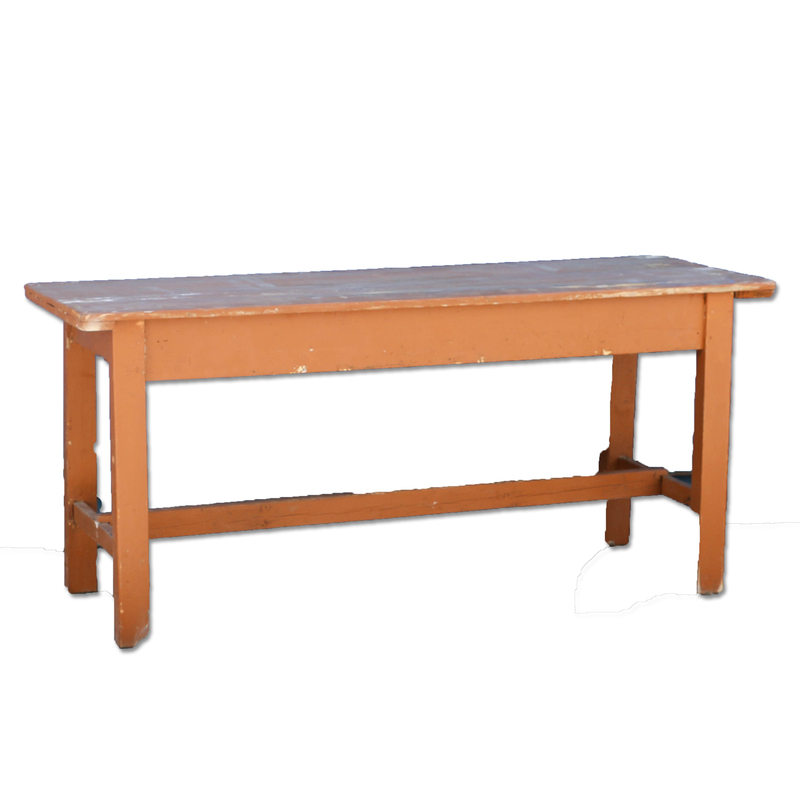 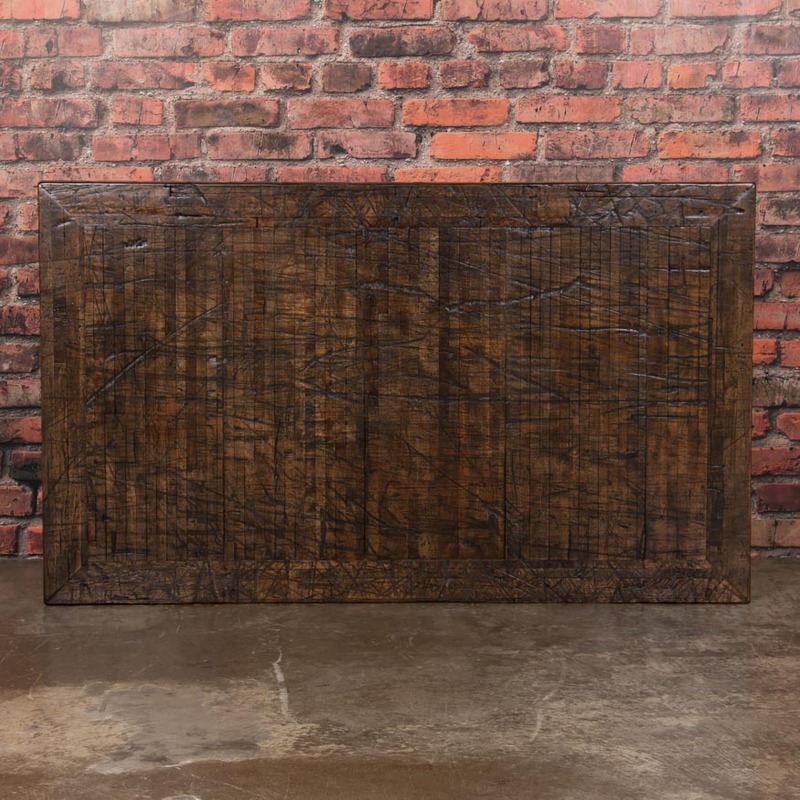 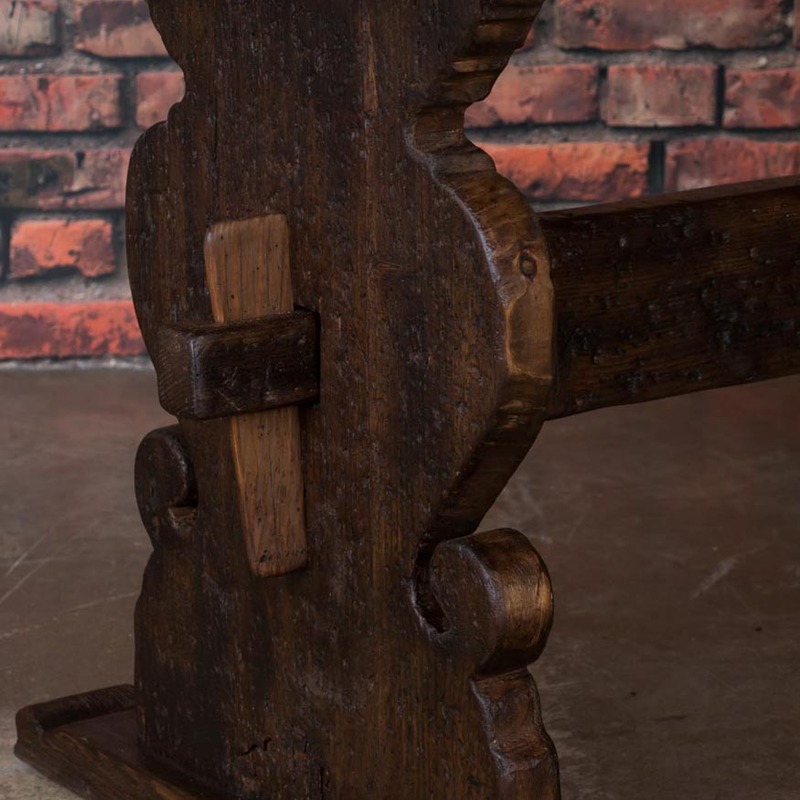 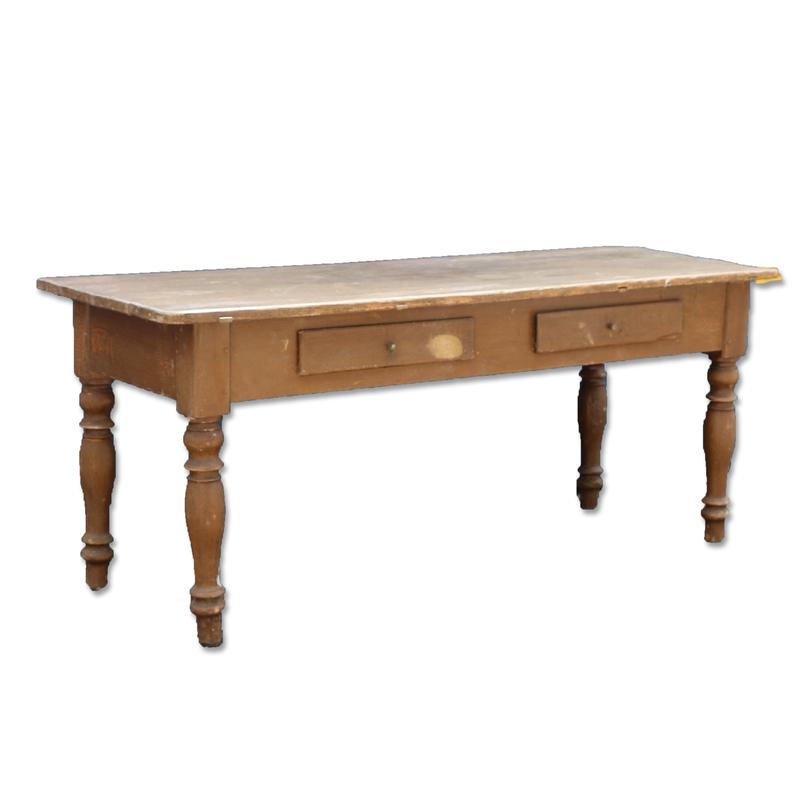 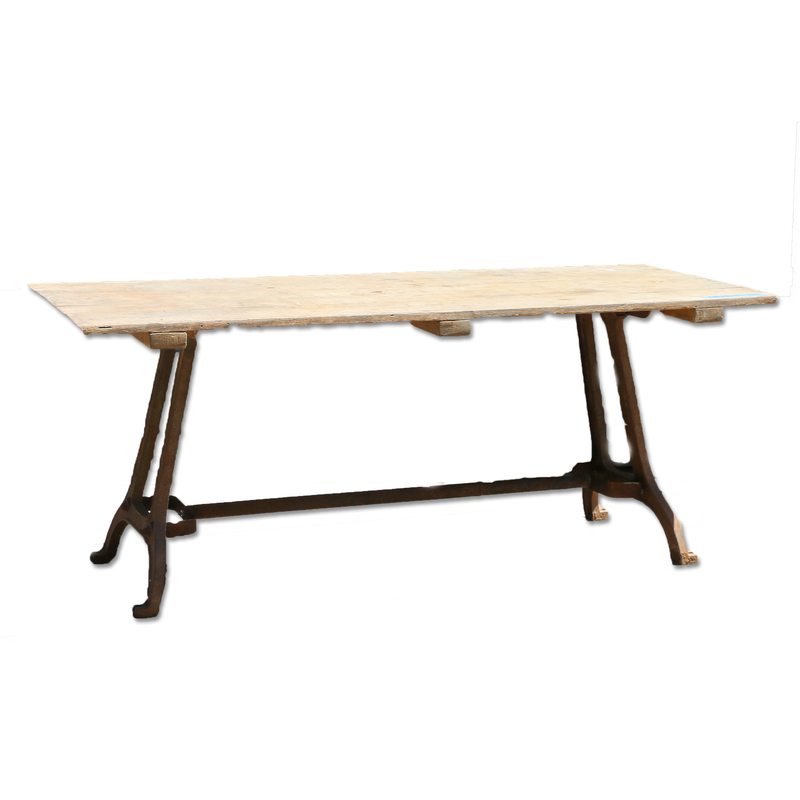 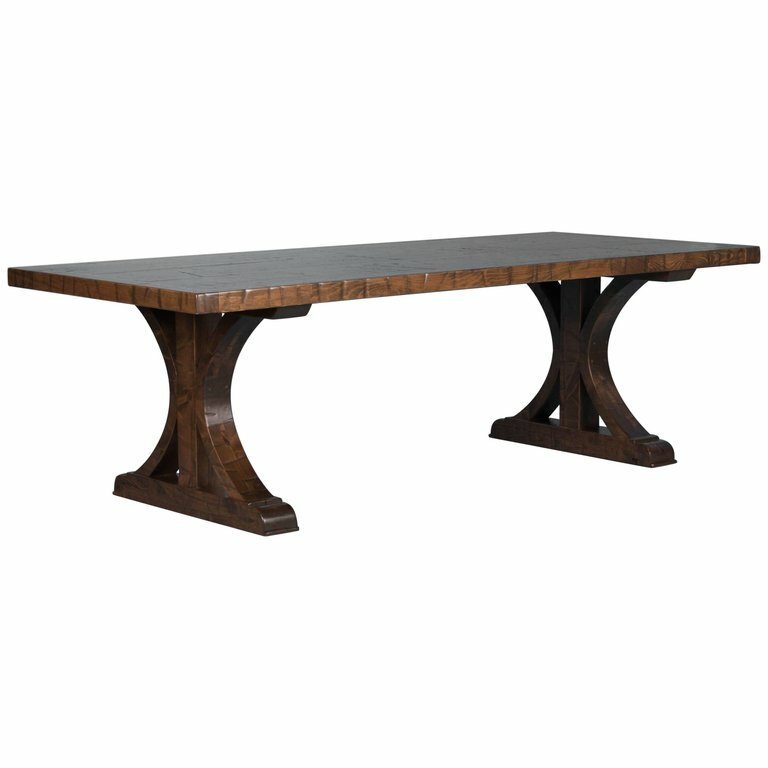 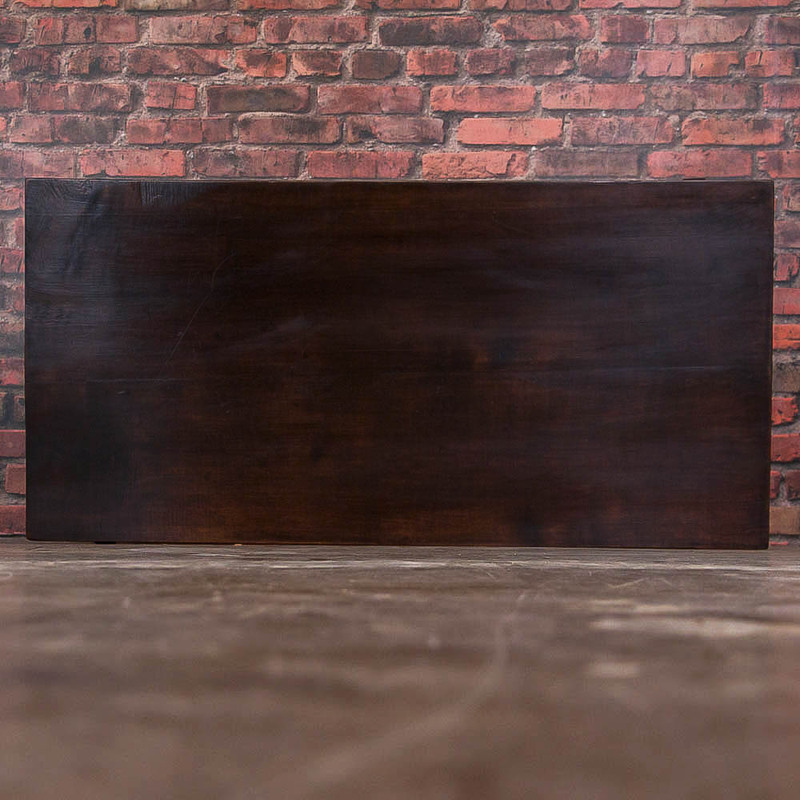 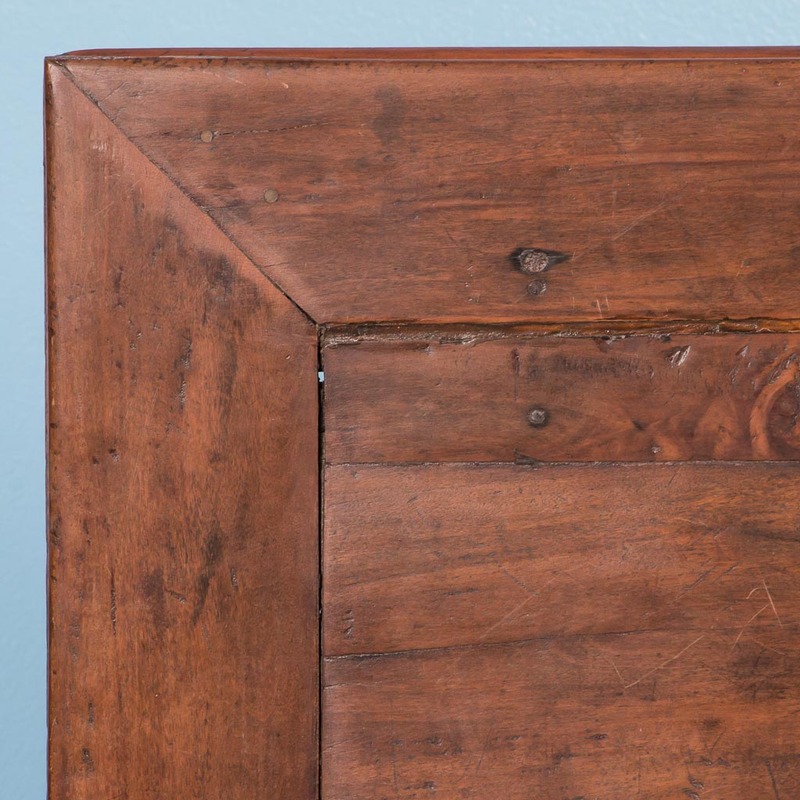 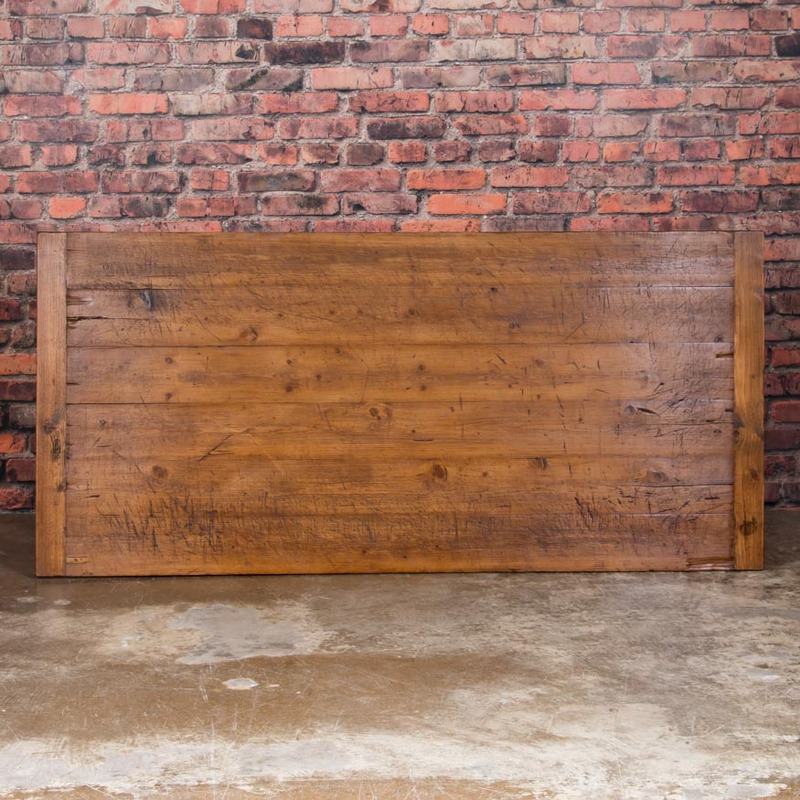 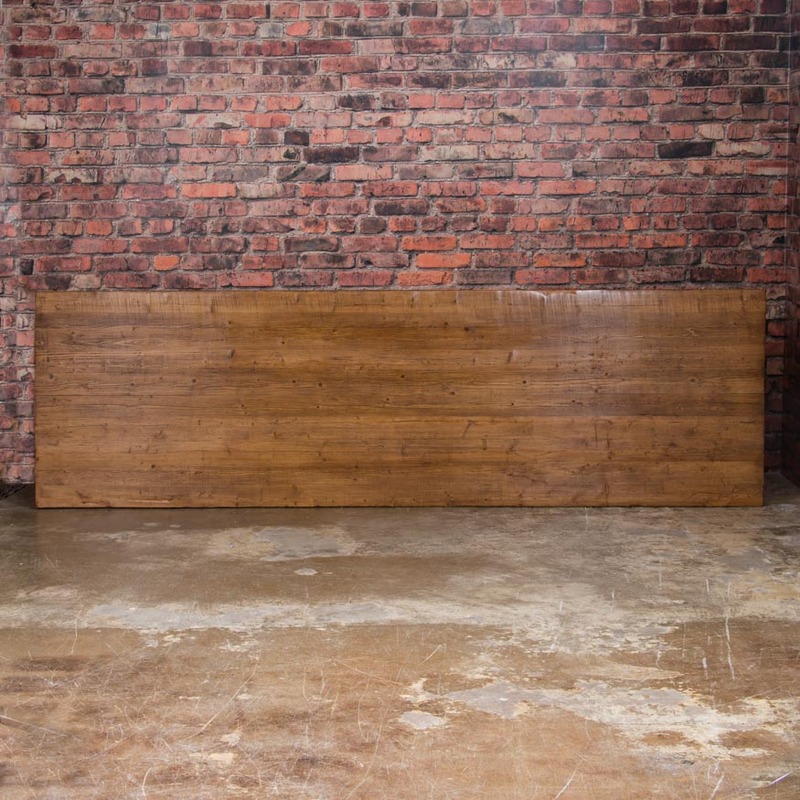 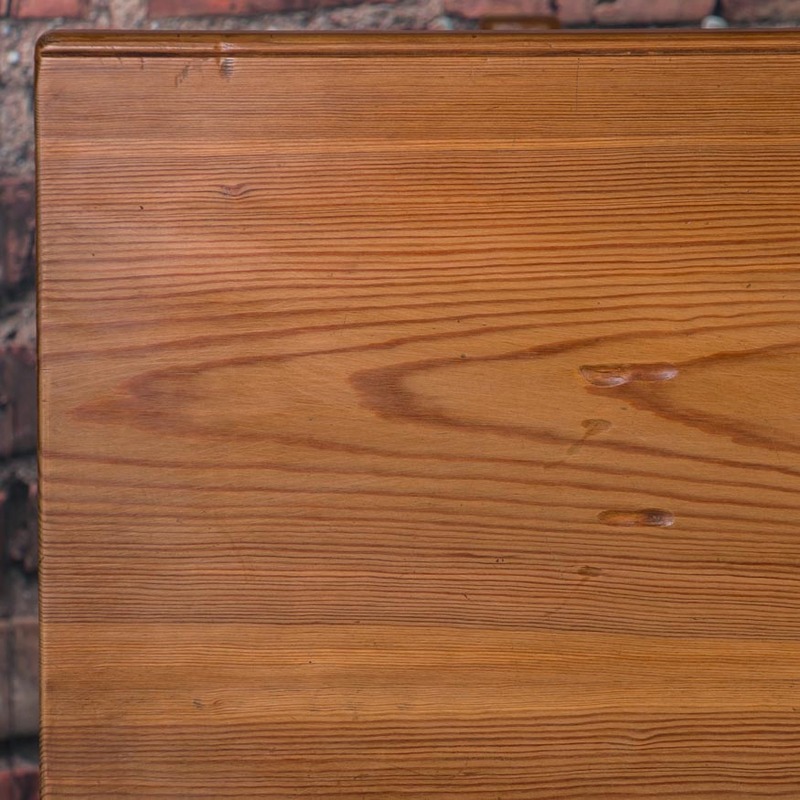 With the leaves up and the gatelegs open, the table measures 76" wide x 33.25" Deep. 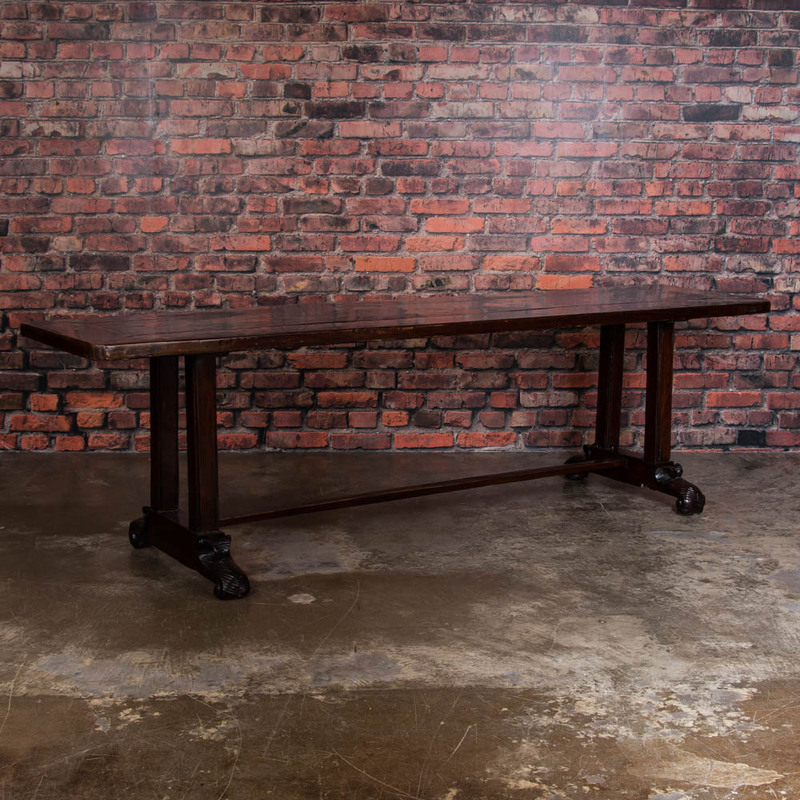 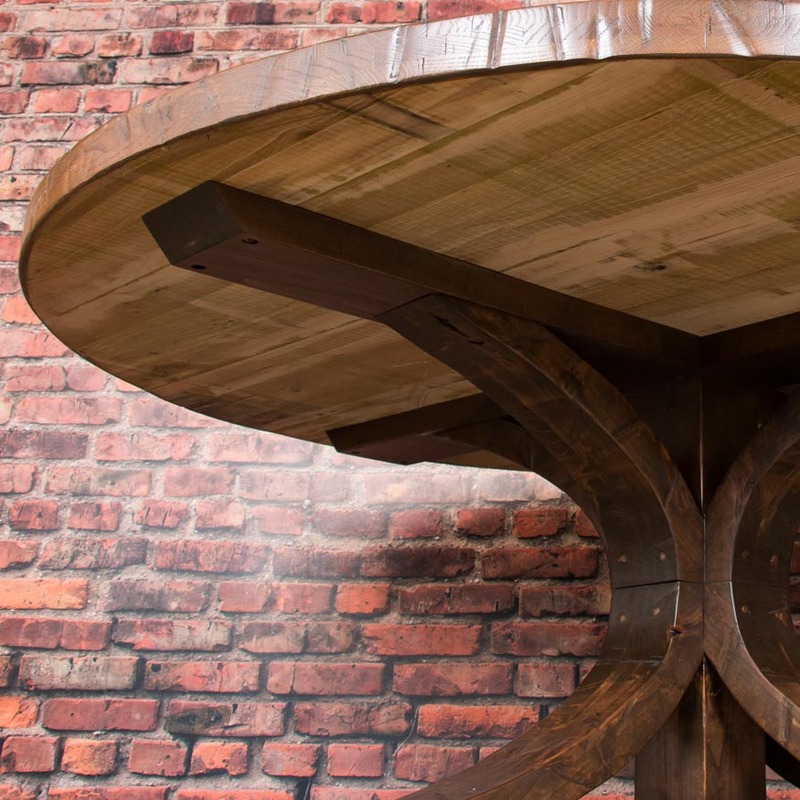 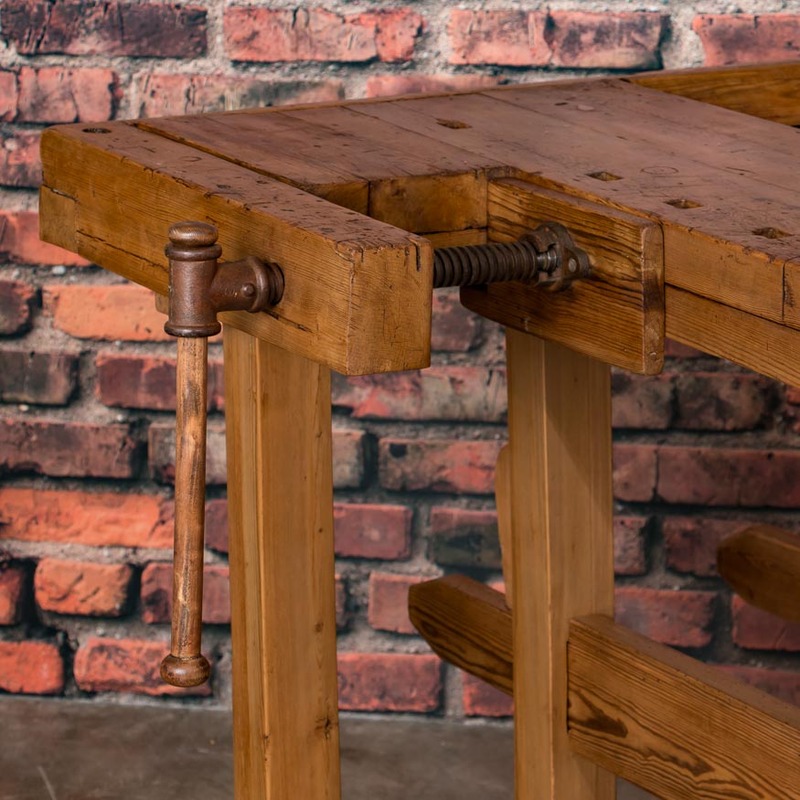 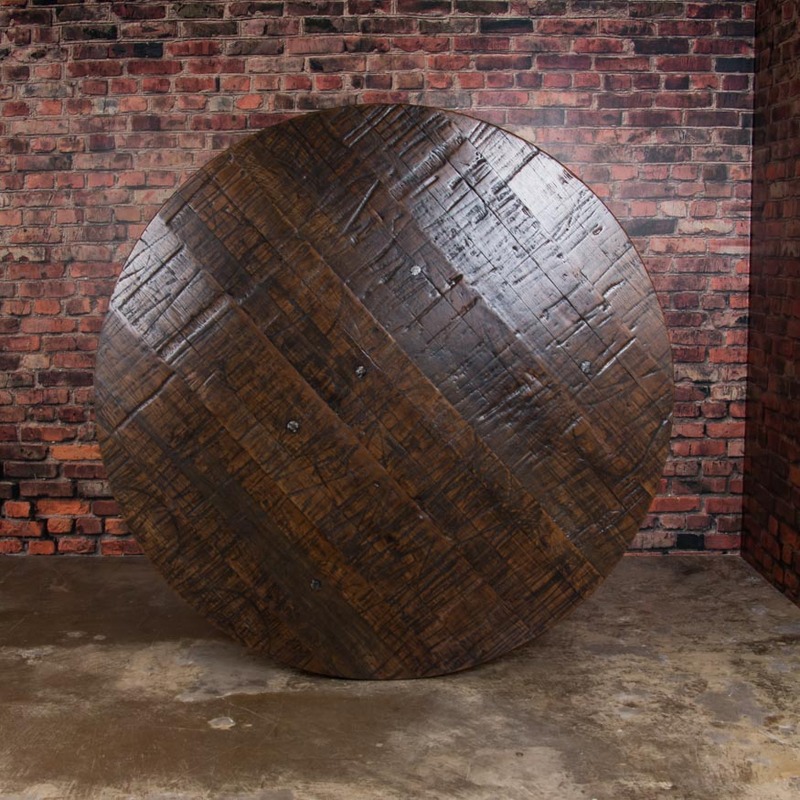 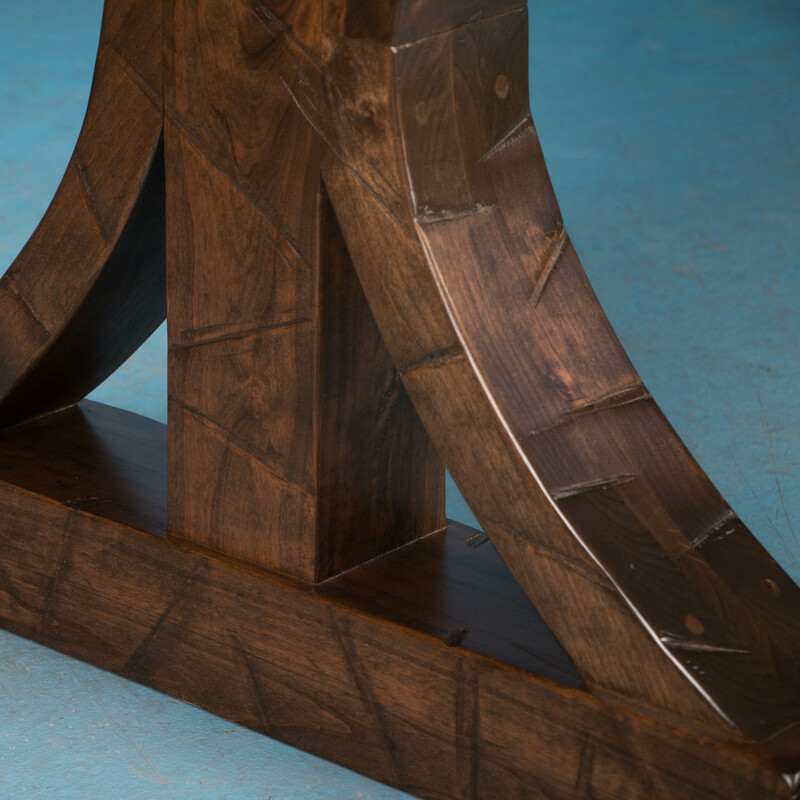 When the drop leaves are extended, the table opens up to 58" deep x 78" long and when closed it measures 22.5" deep x 78" long. 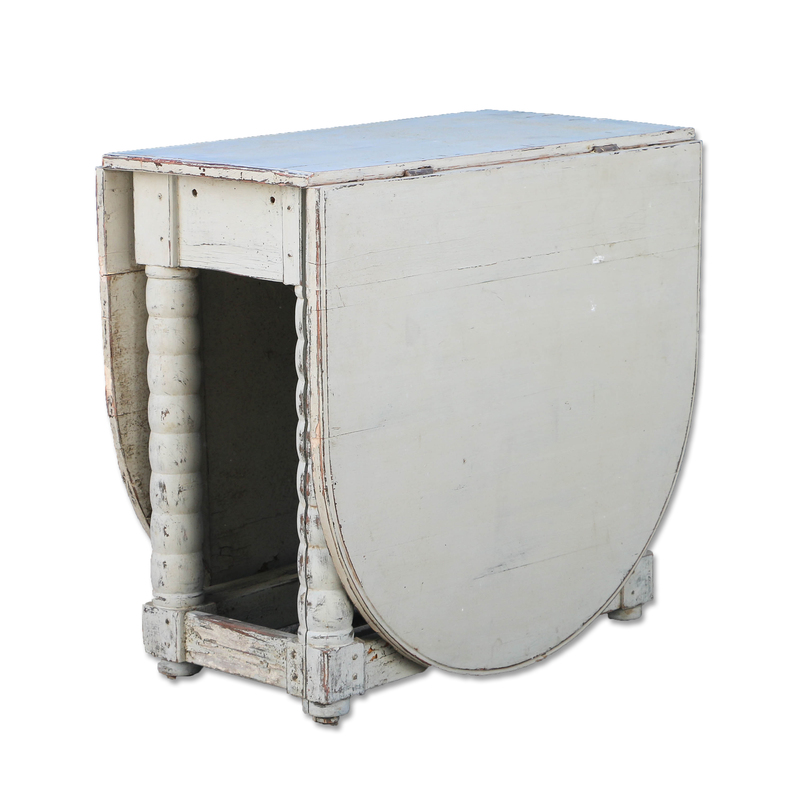 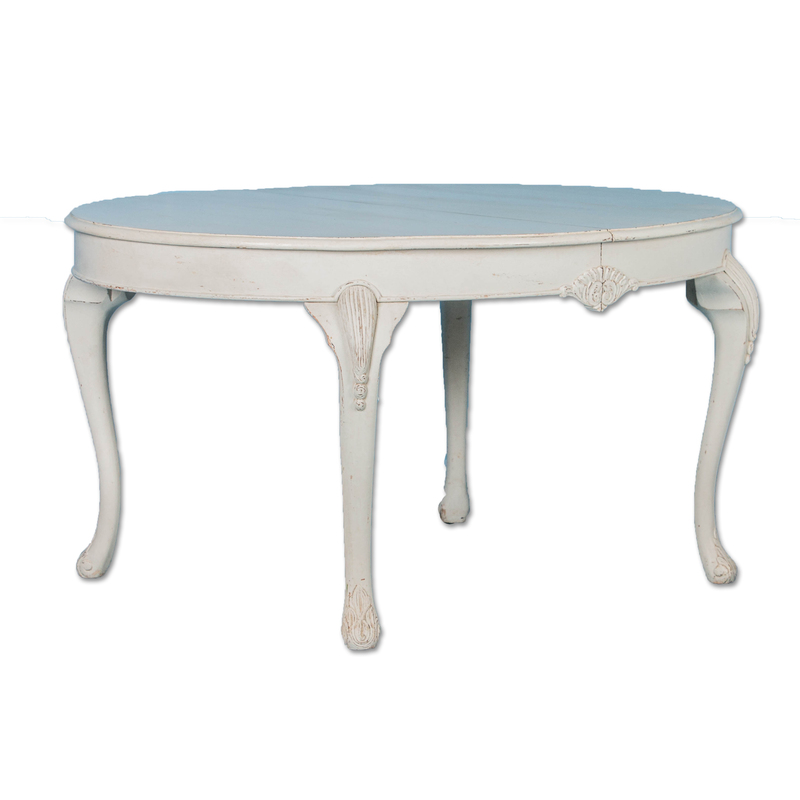 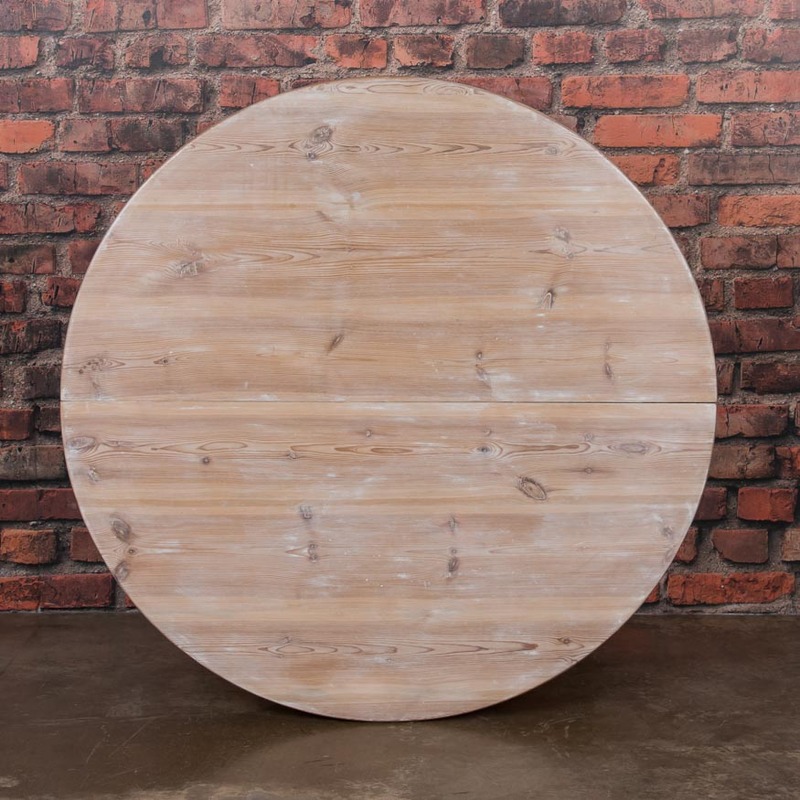 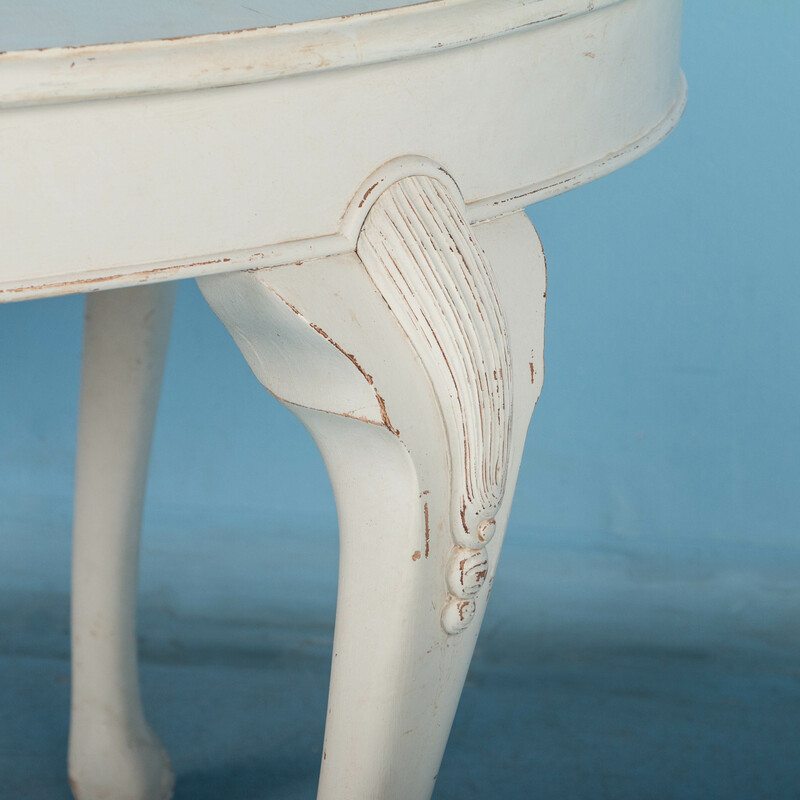 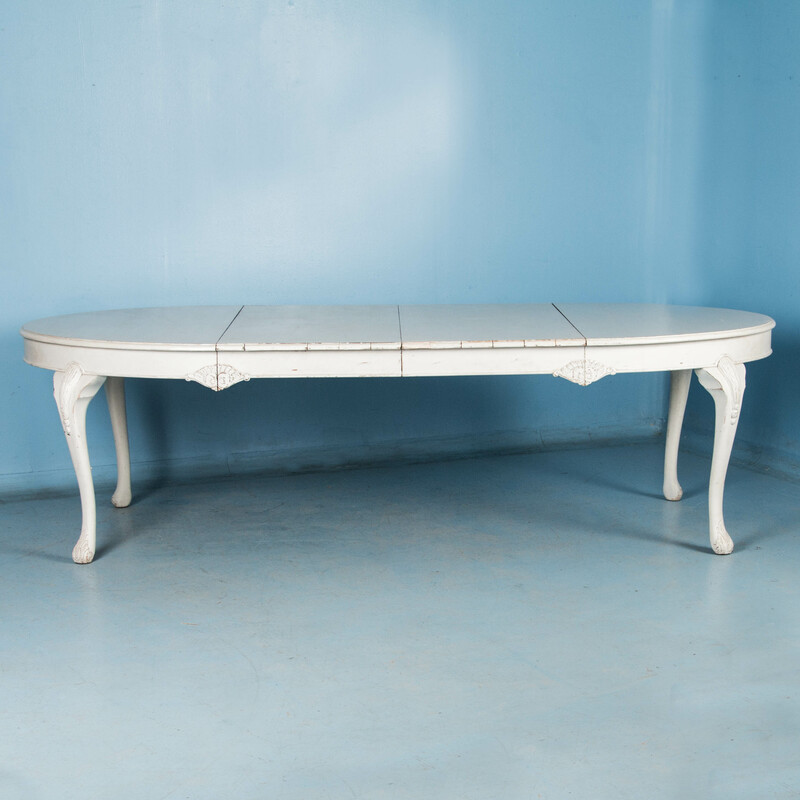 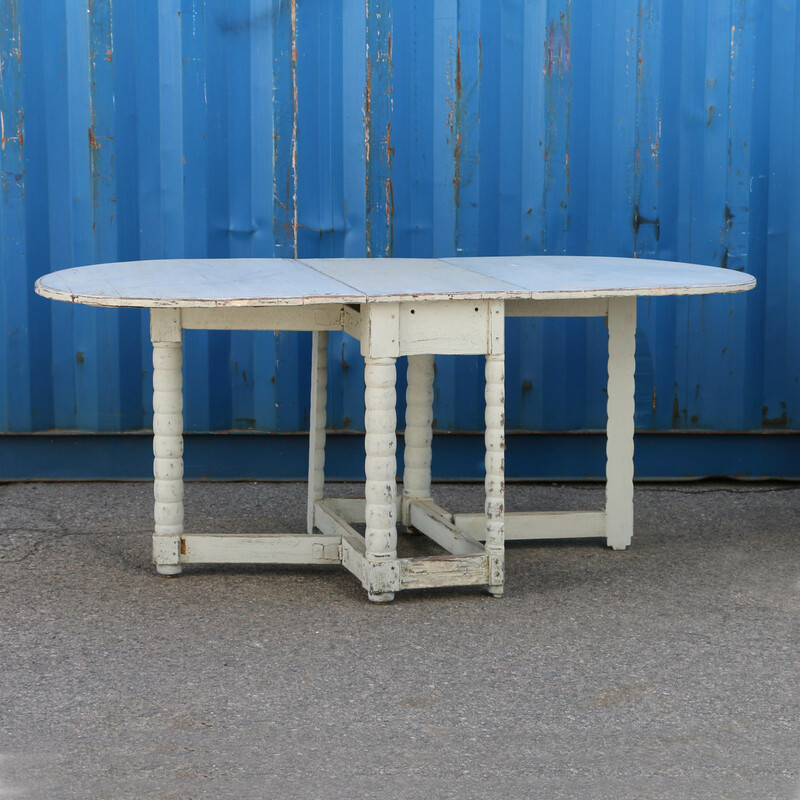 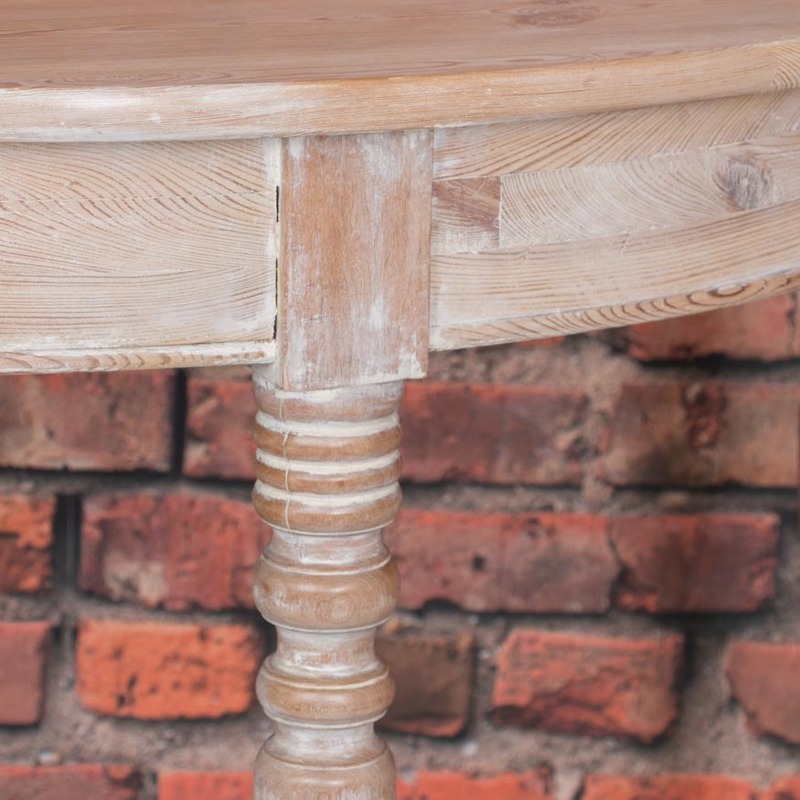 This fine Swedish oval table painted white, expands to accomodate two large leaves. 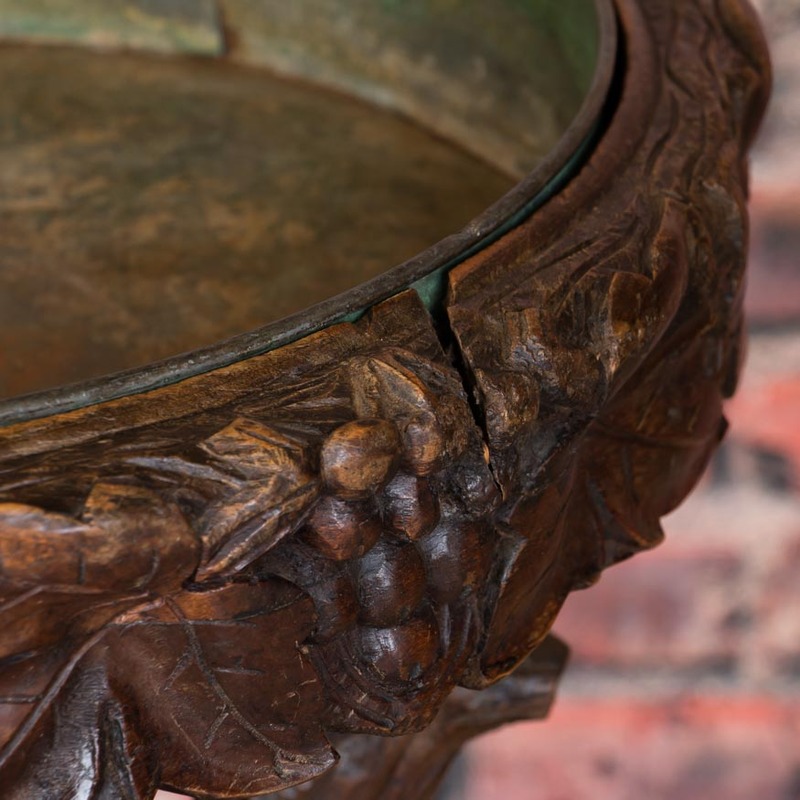 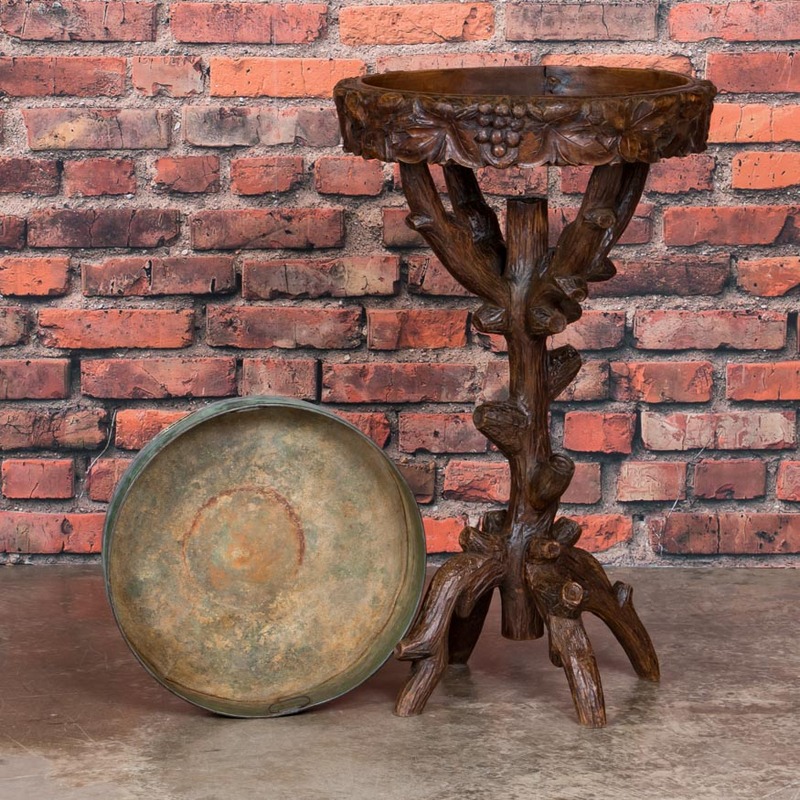 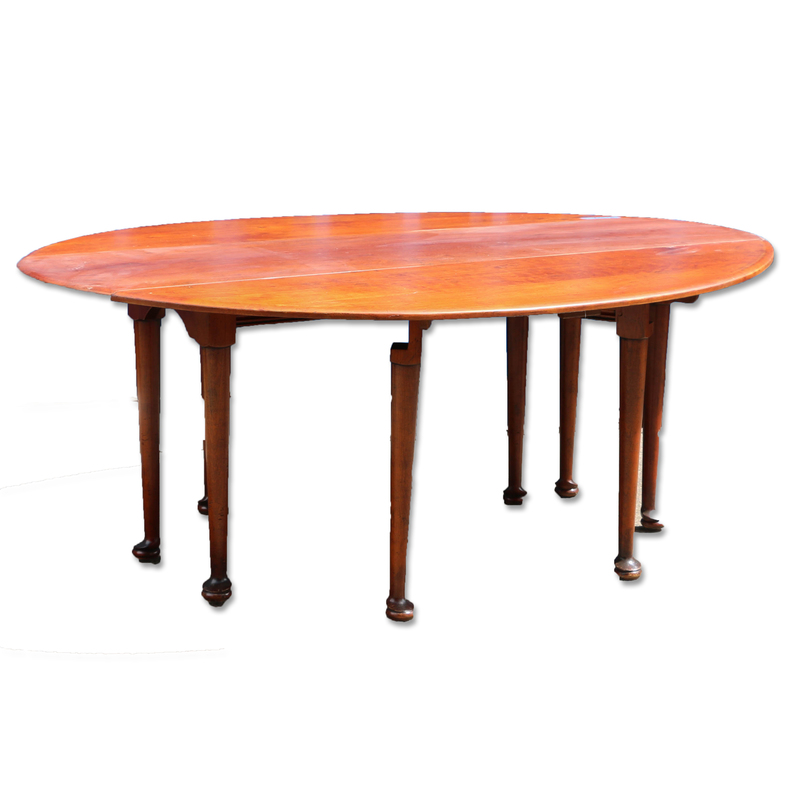 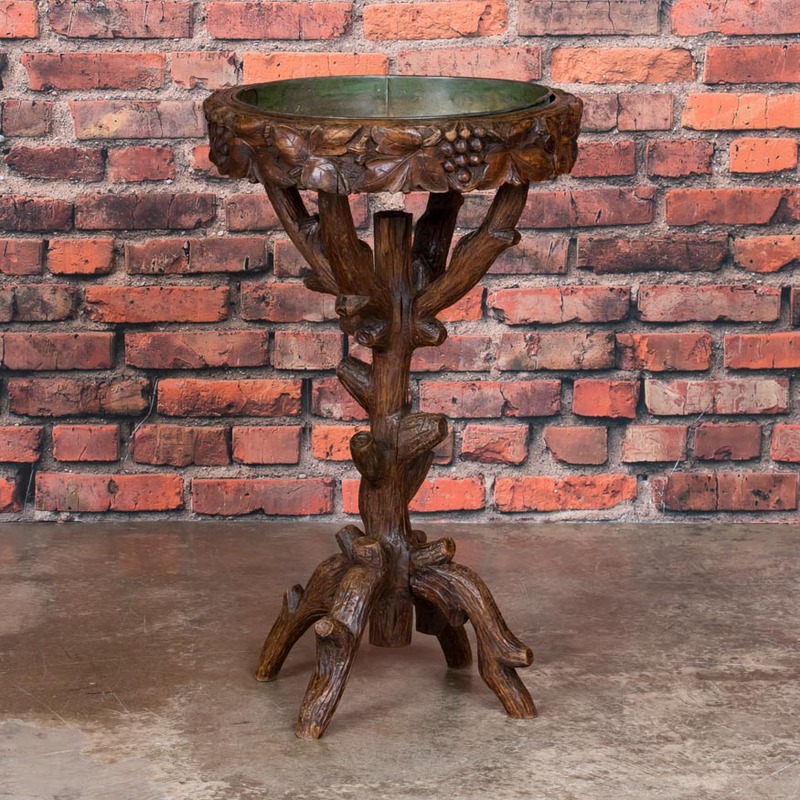 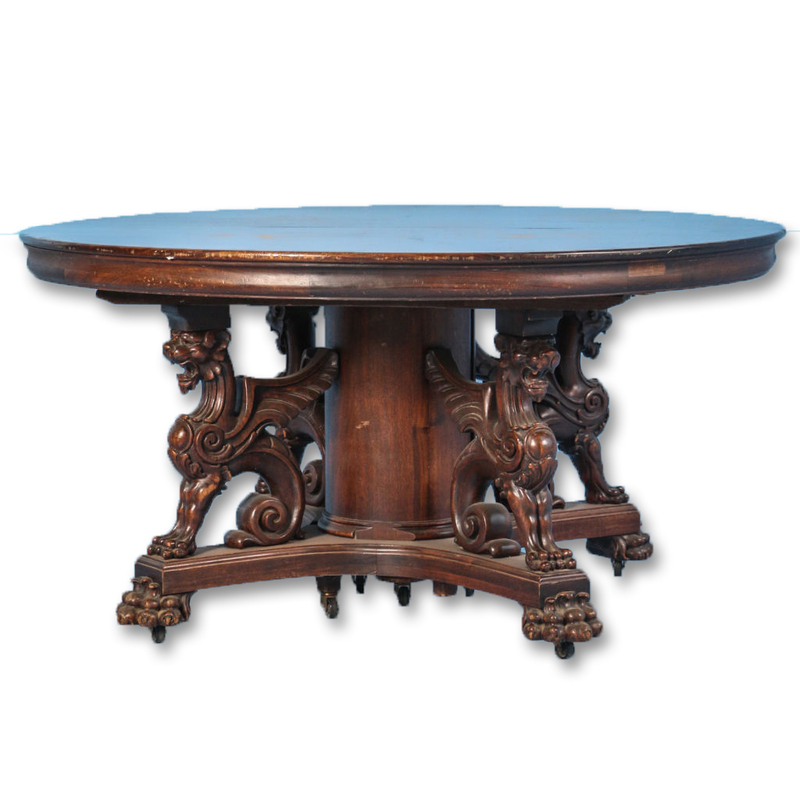 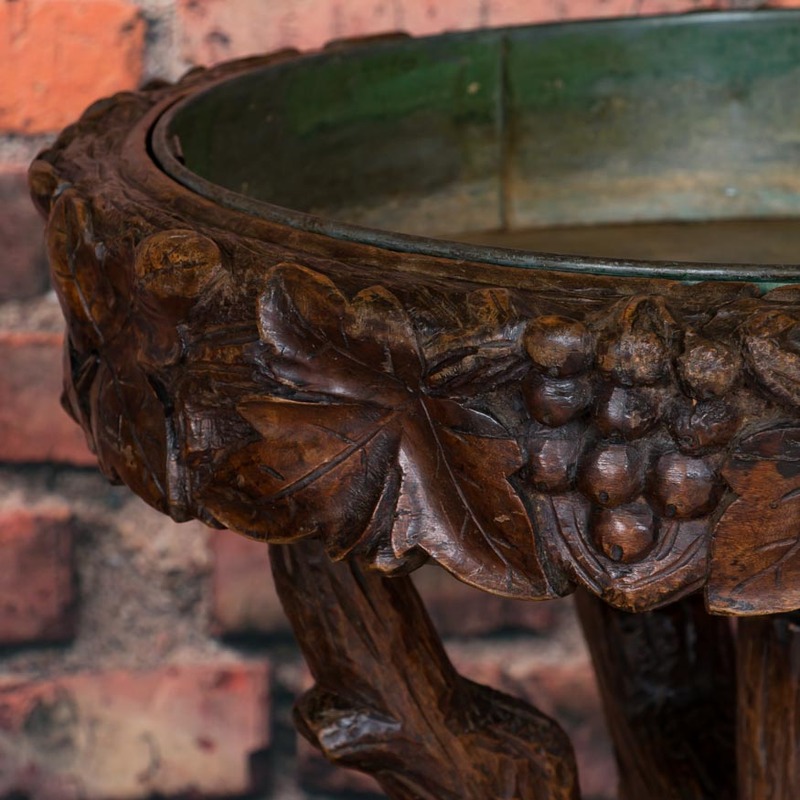 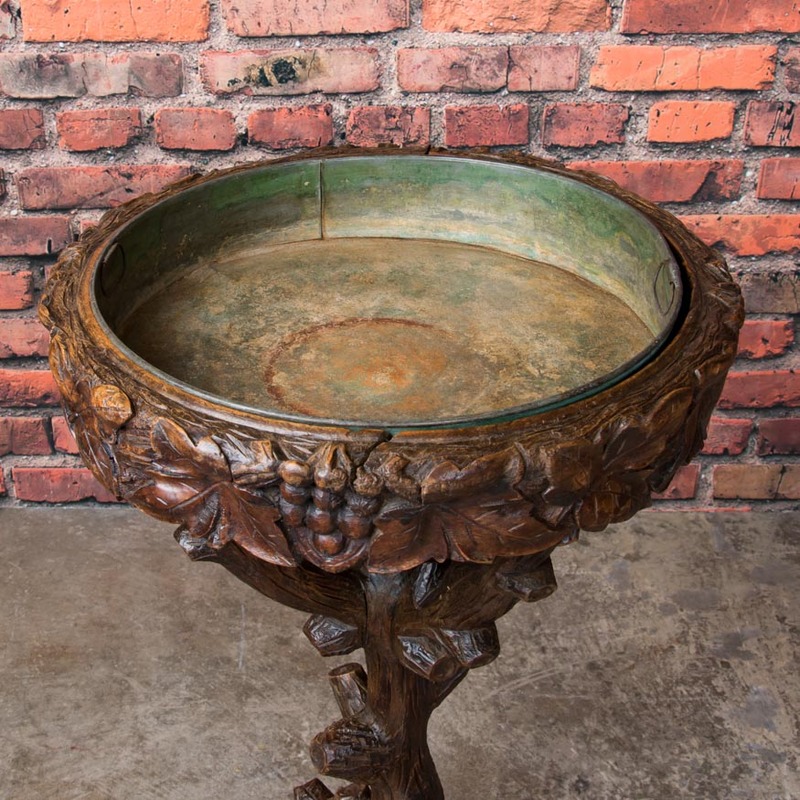 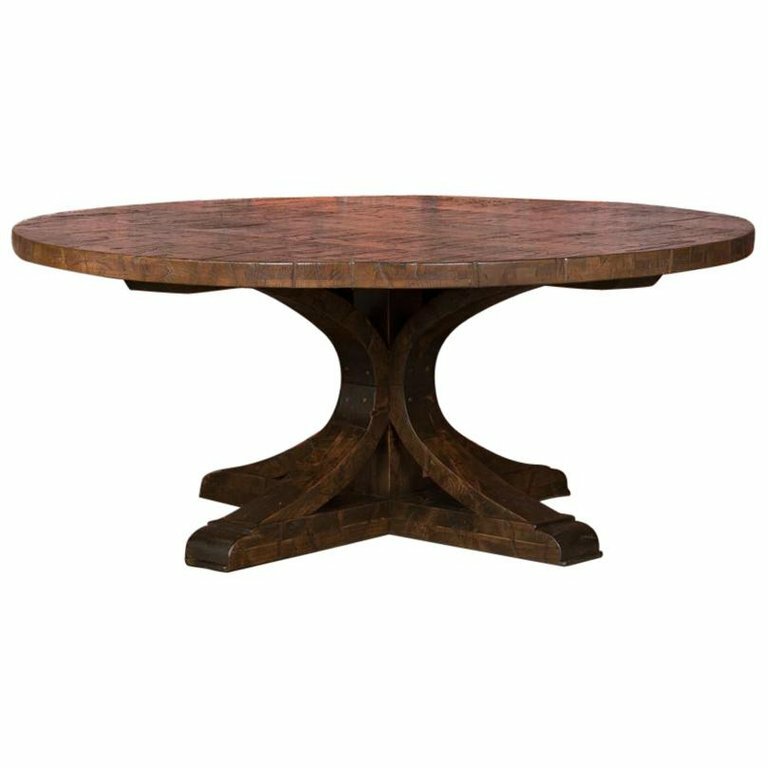 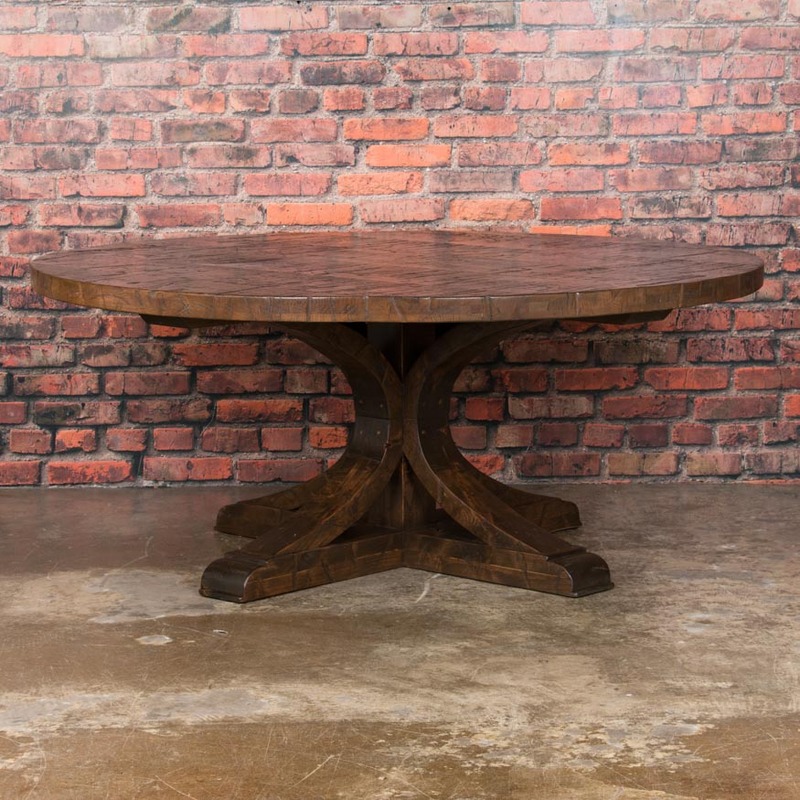 Stunningly crafted round mahogany table with exquisitely carved Griffin base. 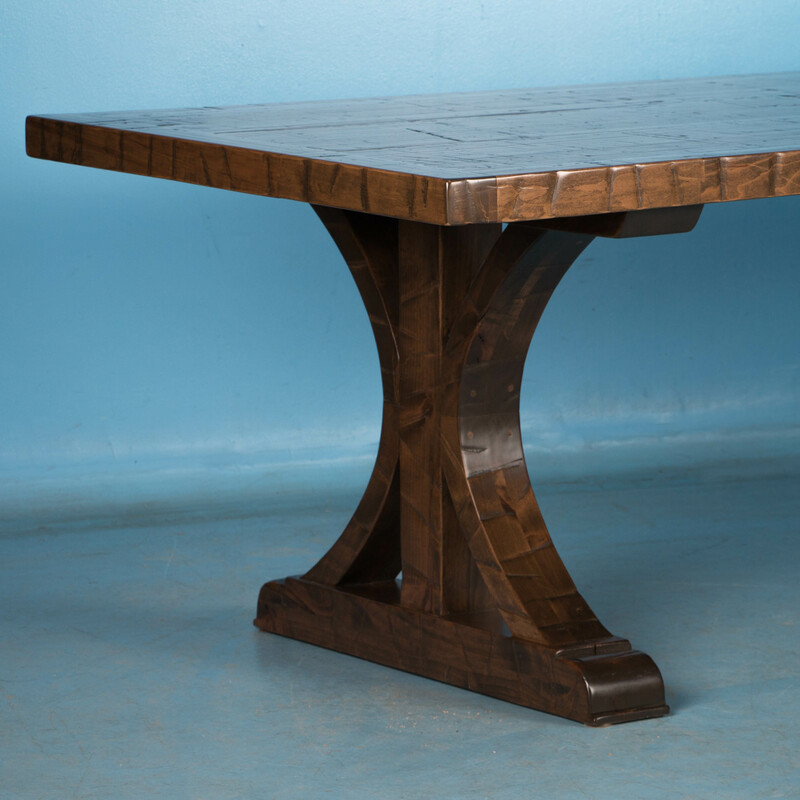 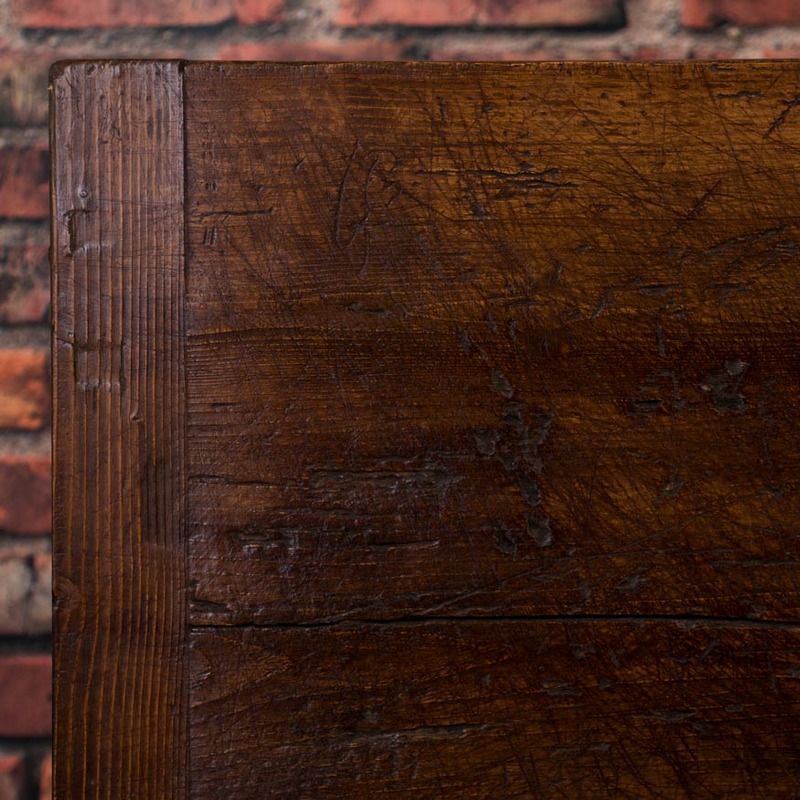 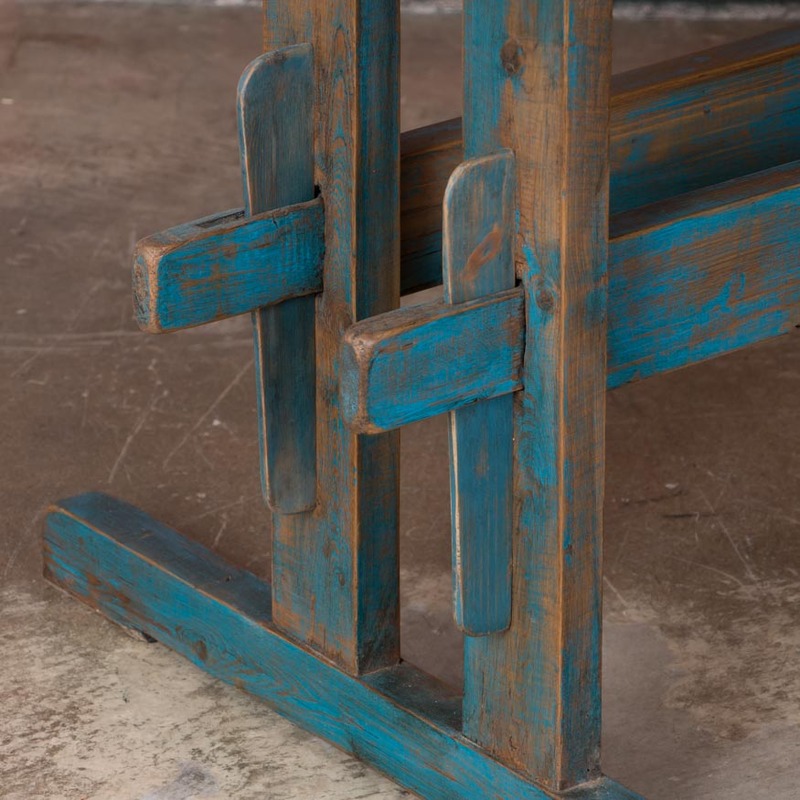 The table does expand and will take leaves which could be custom made. 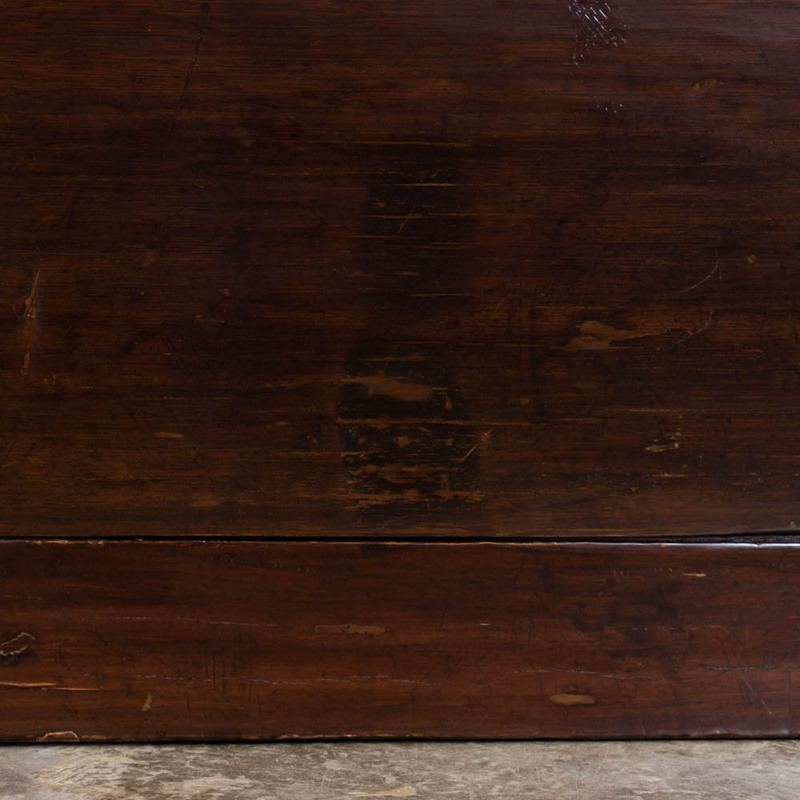 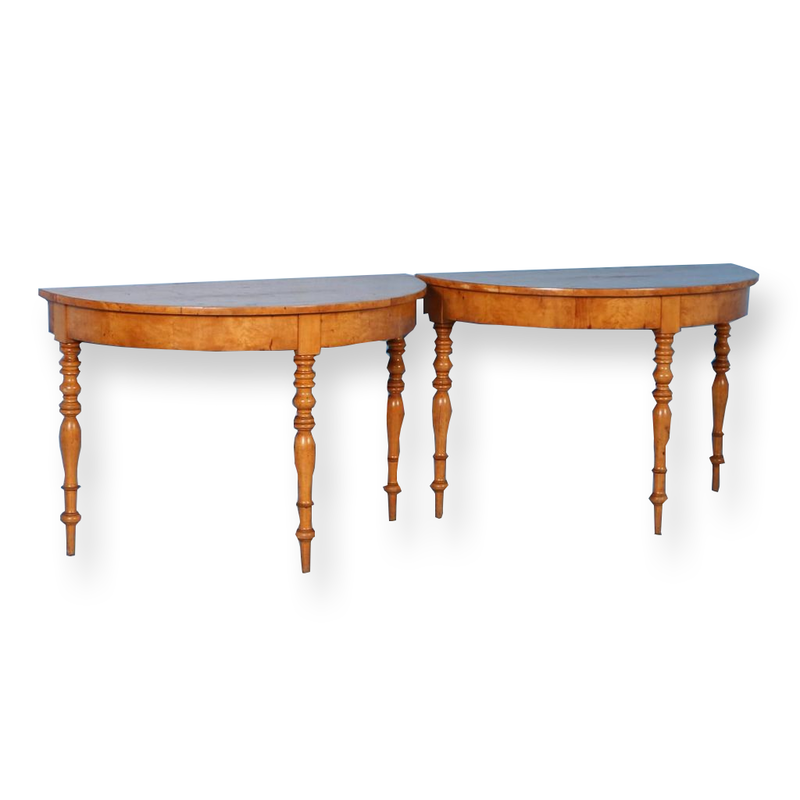 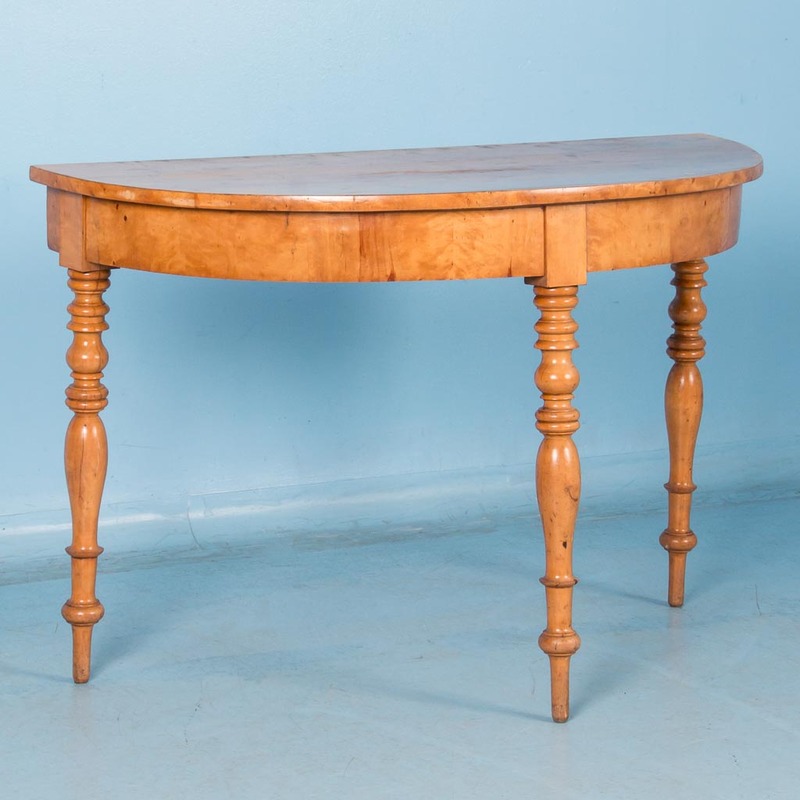 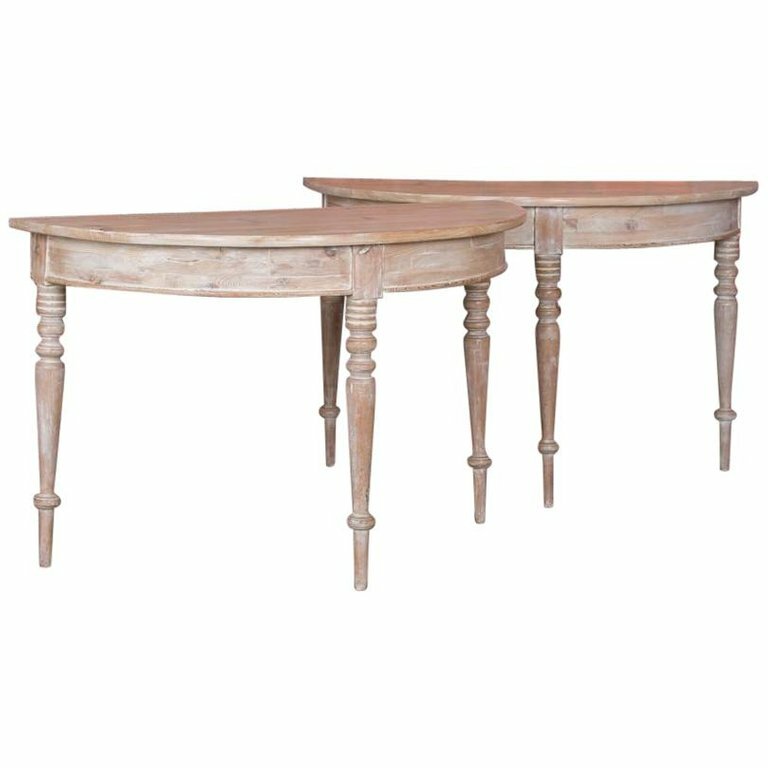 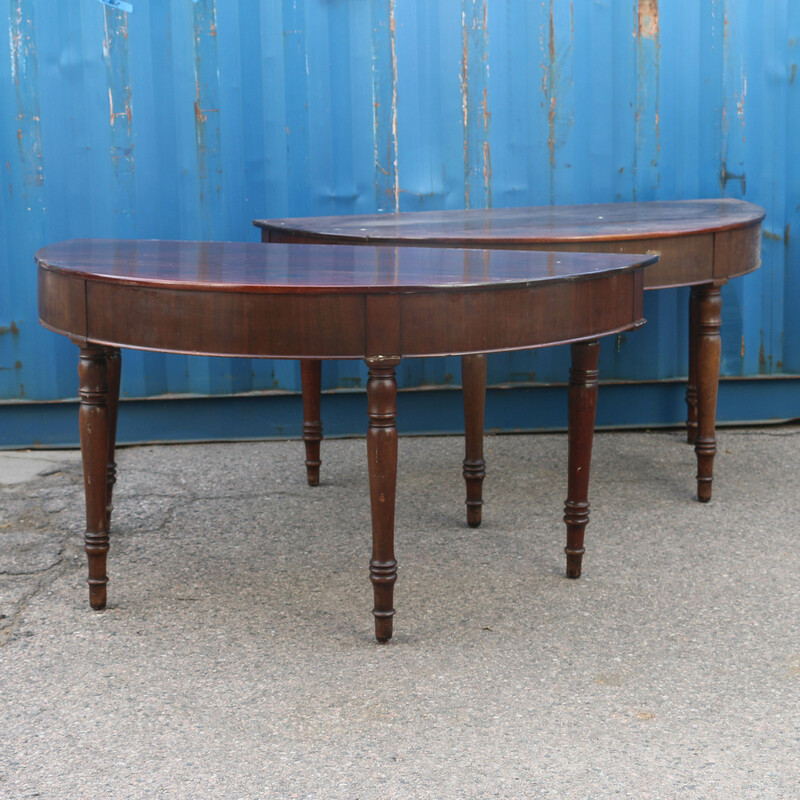 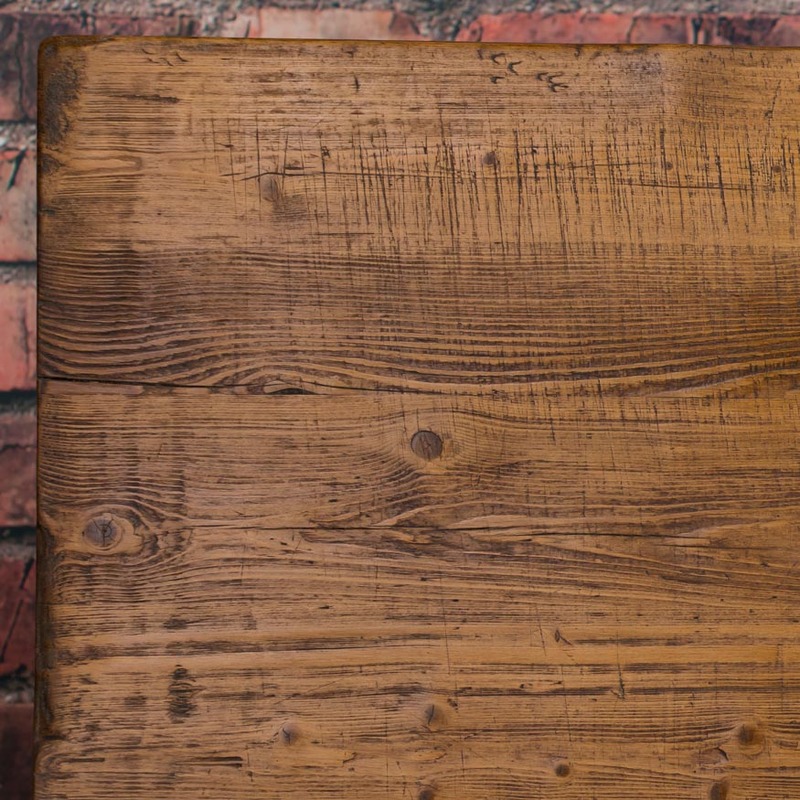 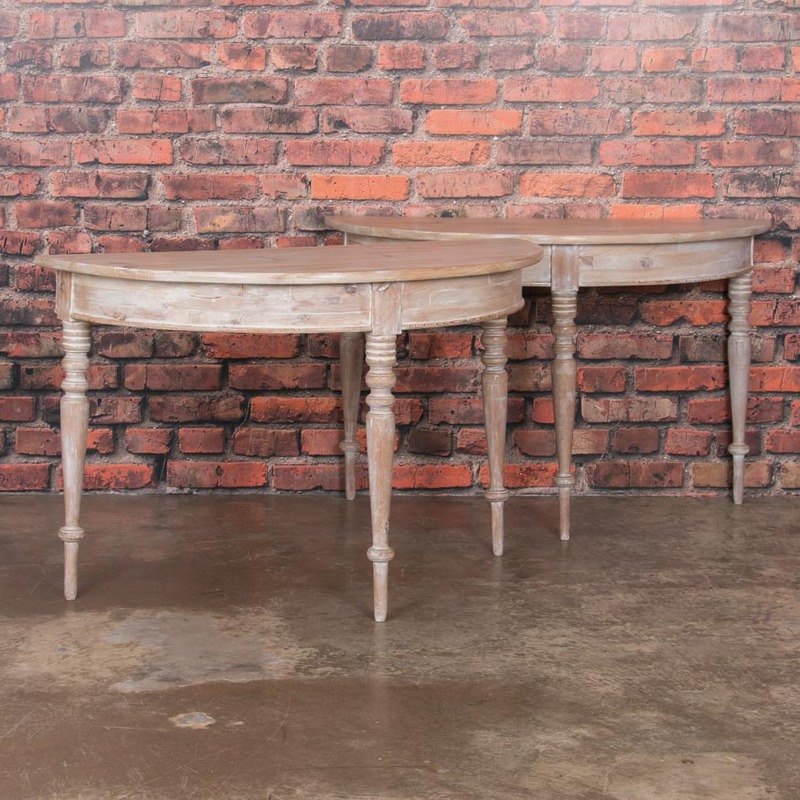 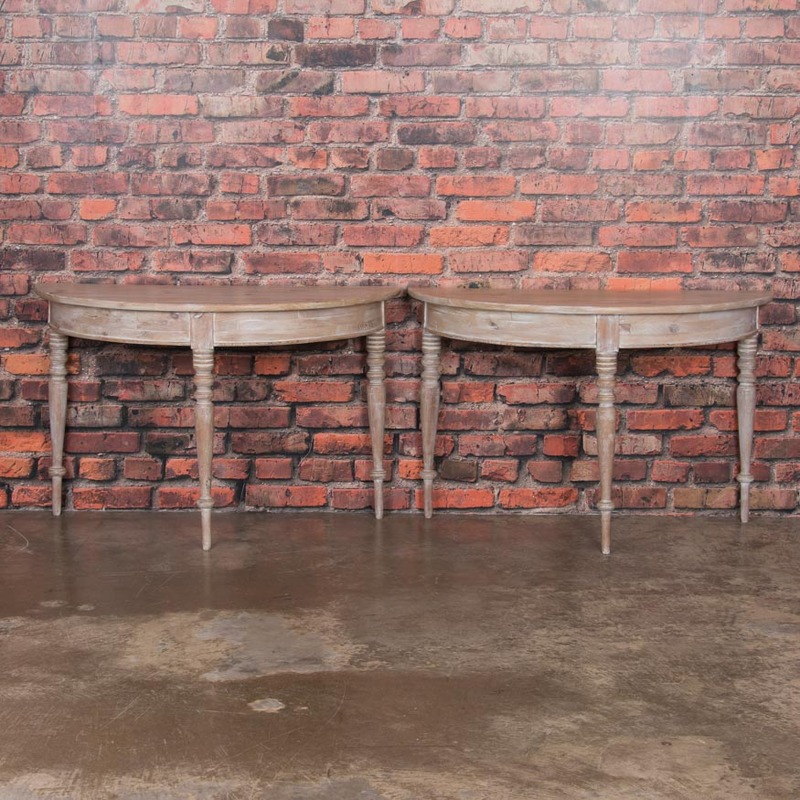 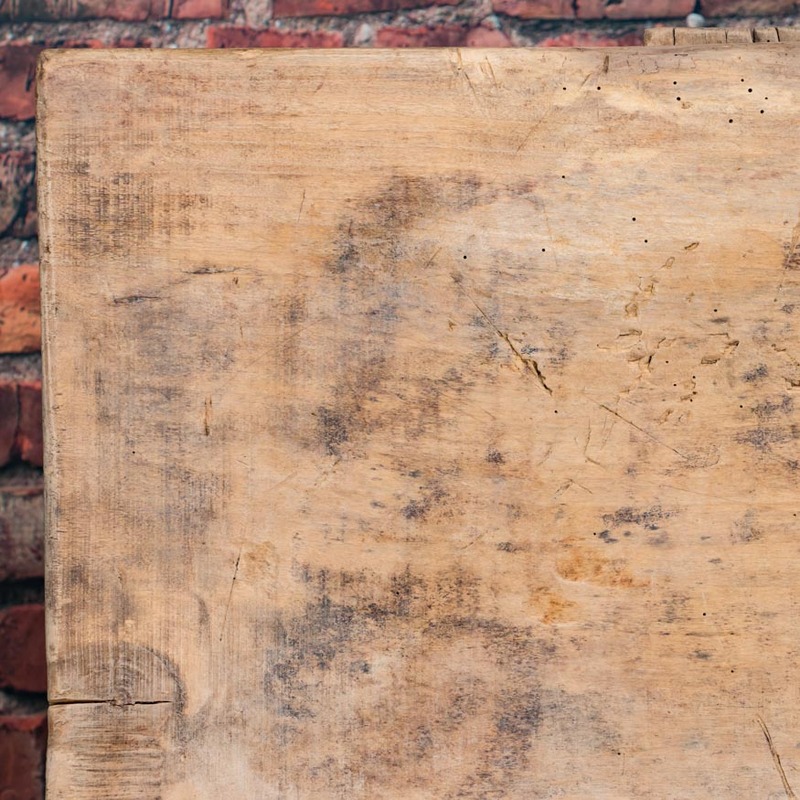 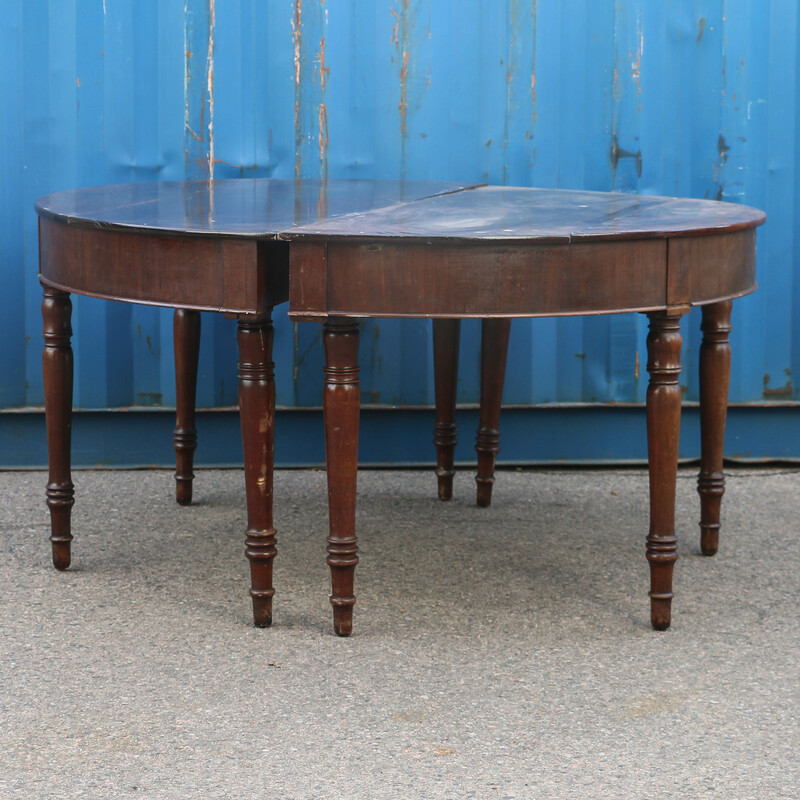 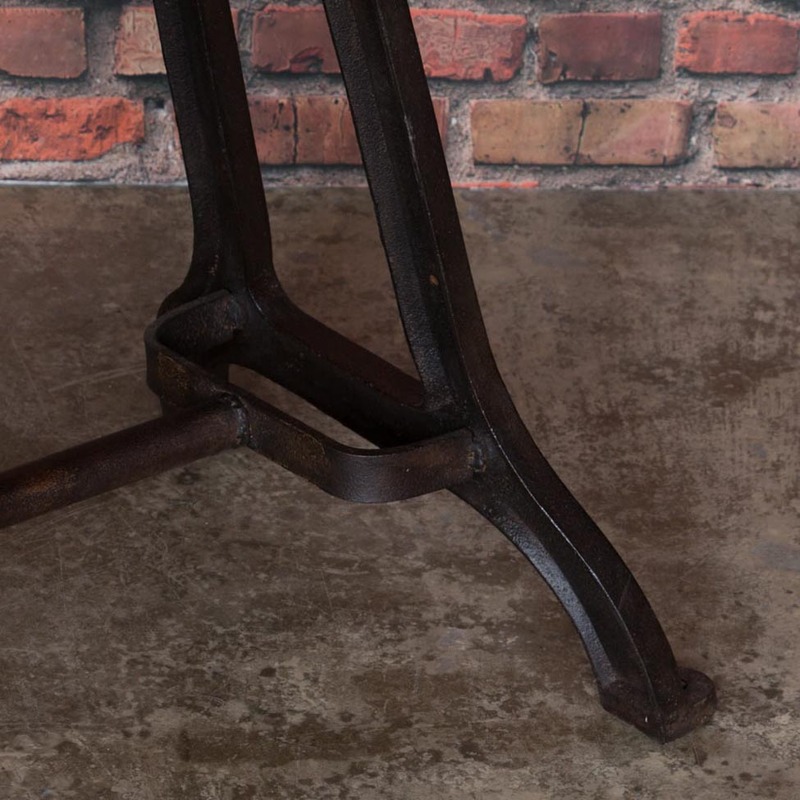 Nice pair of antique demilune birch tables from Sweden, circa 1860.